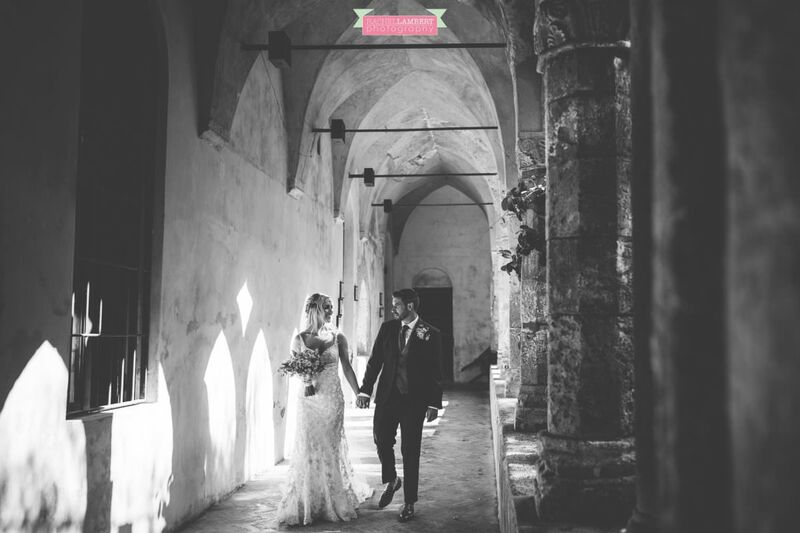 Harriet and Rob got in touch with me over two years ago when they were at the very early stages of planning their wedding, at this point they hadn’t confirmed a date or even a location, but we hit it off straight away, and so I put them in touch with Victoria of Sophisticated Weddings to assist them in planning their dream wedding…. 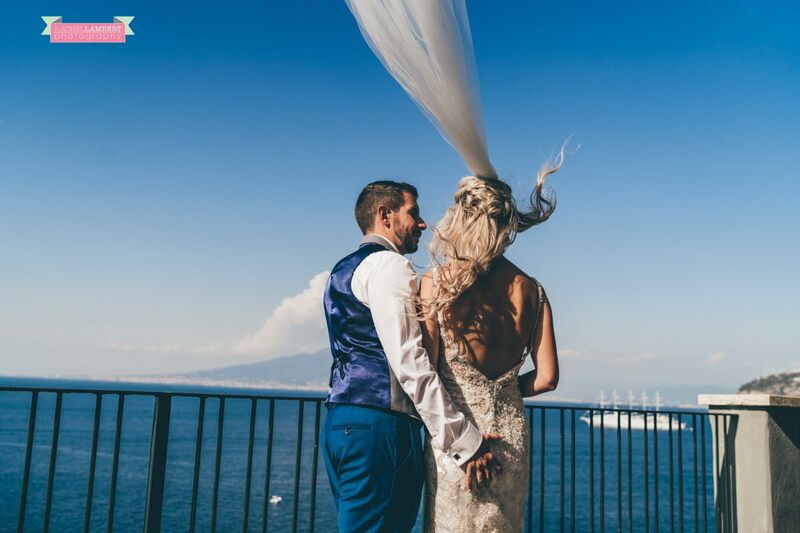 fast forward two years and it was time to board the flight to Naples! 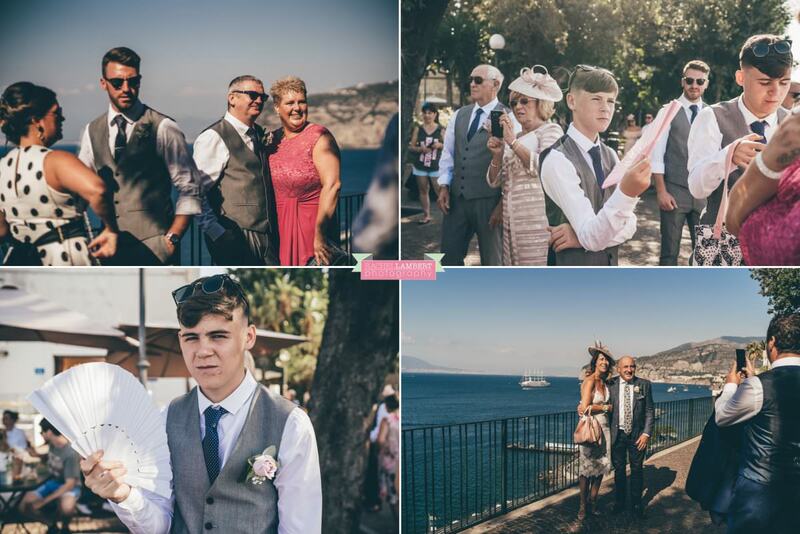 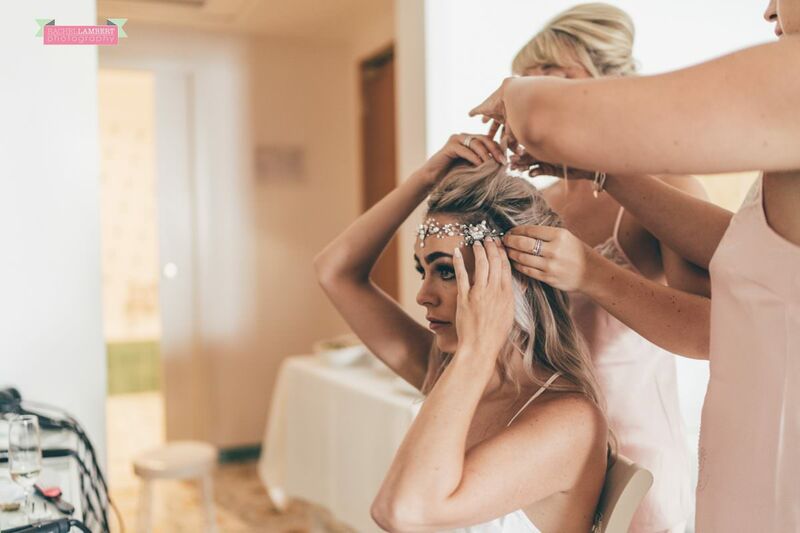 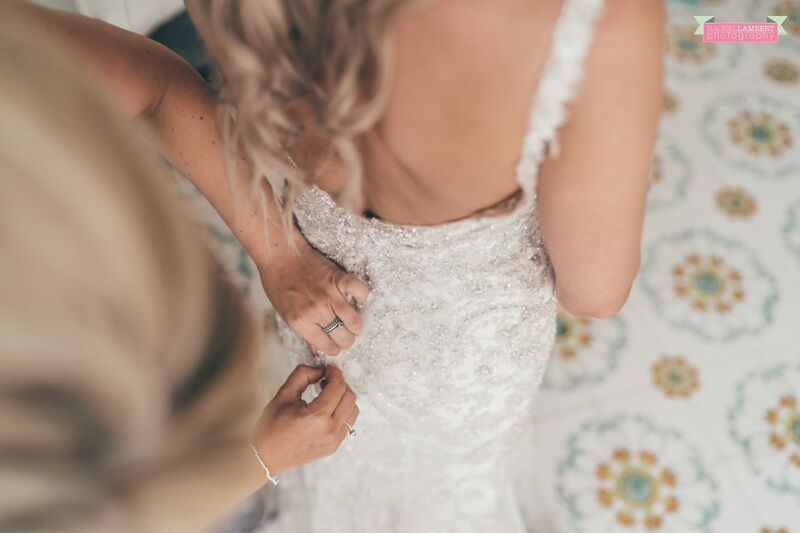 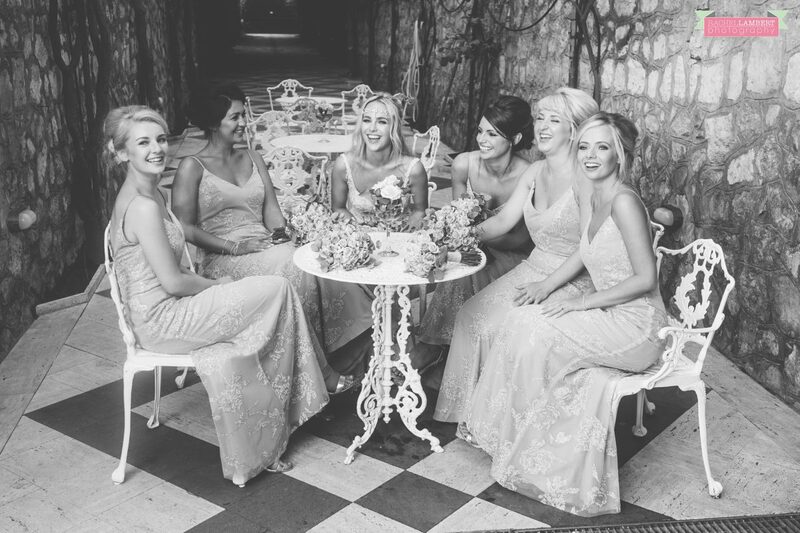 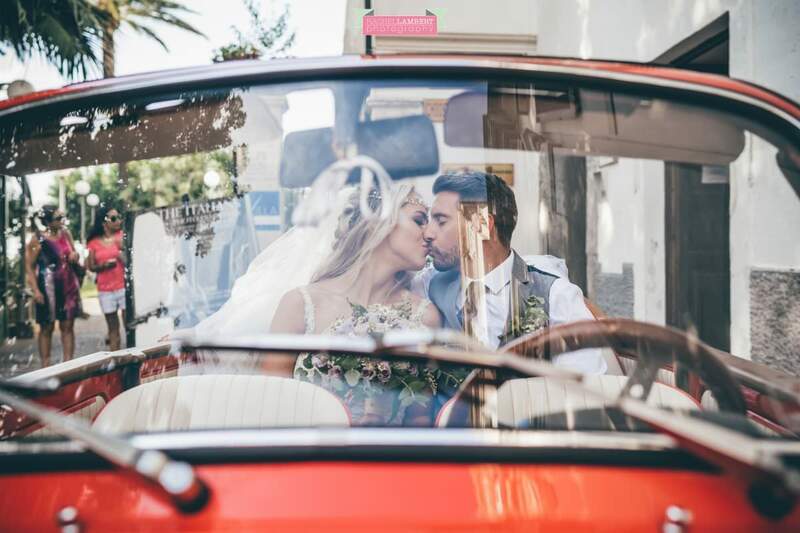 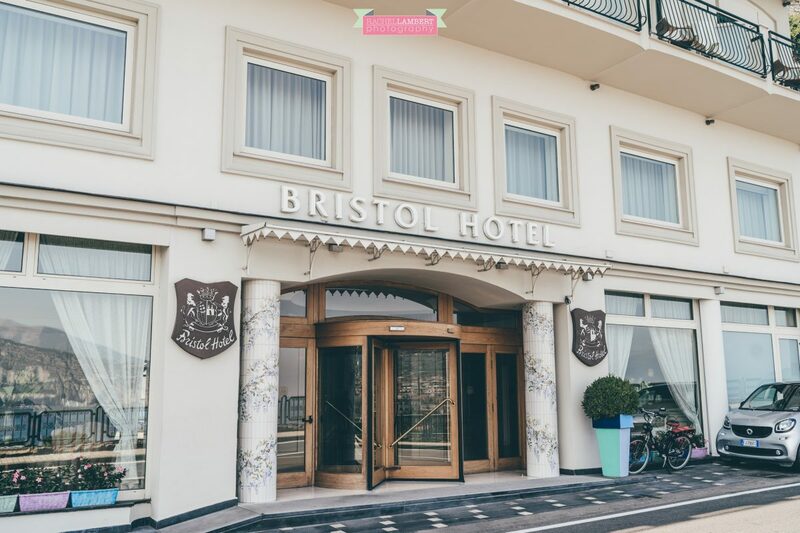 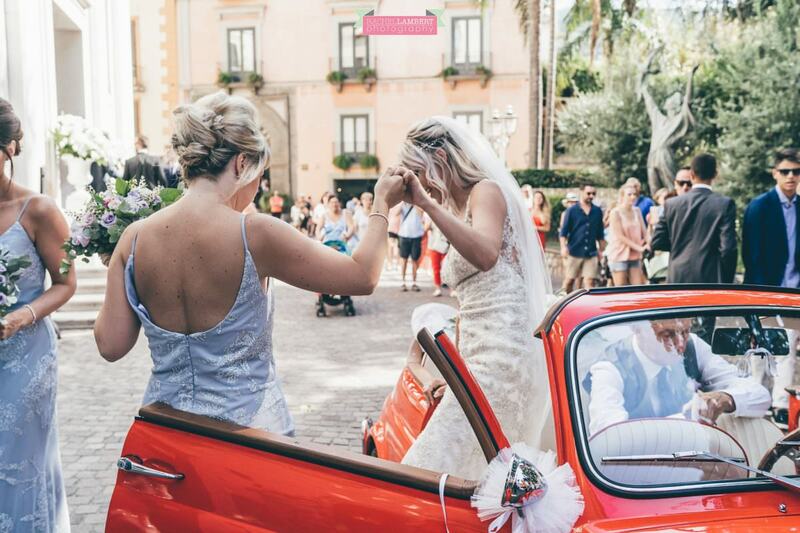 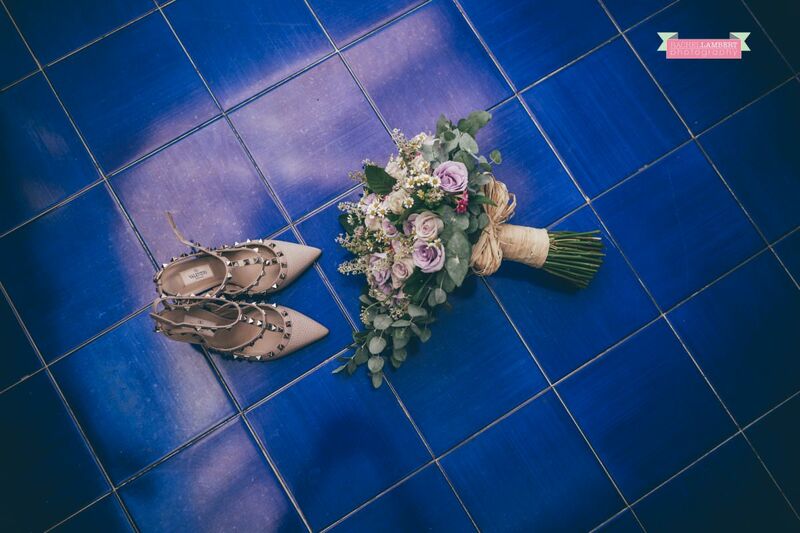 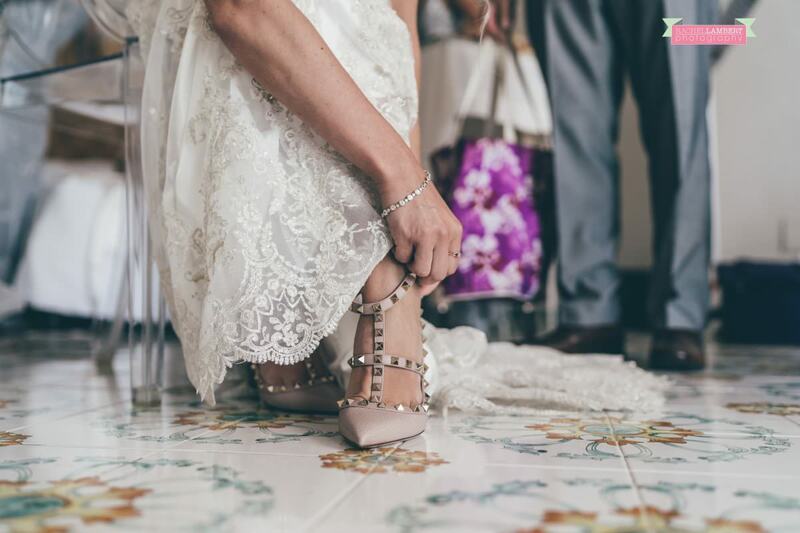 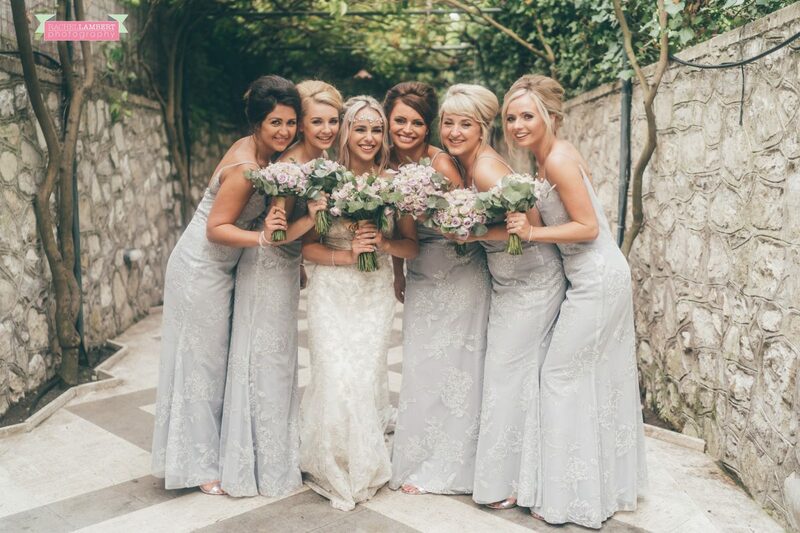 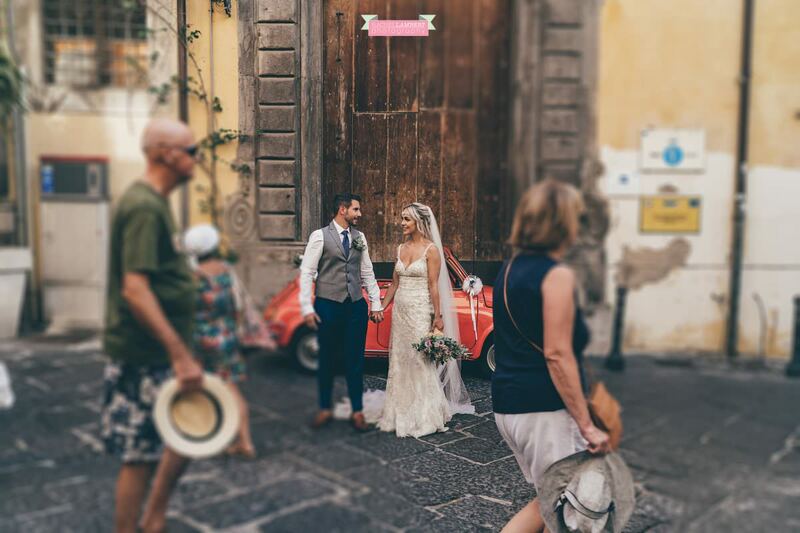 Both bridal and groom preparation were all taking place at The Hotel Bristol, at the top end of Sorrento, and it was a short walk for the boys down into town, followed closely by Aga, my second shooter. 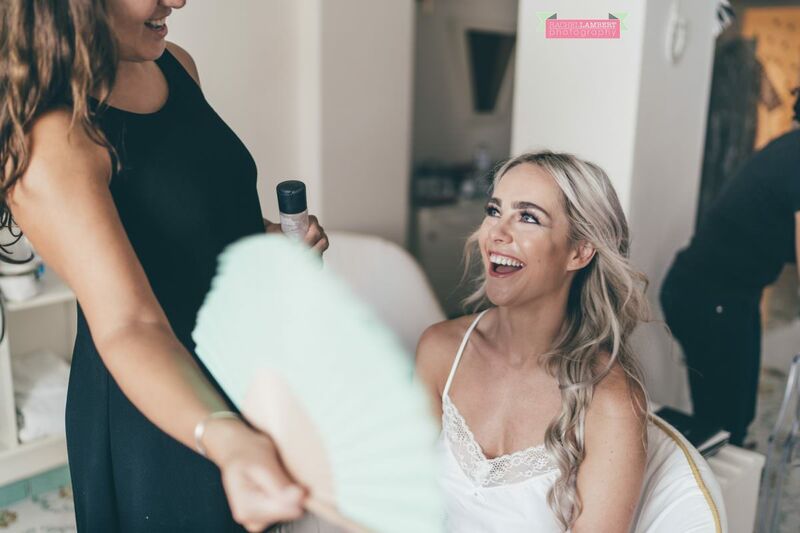 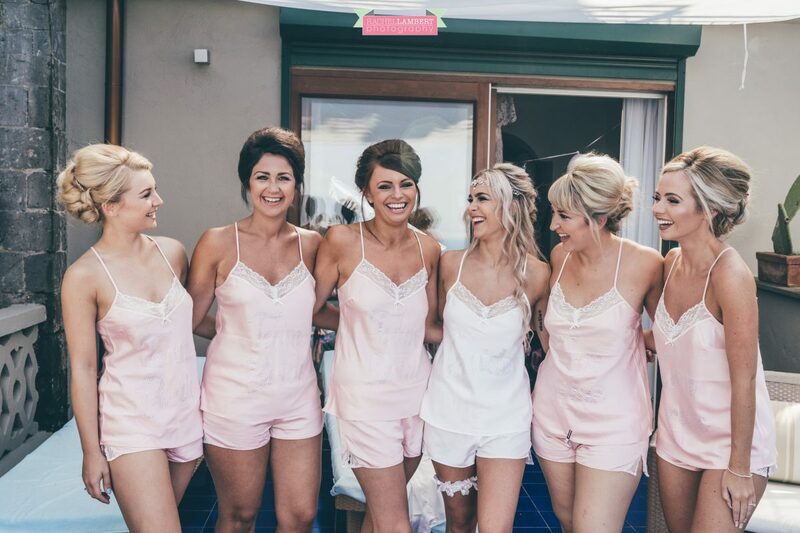 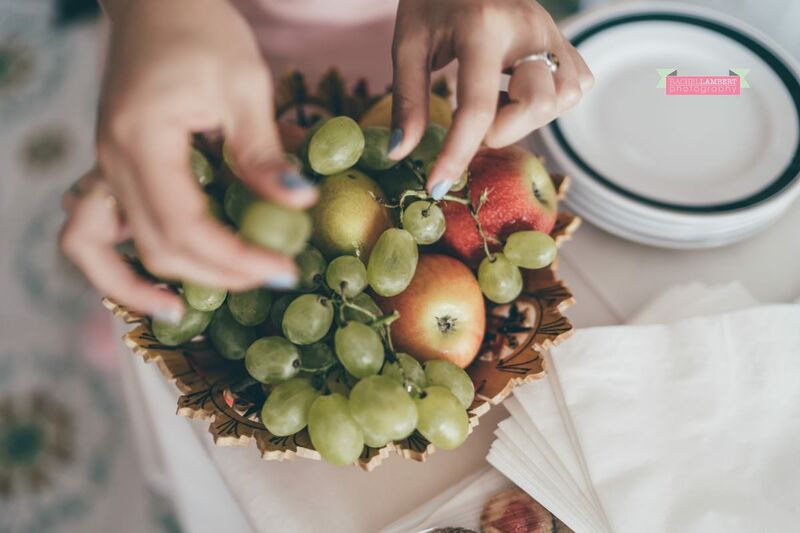 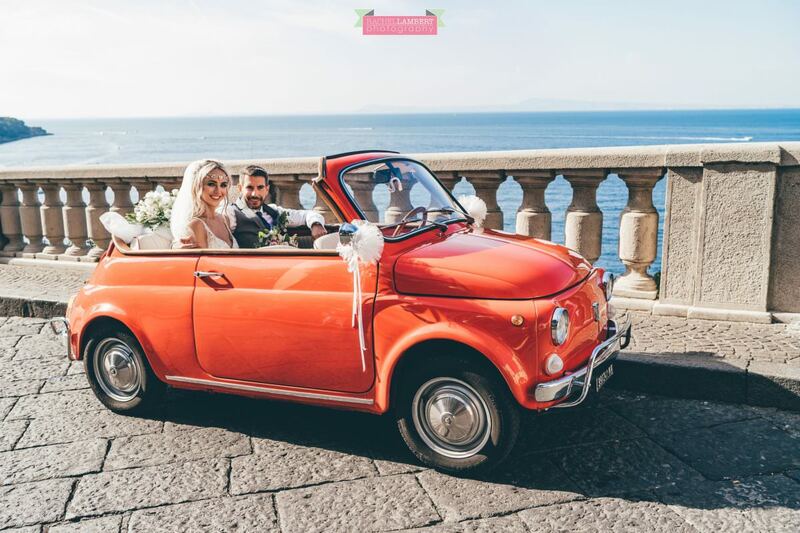 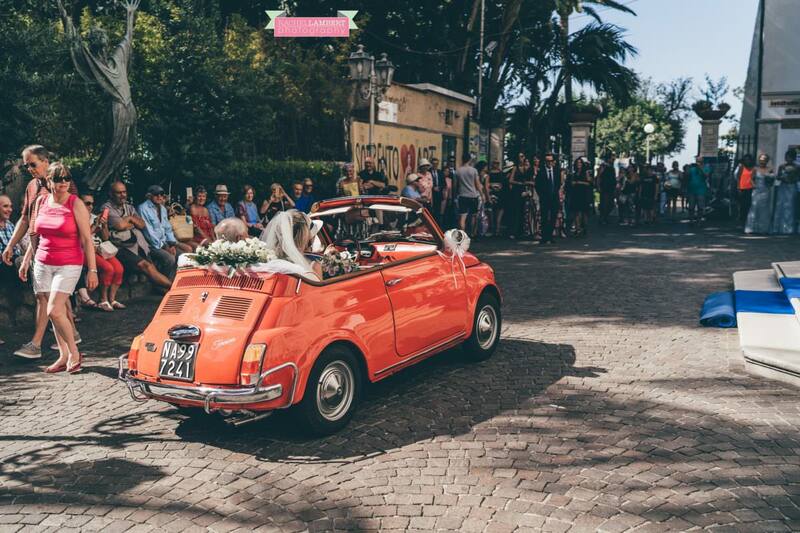 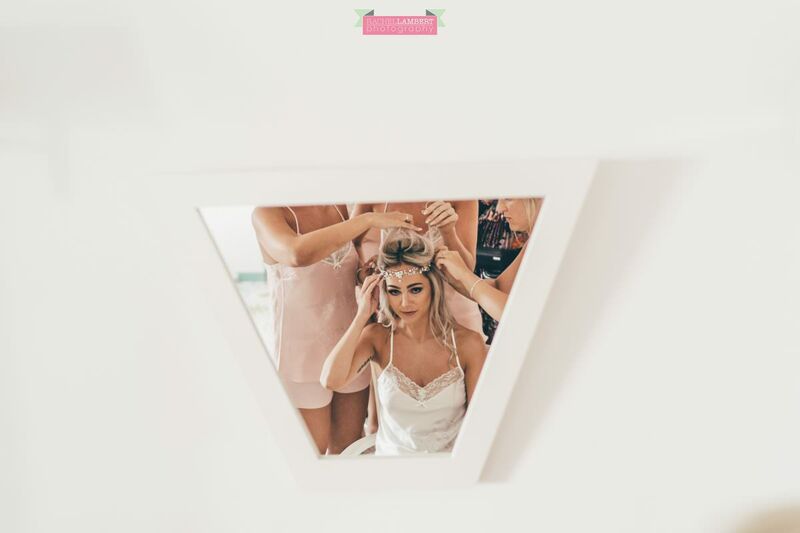 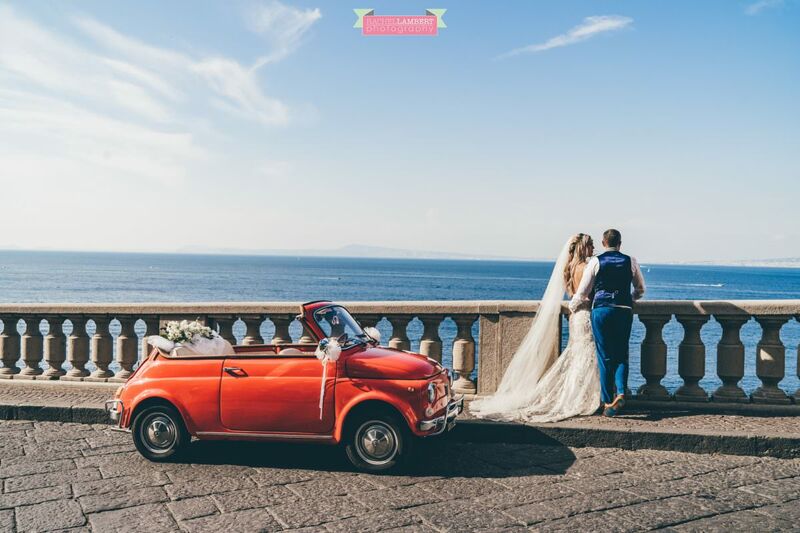 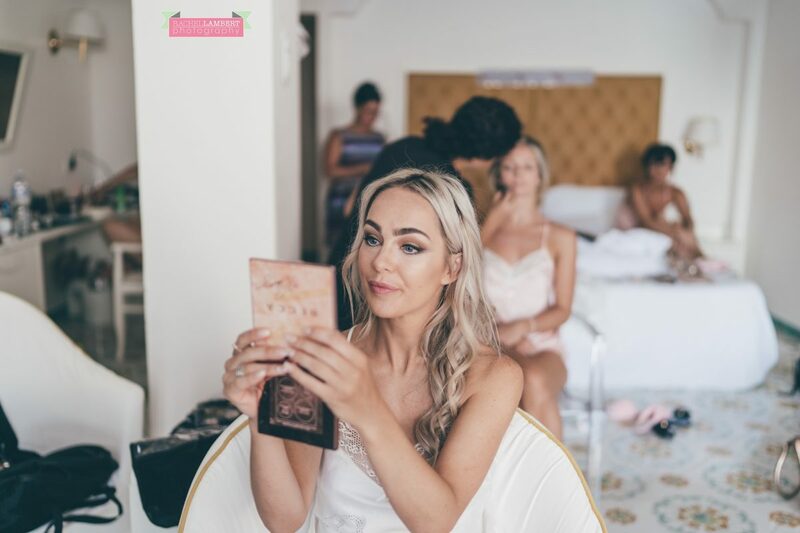 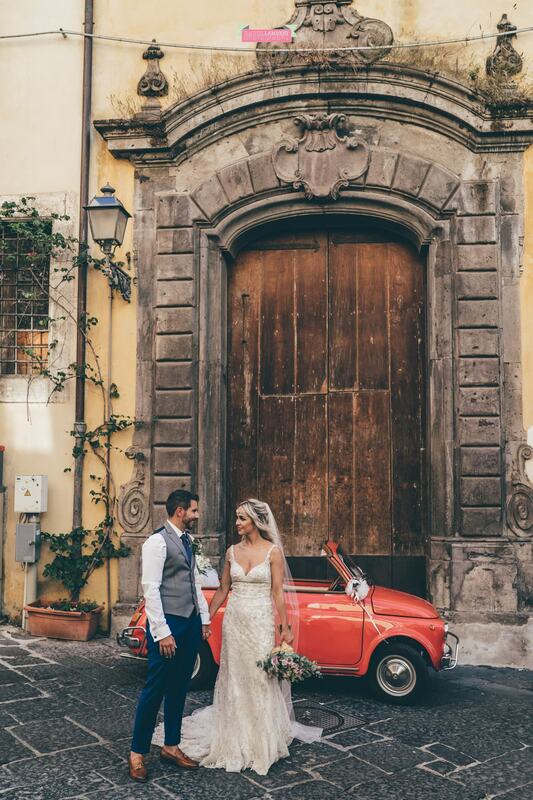 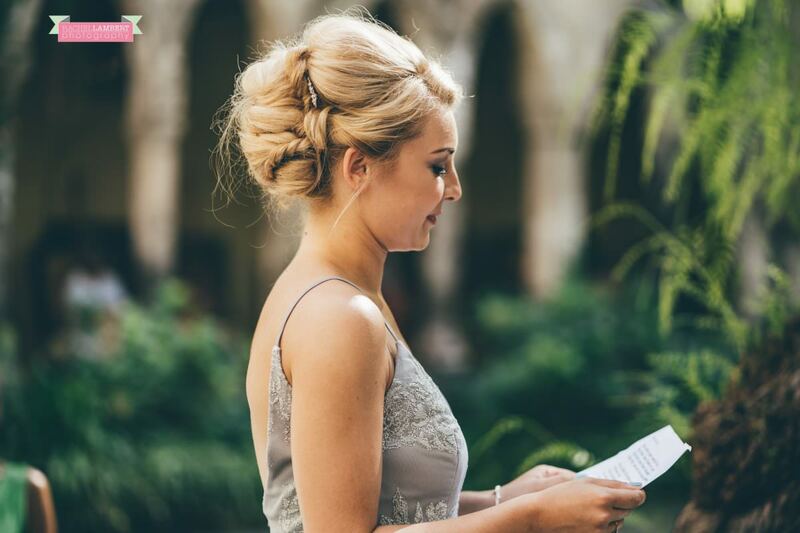 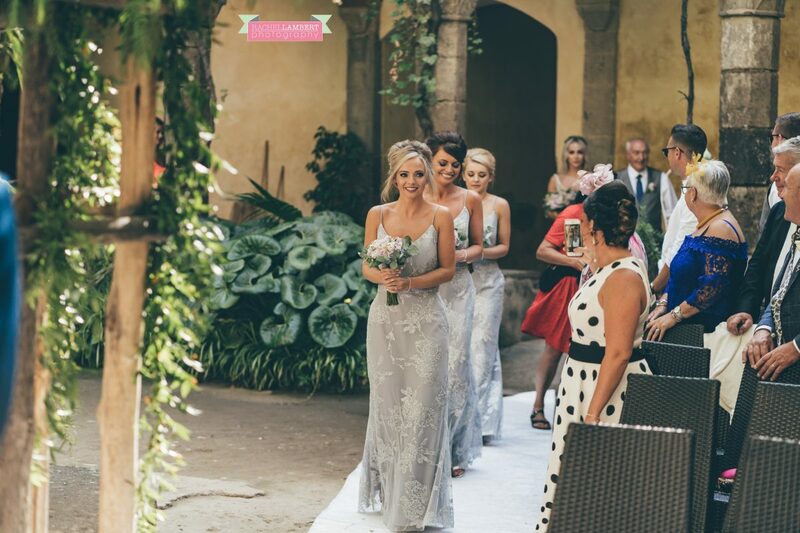 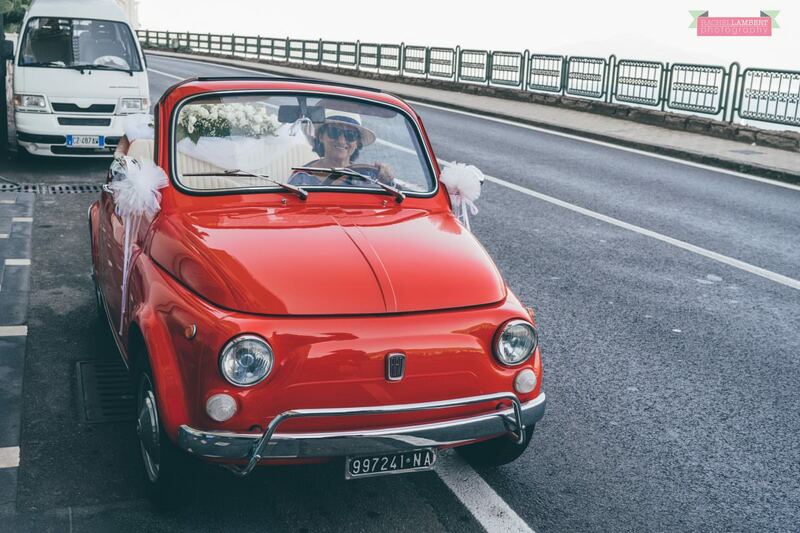 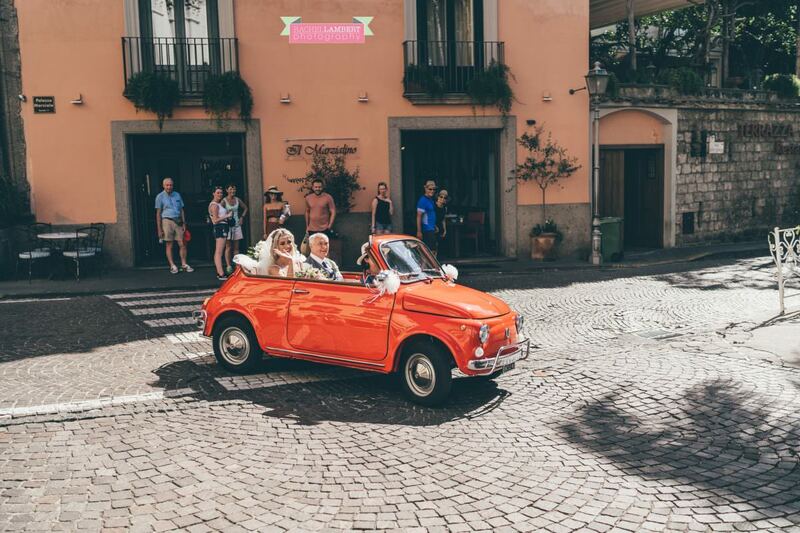 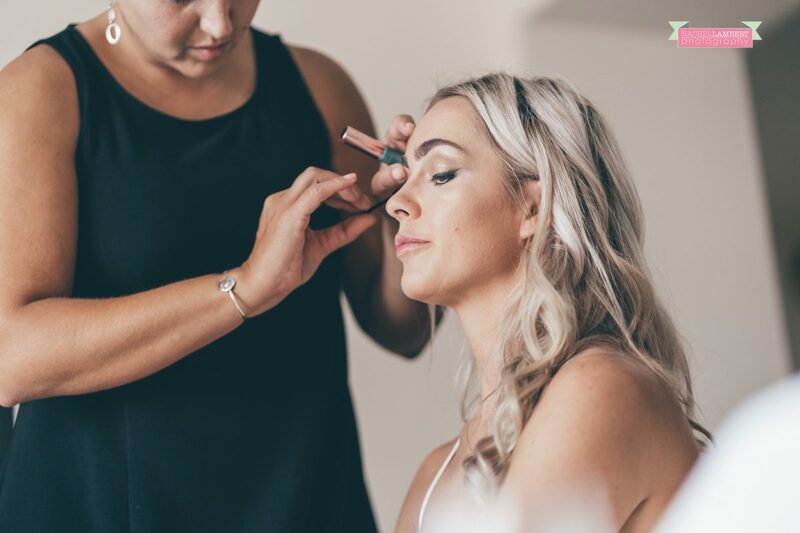 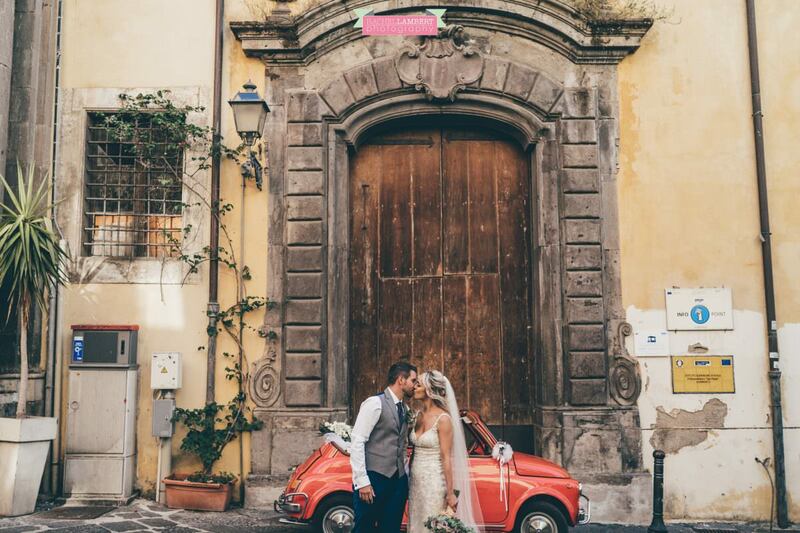 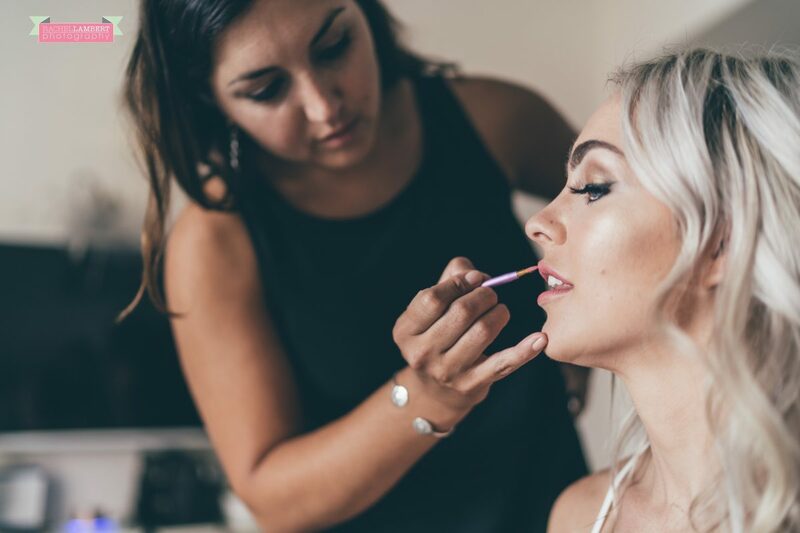 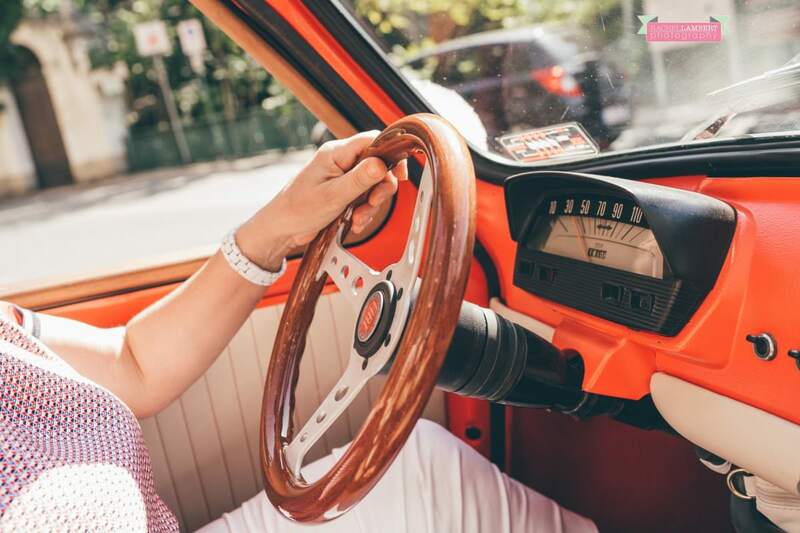 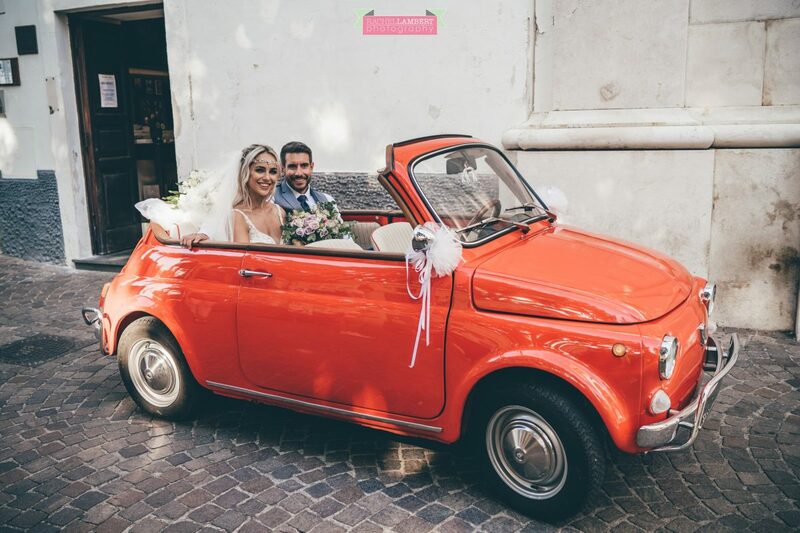 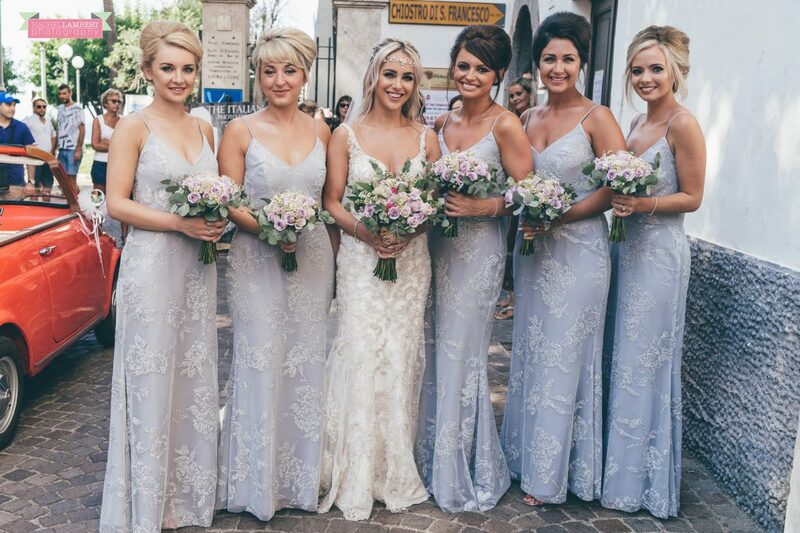 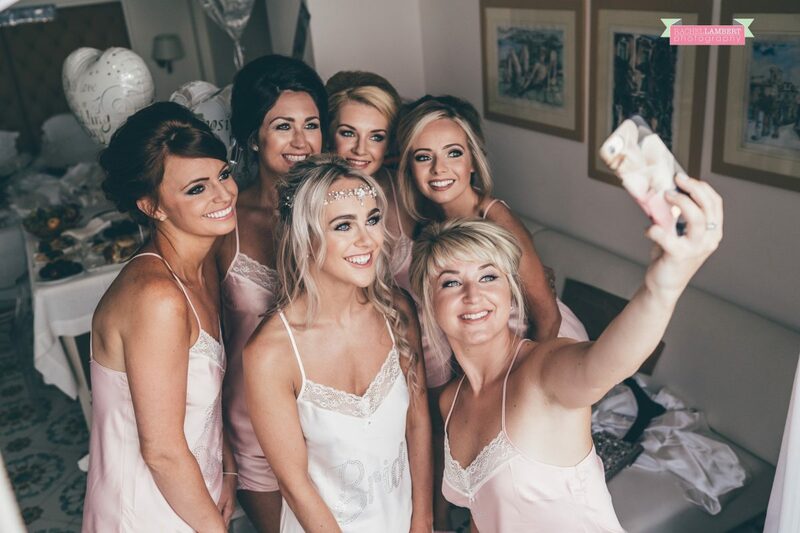 I stayed with Harriet and the girls, while they had hair and makeup done, and it was soon time to head down to the Cloisters – Chiostro di San Francesco – in a very cute little red Fiat. 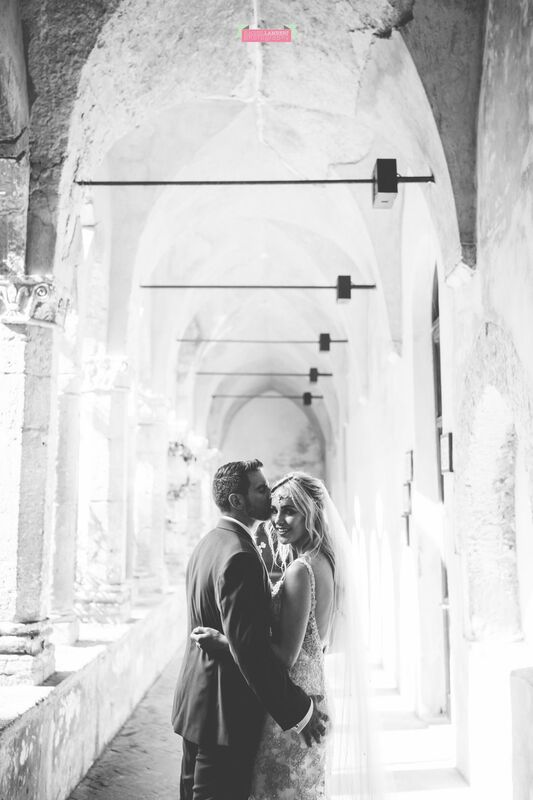 I’ve shot at the Cloisters before, so I already knew this was going to be a very beautiful ceremony. 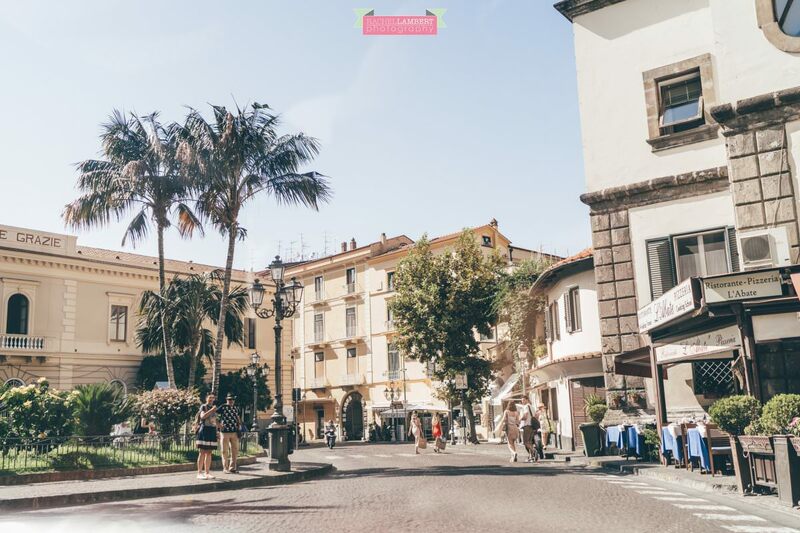 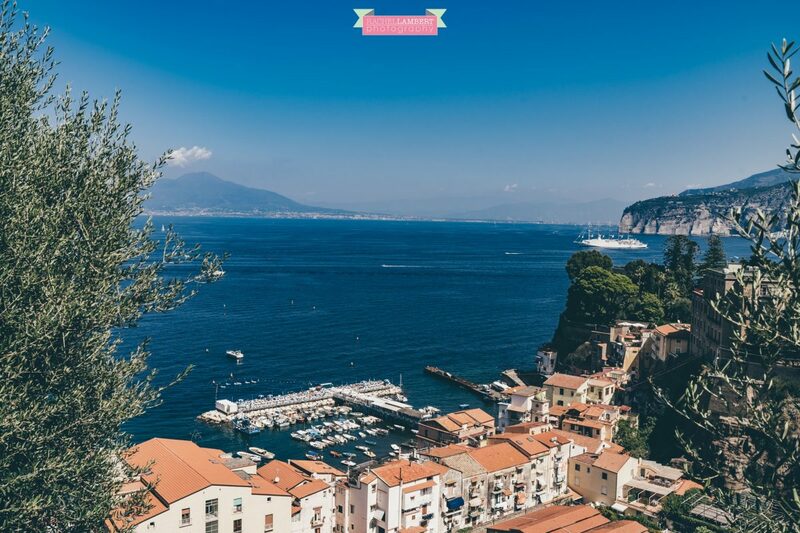 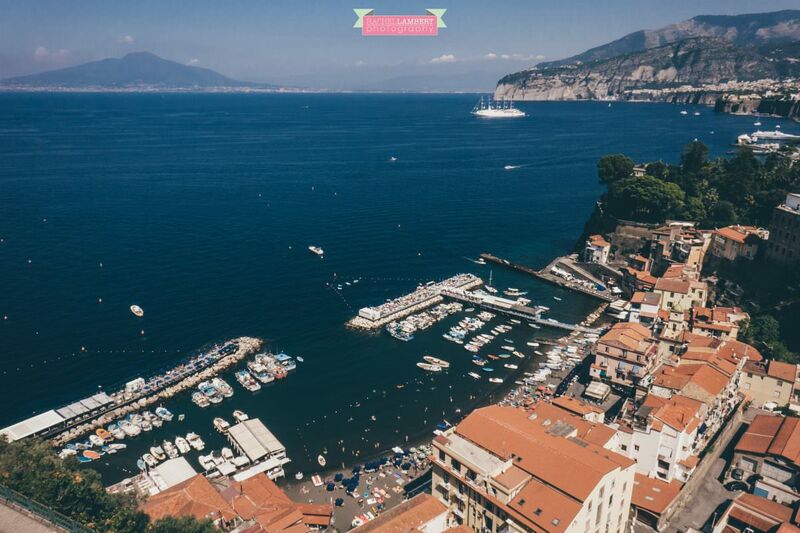 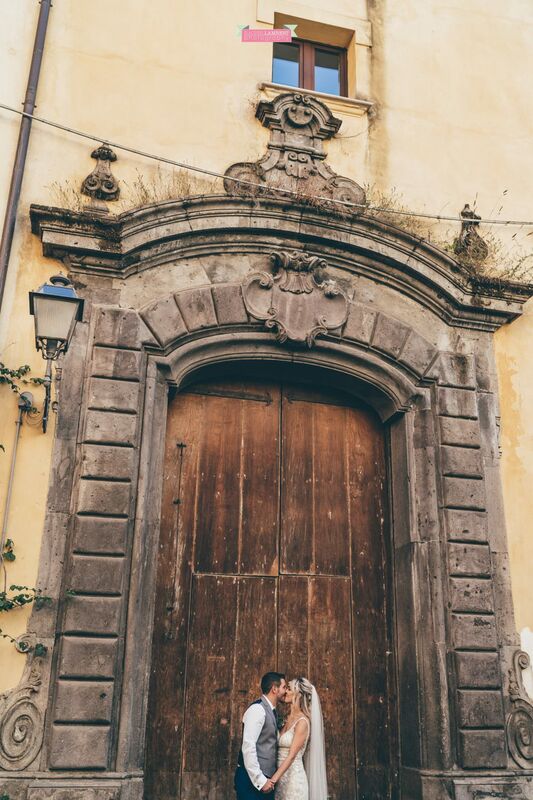 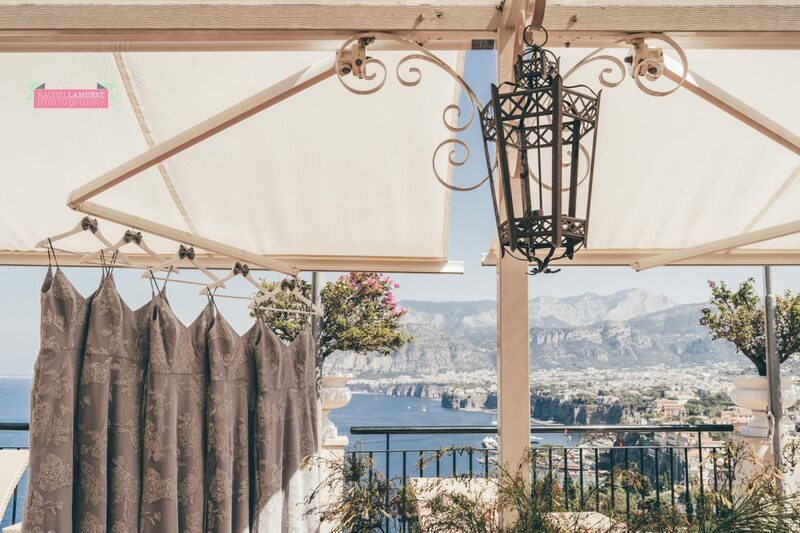 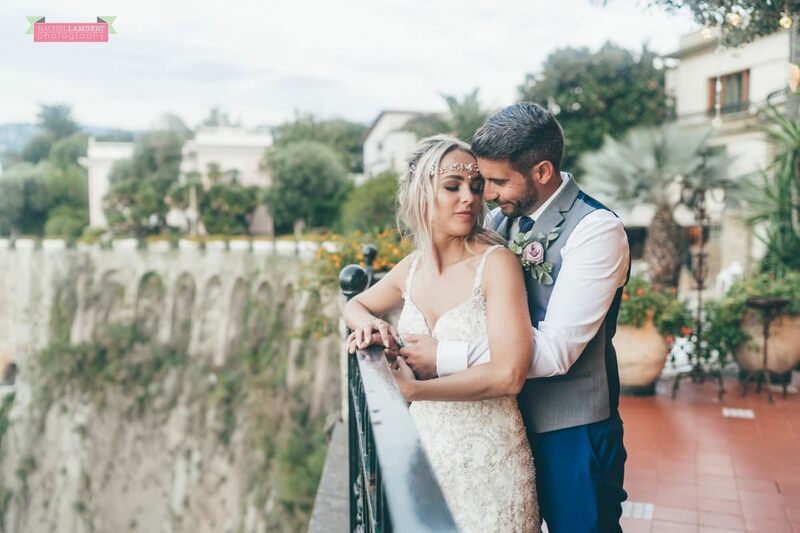 And I was not wrong, this location is hidden away in the streets of Sorrento, you would never find it by chance, once through the entrance, you are taken away from the hustle and bustle of Sorrento, into the tranquil and cool stone columns and overhanging vines. 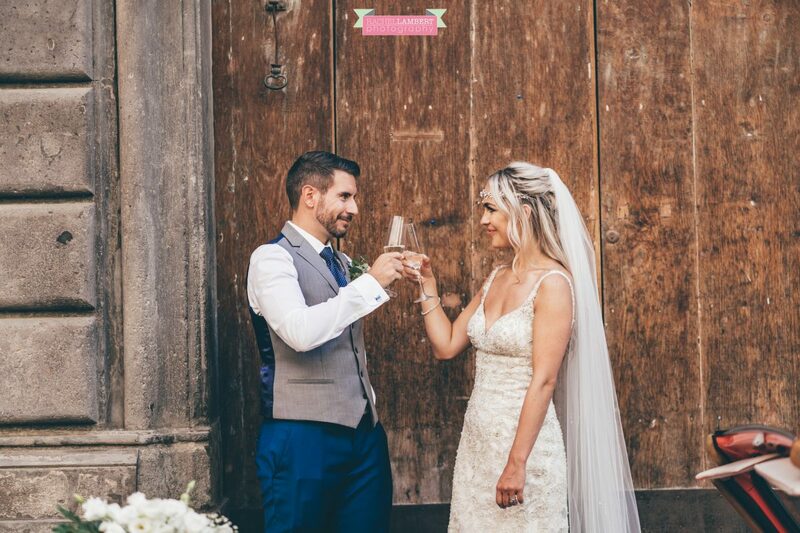 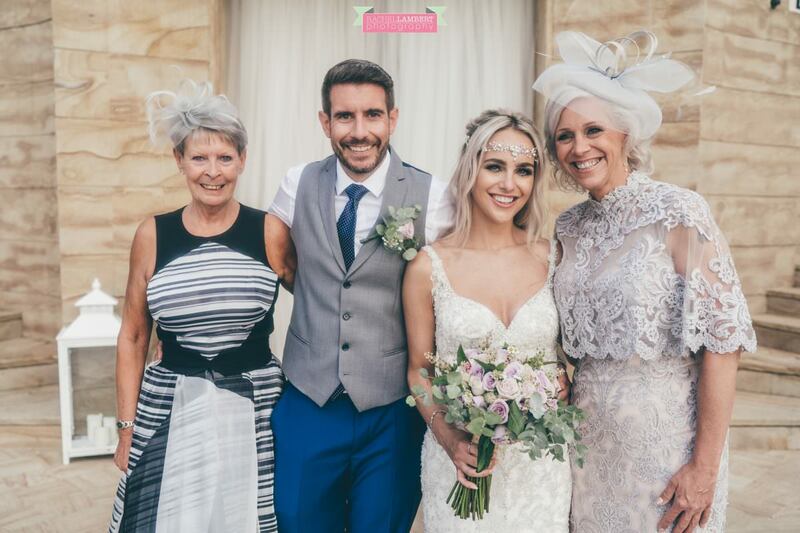 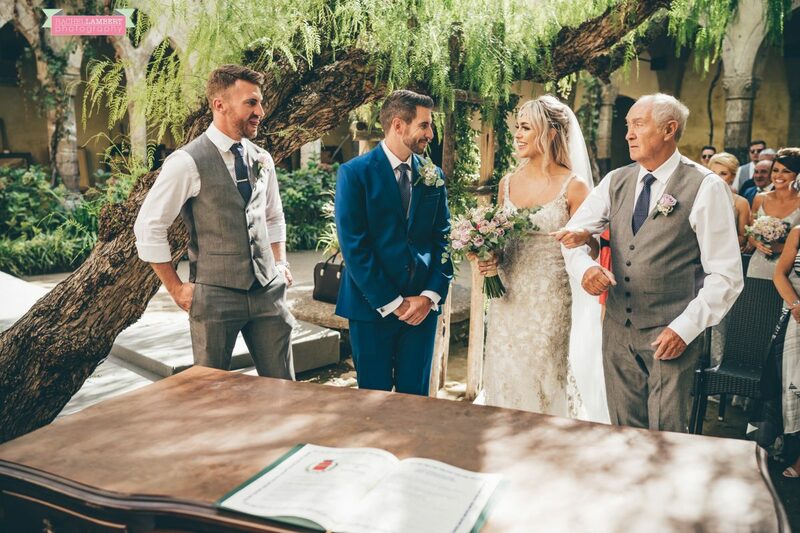 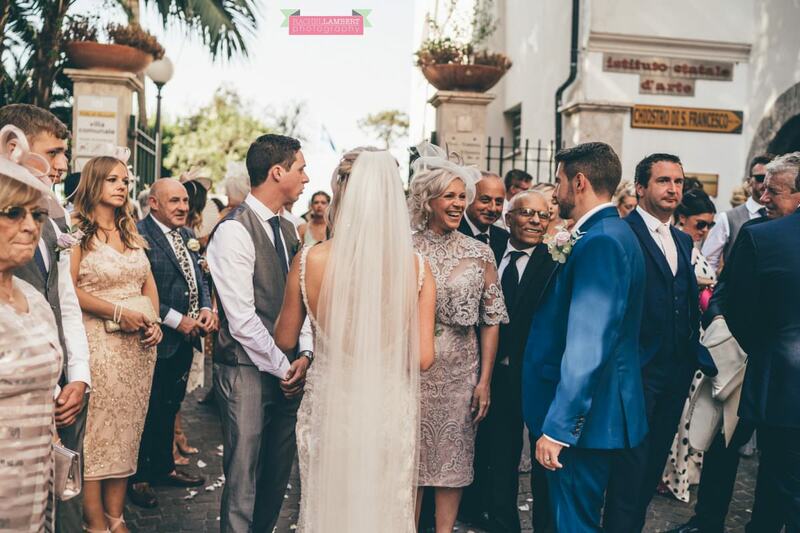 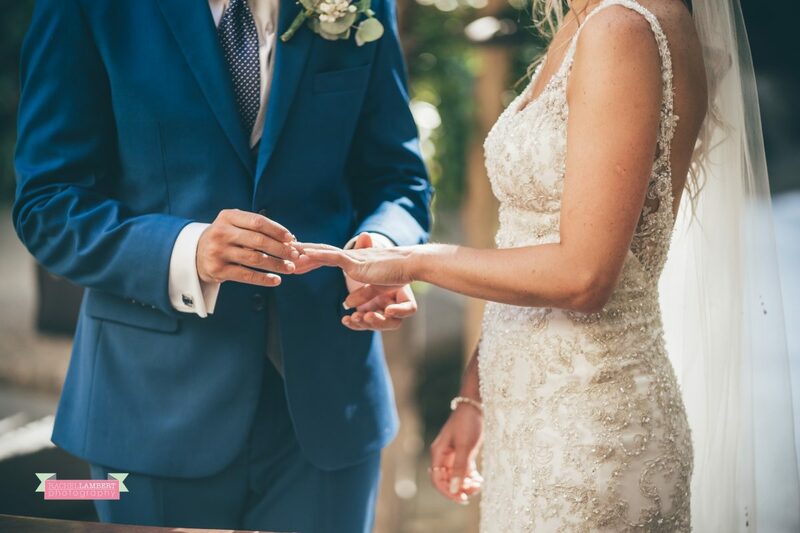 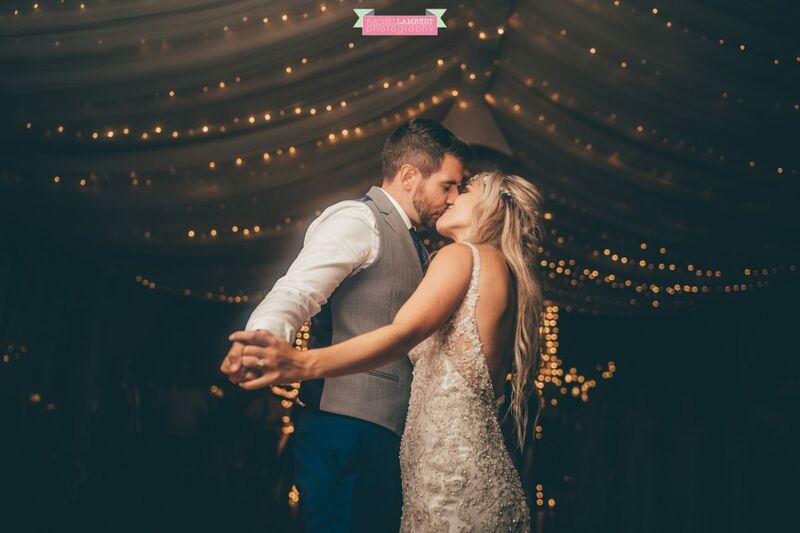 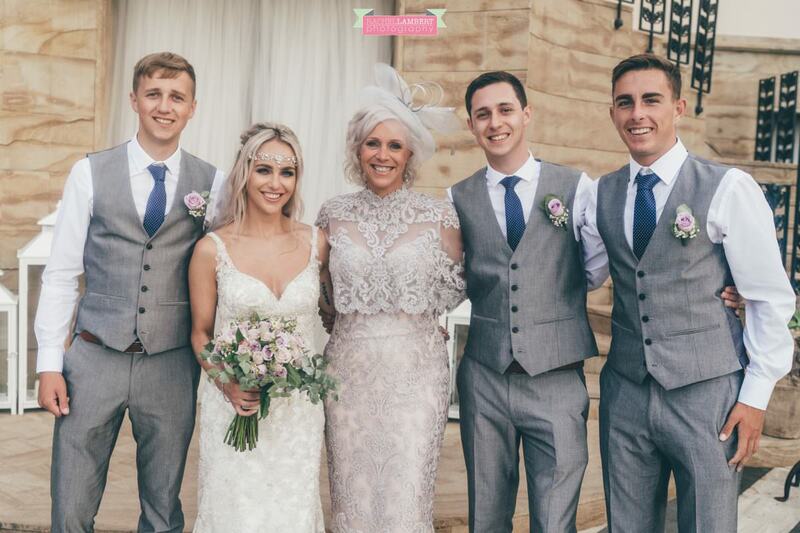 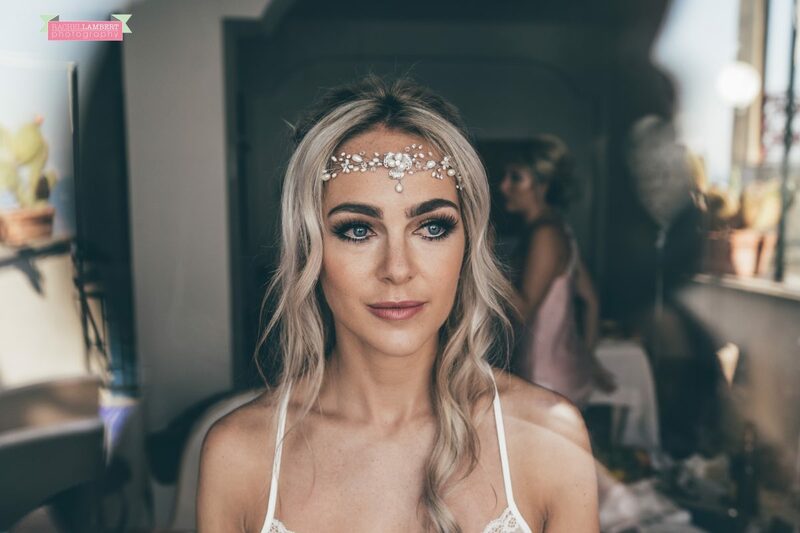 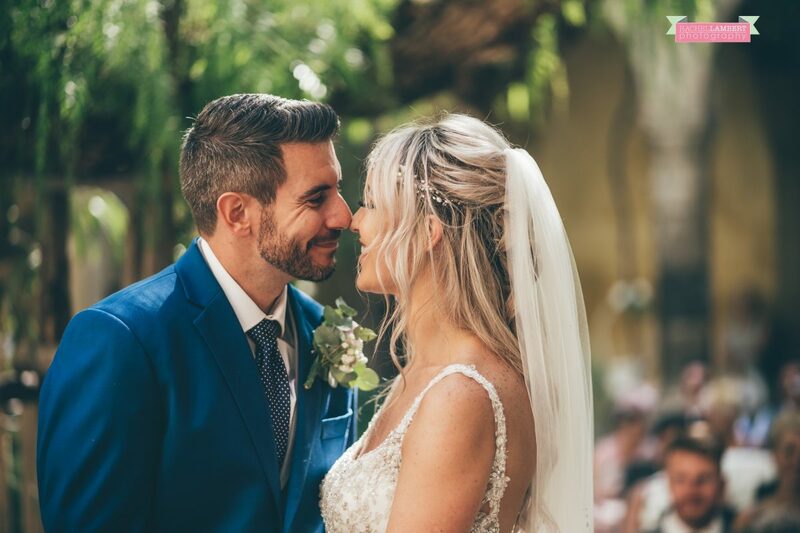 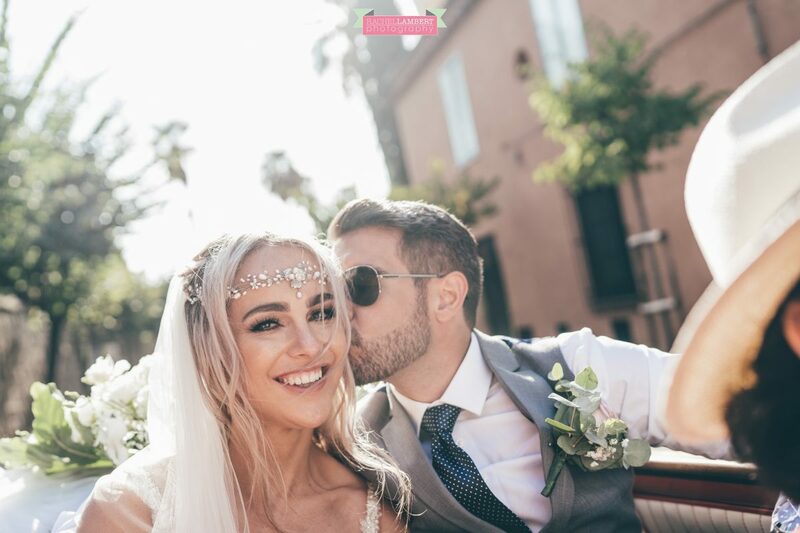 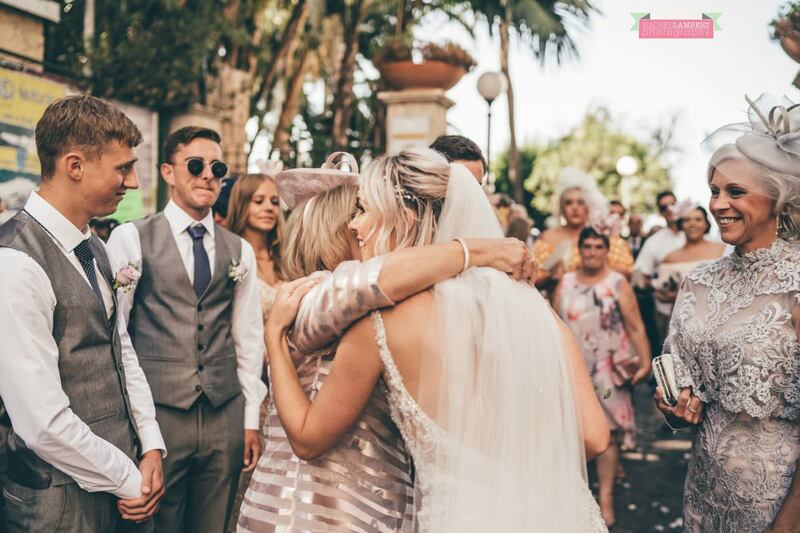 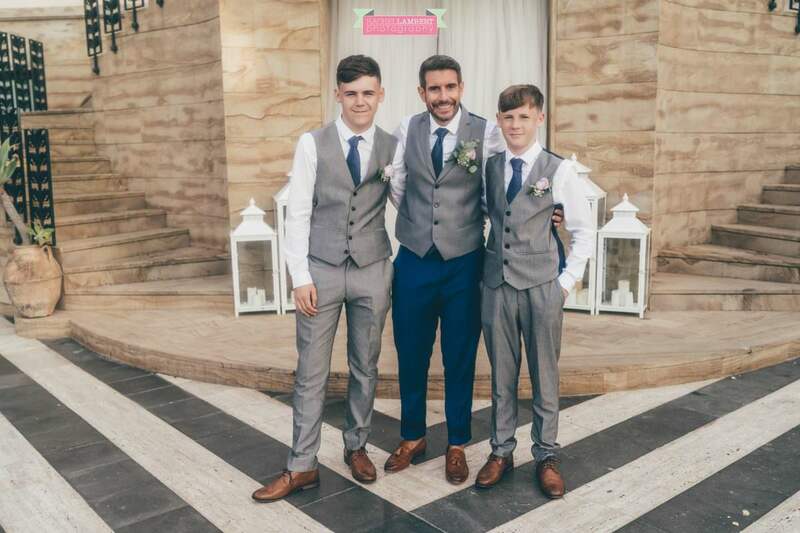 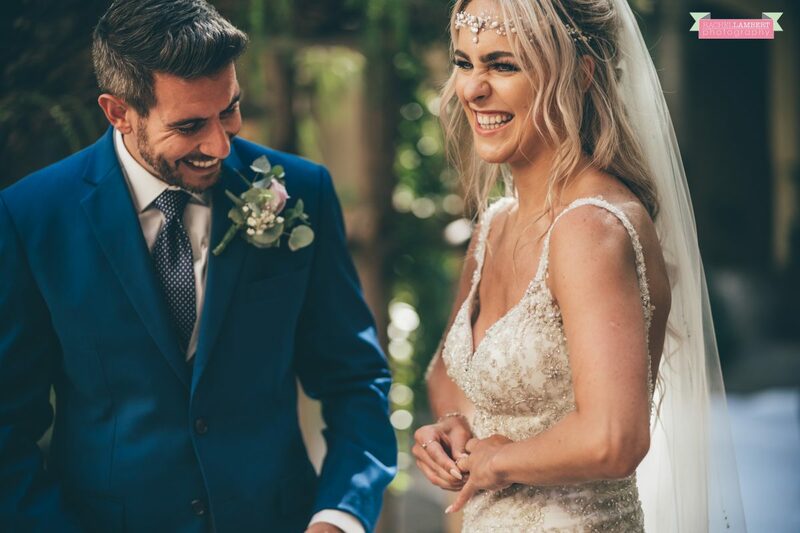 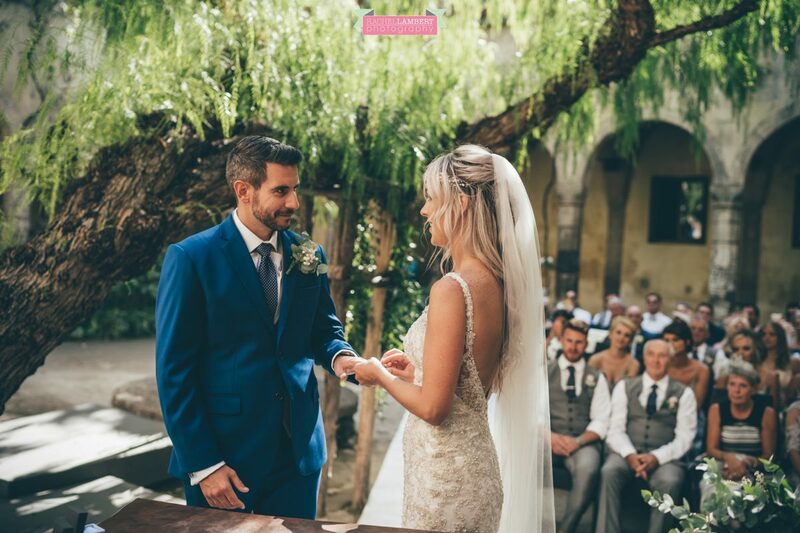 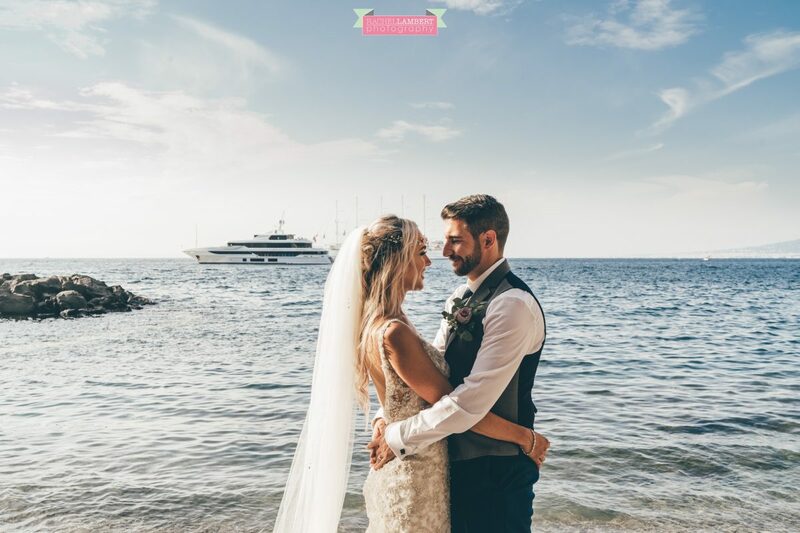 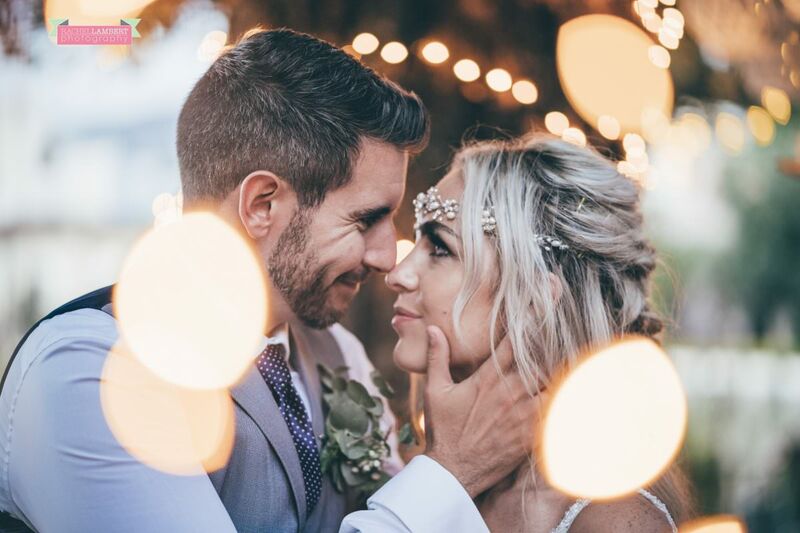 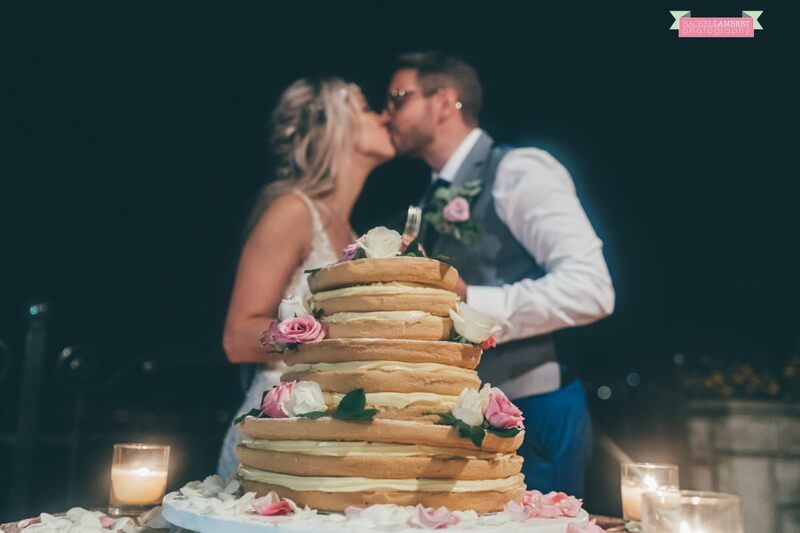 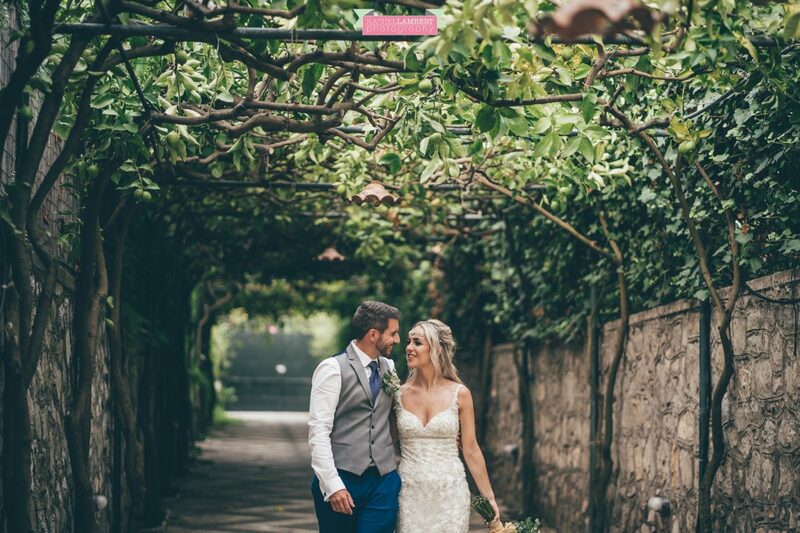 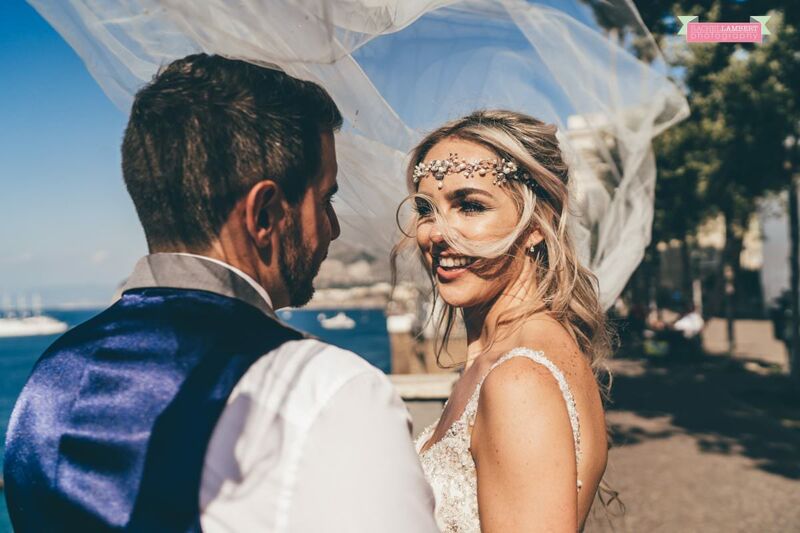 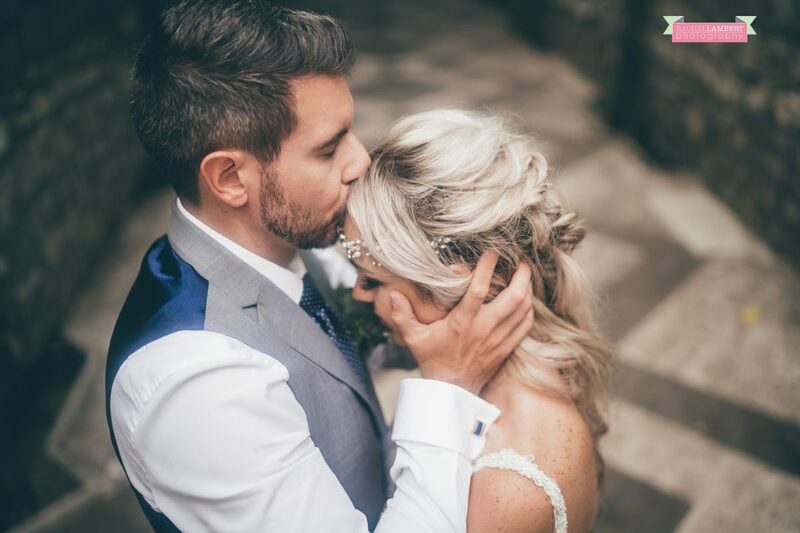 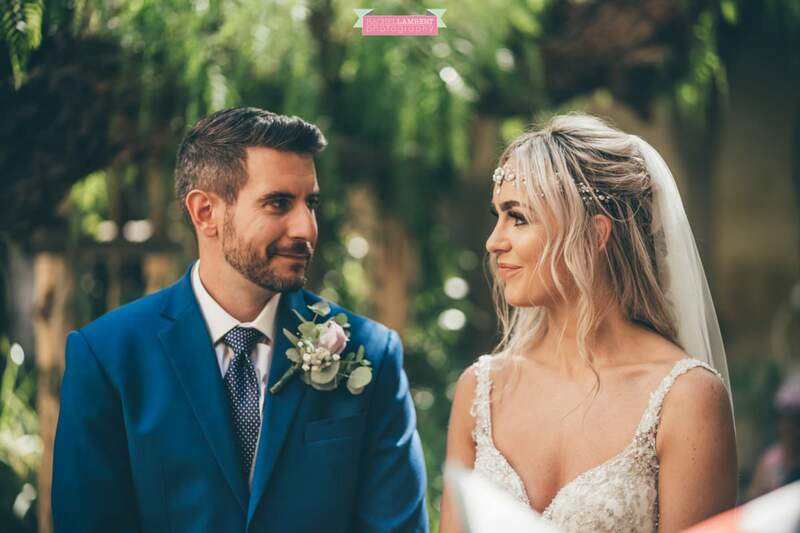 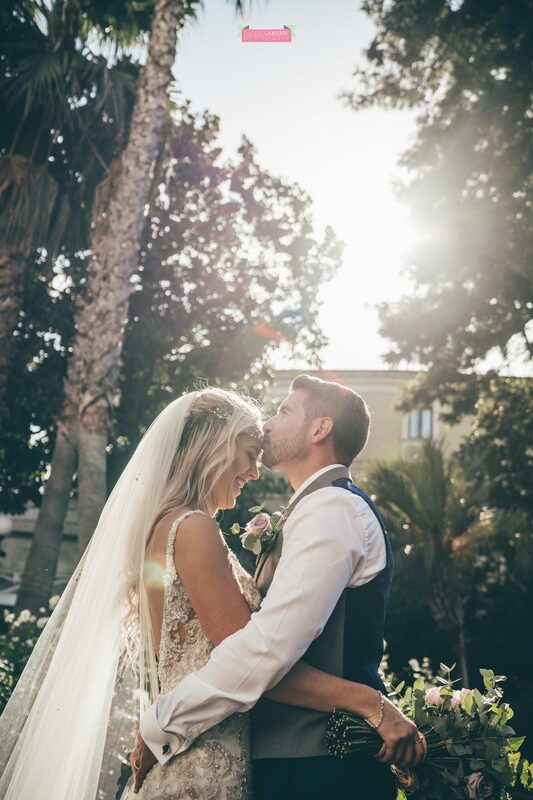 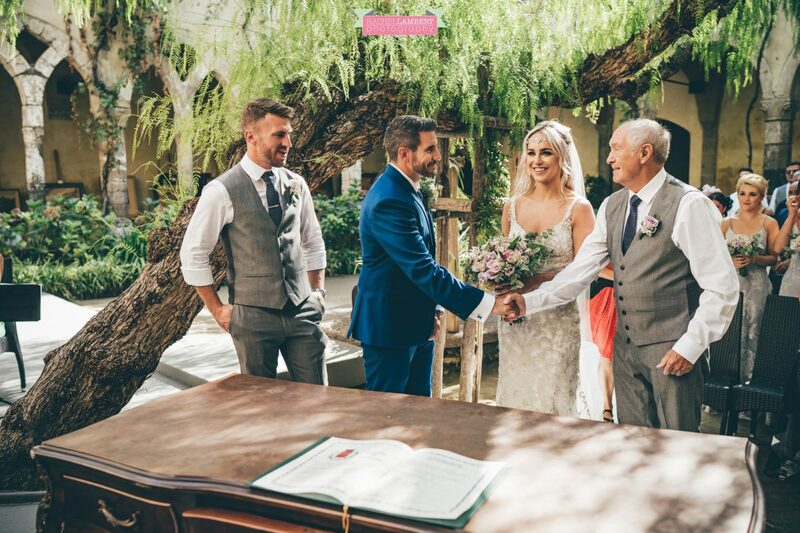 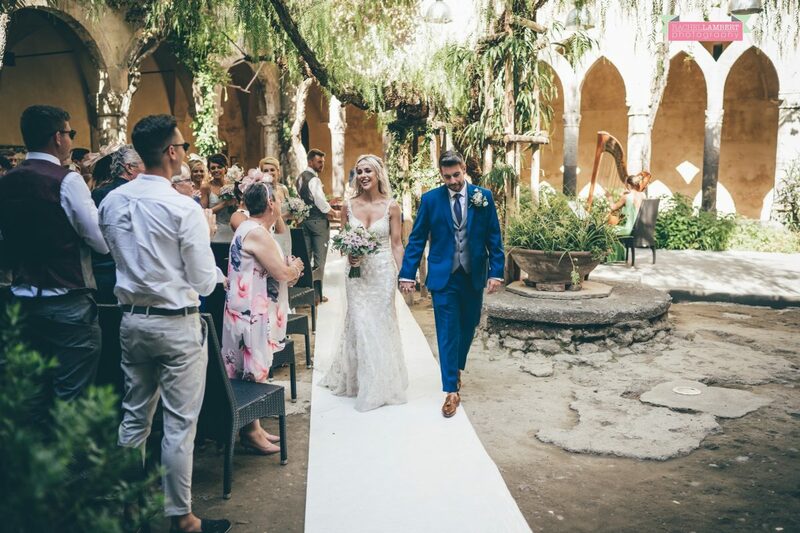 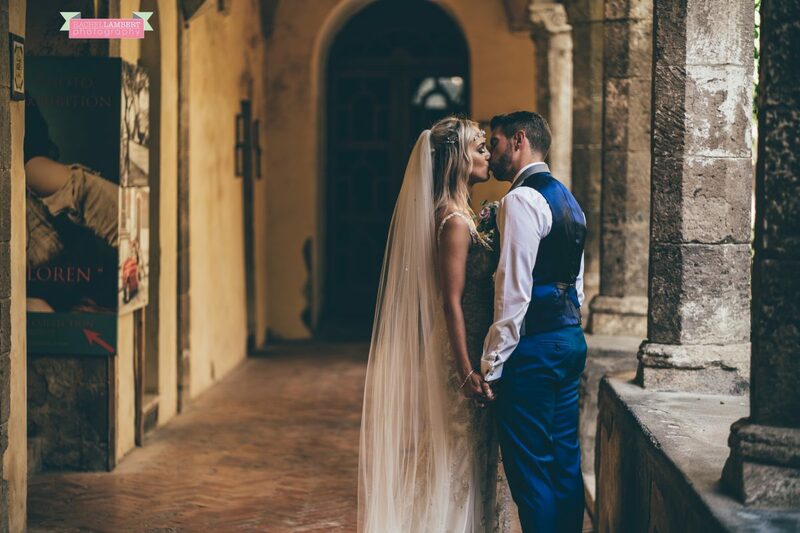 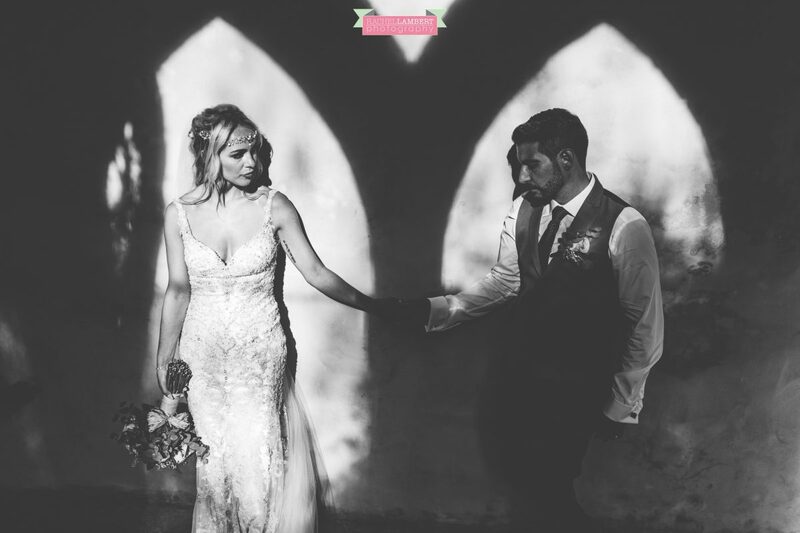 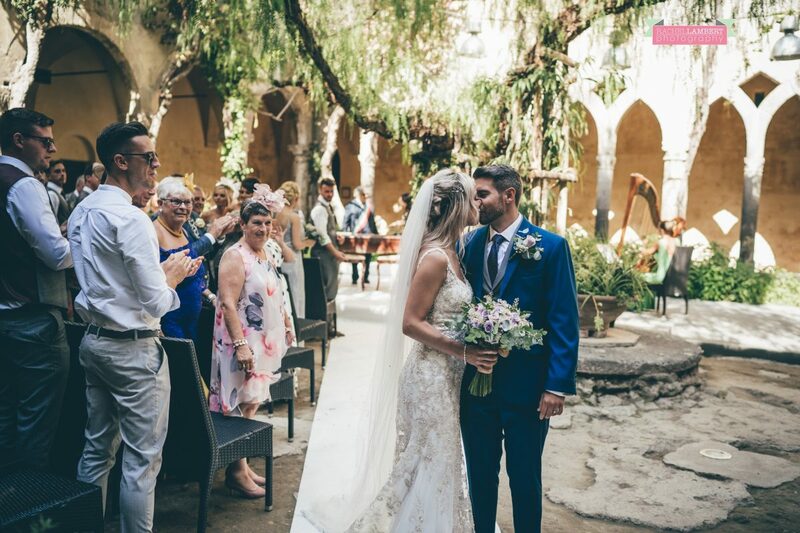 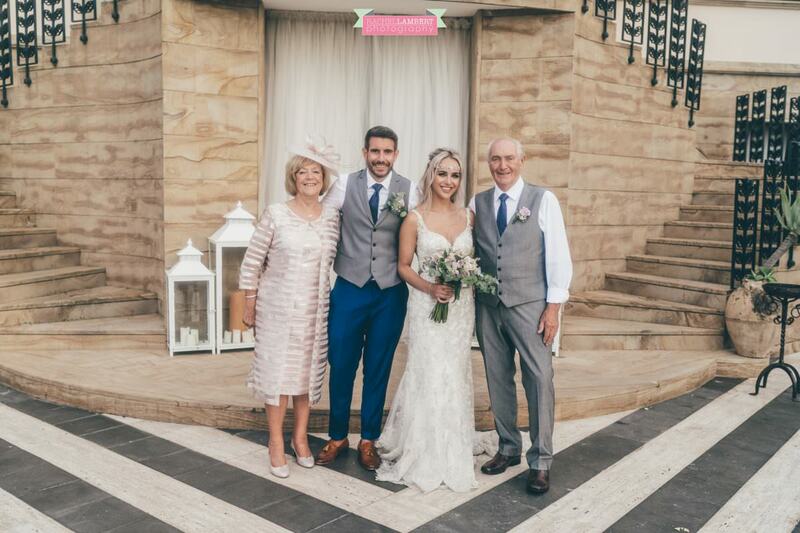 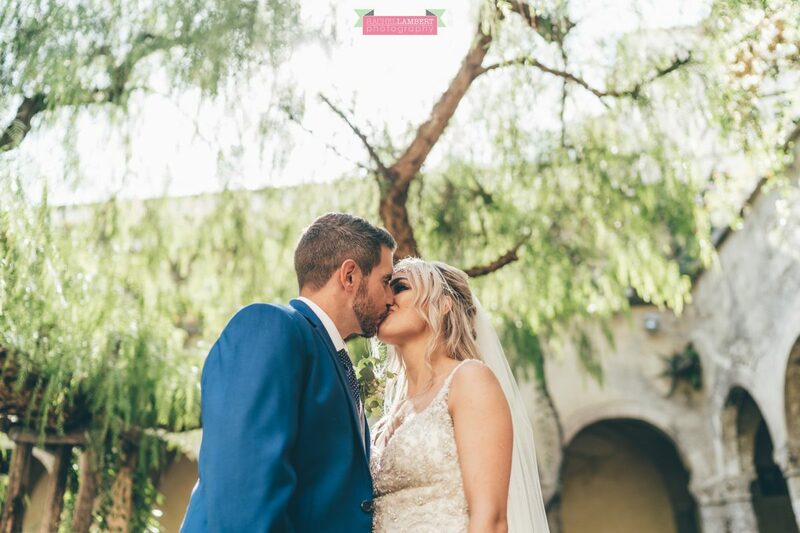 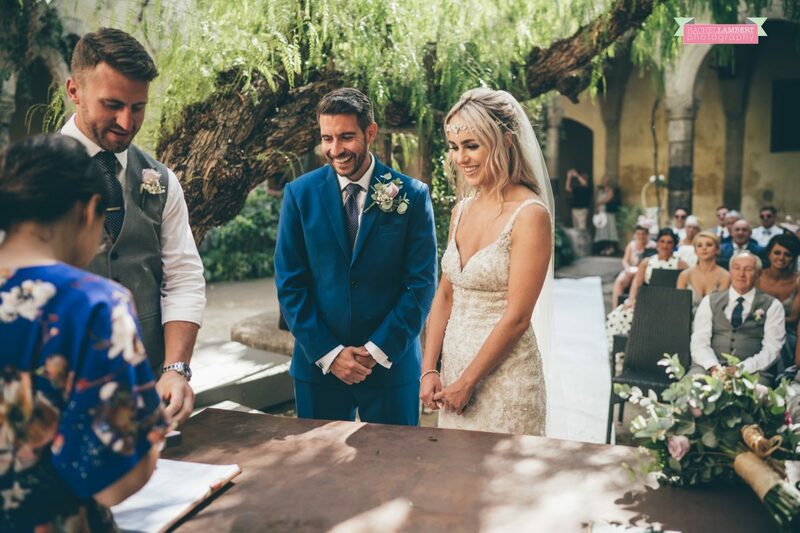 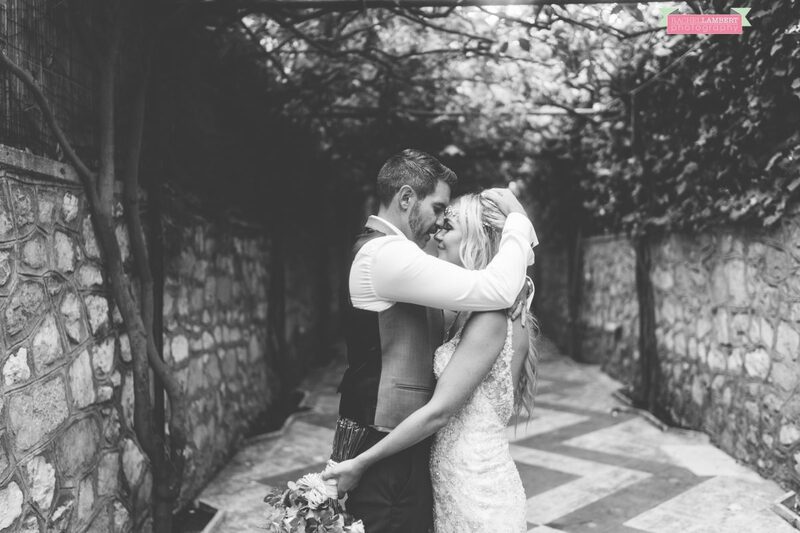 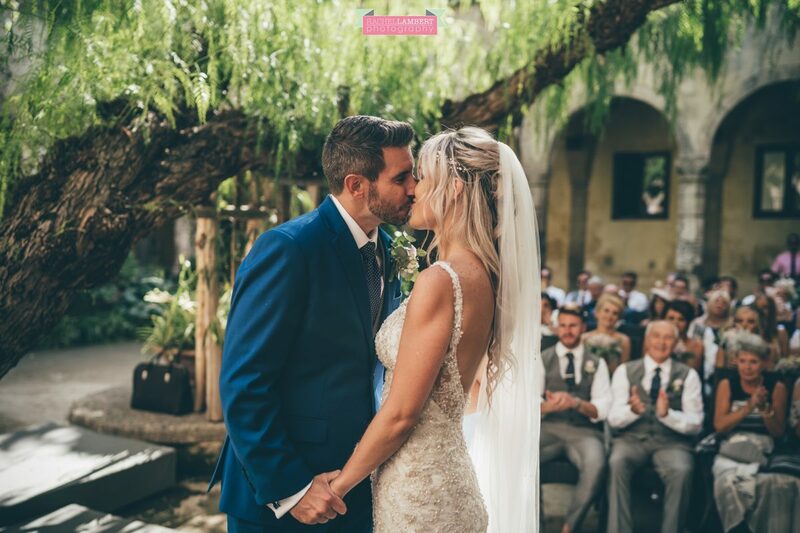 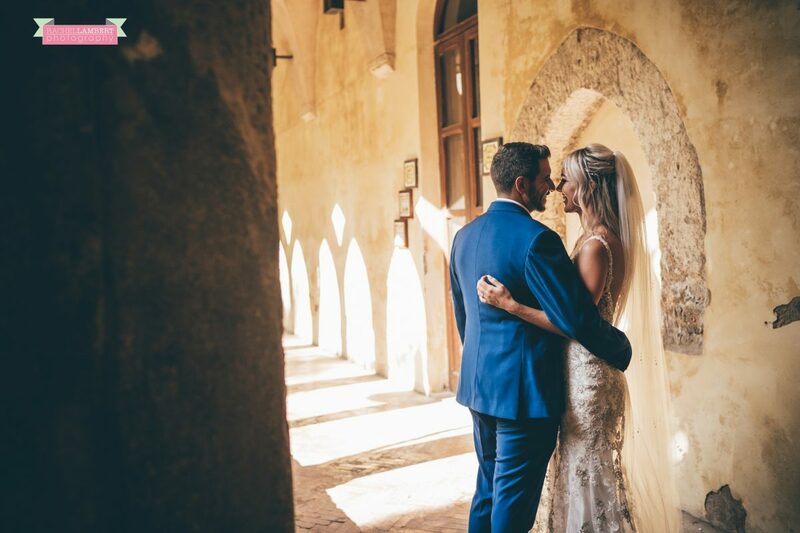 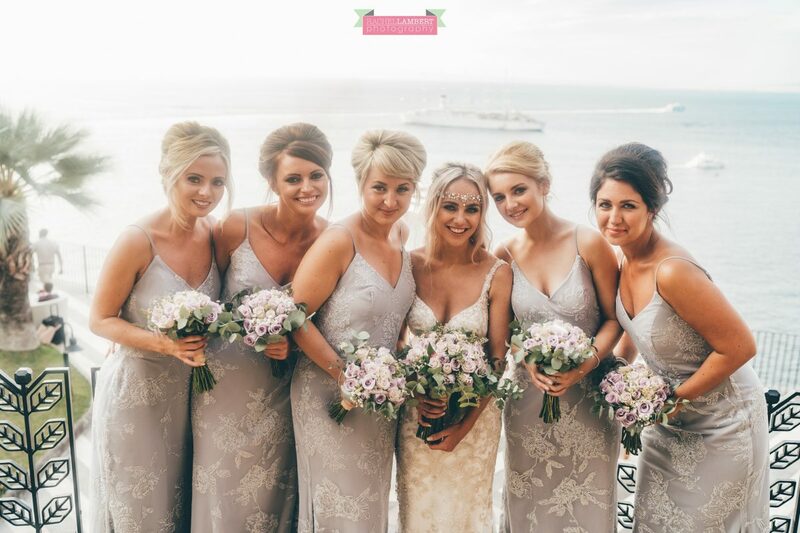 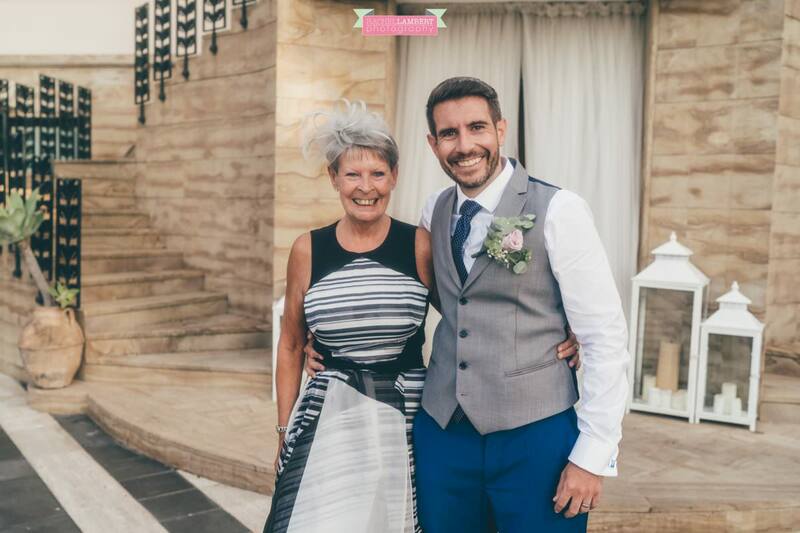 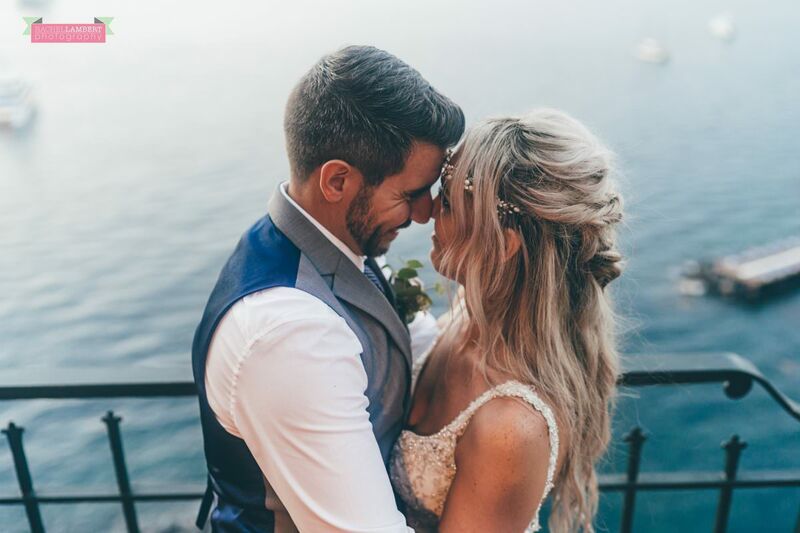 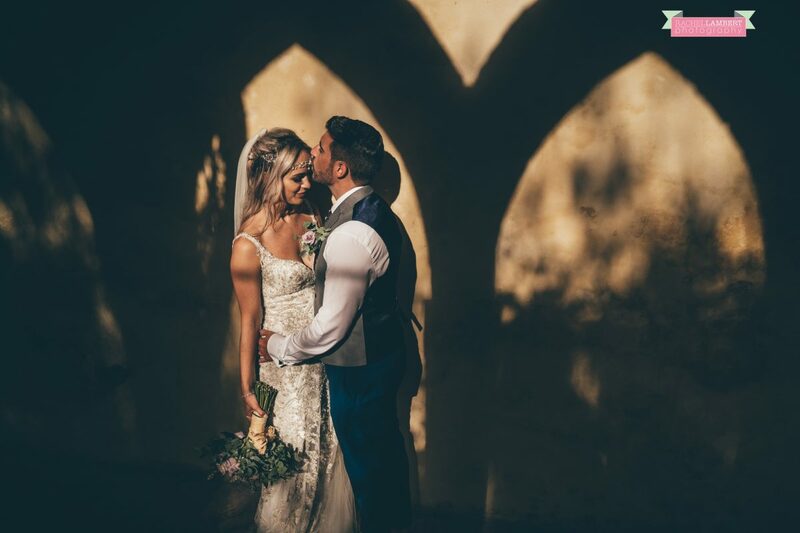 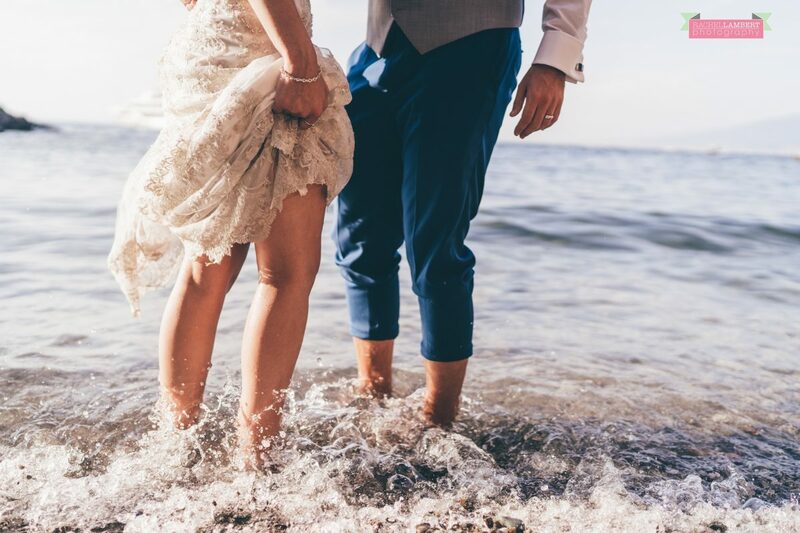 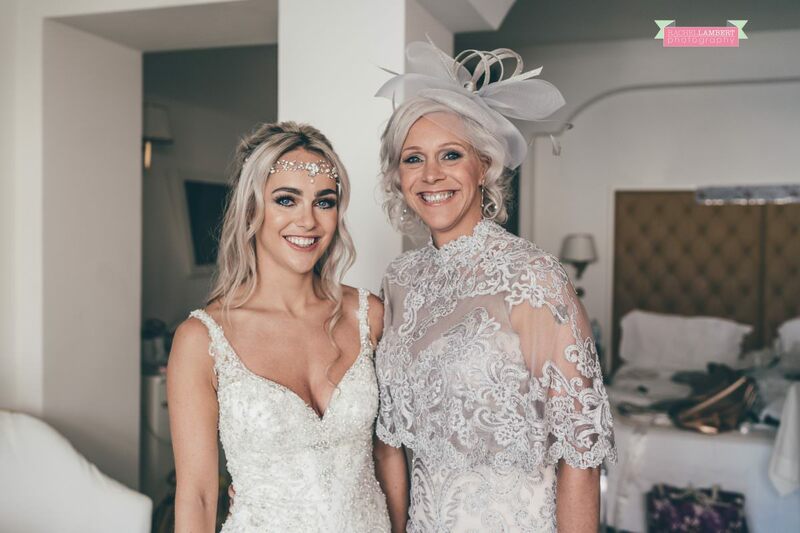 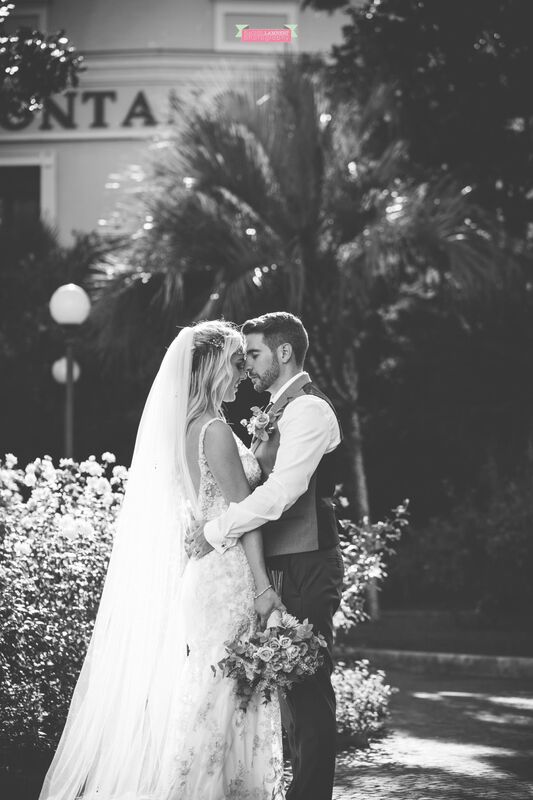 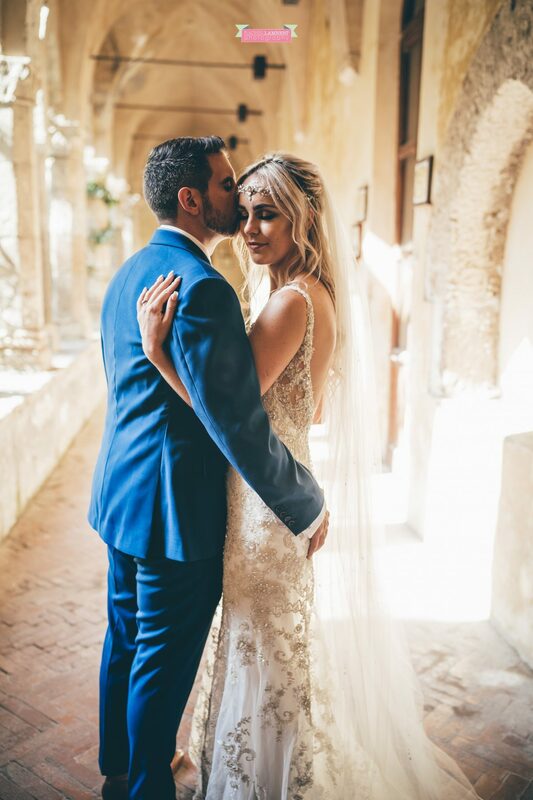 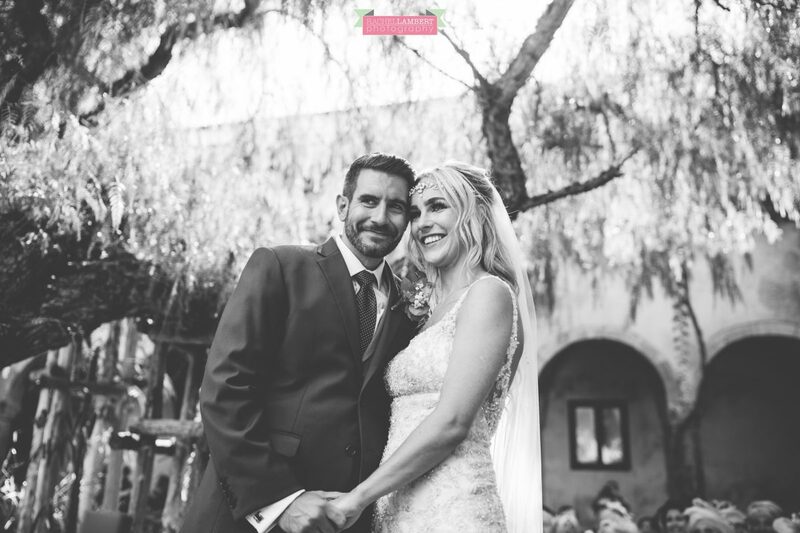 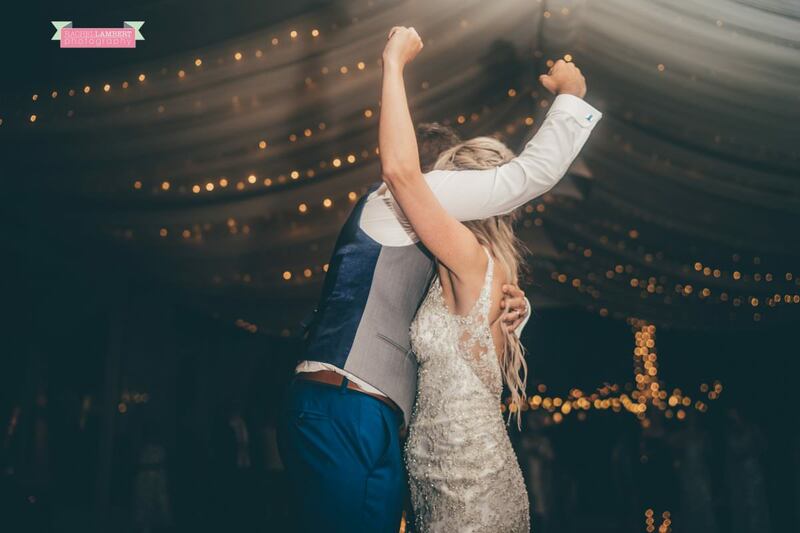 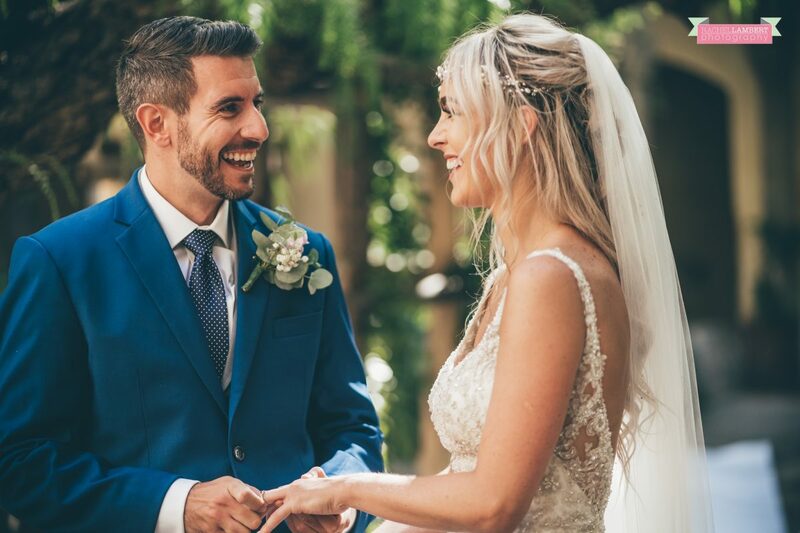 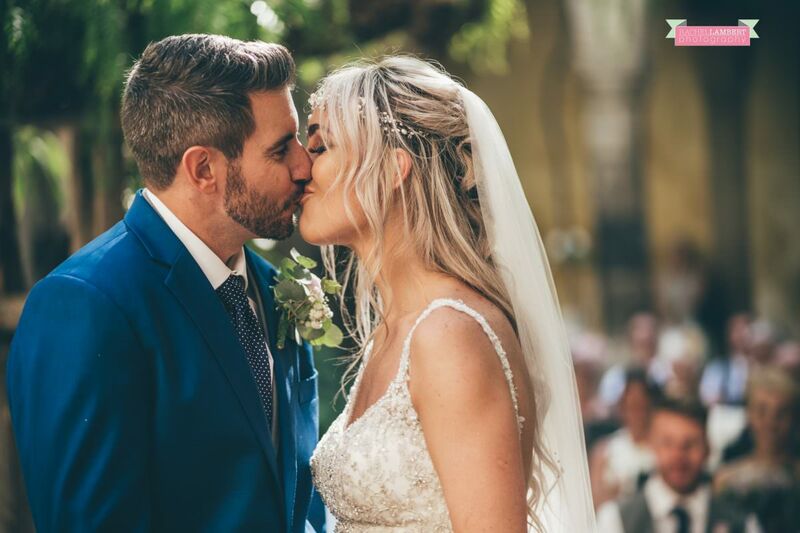 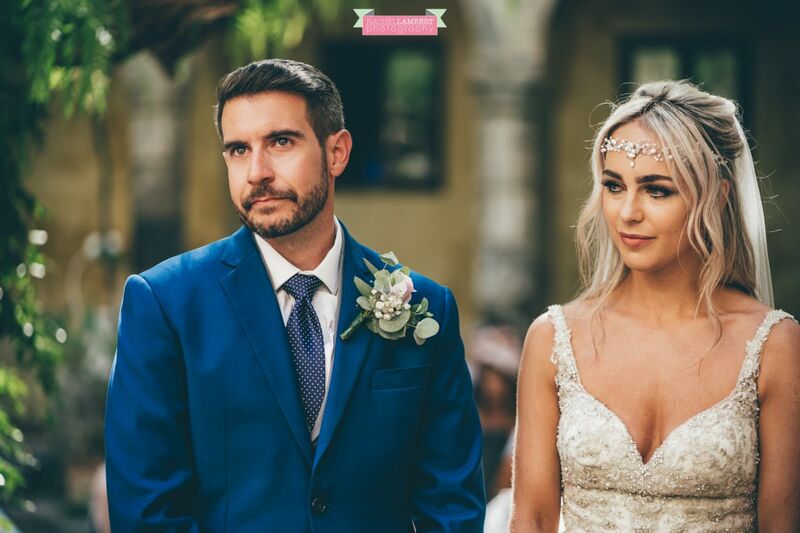 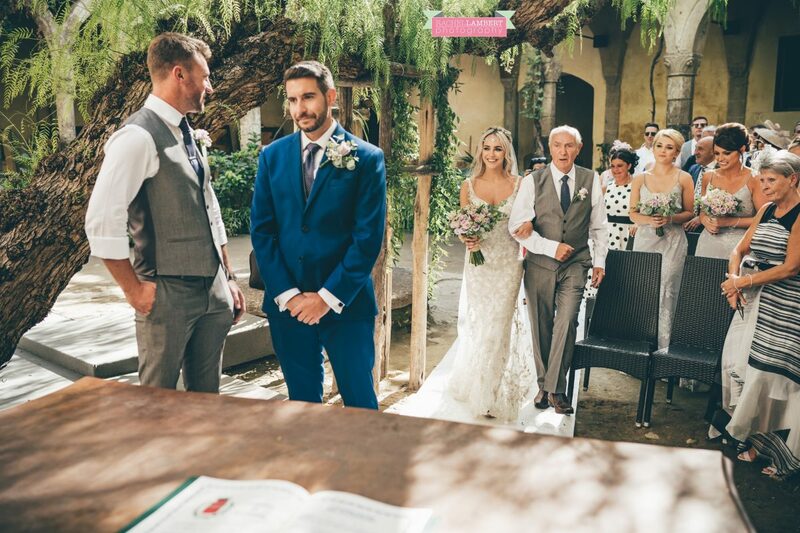 Not only is the location stunning, but so were the bride and groom, Harriet wearing a beautiful lace and embellished bridal gown from Laura May Bridal, and Rob looking pretty dapper in his three piece suit too! 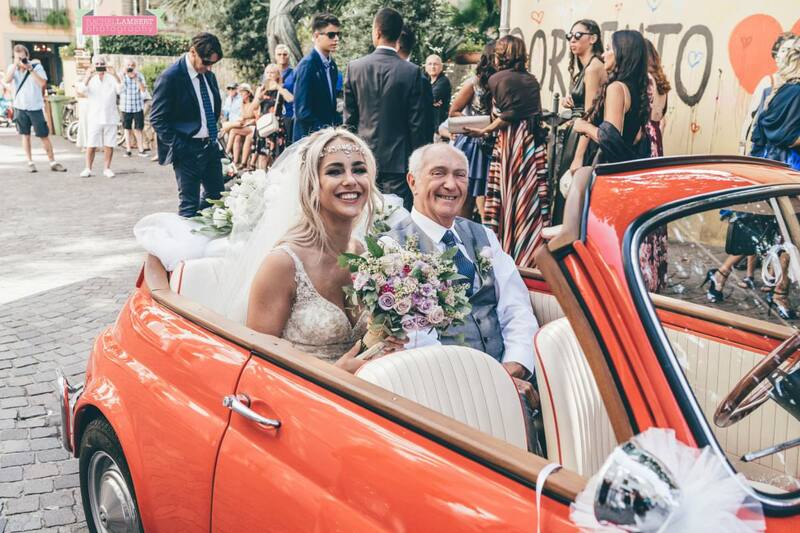 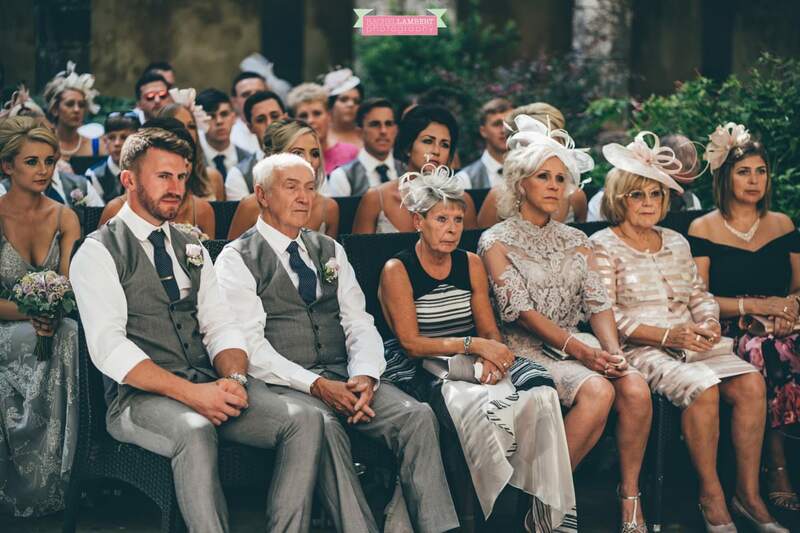 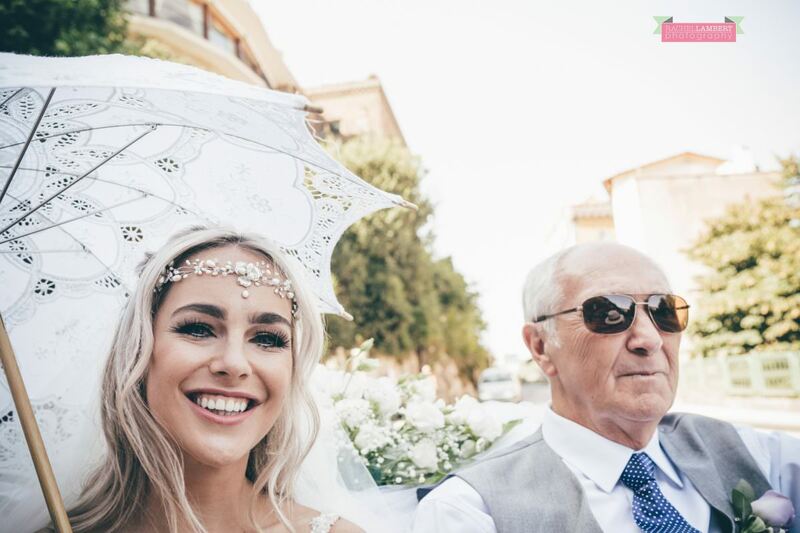 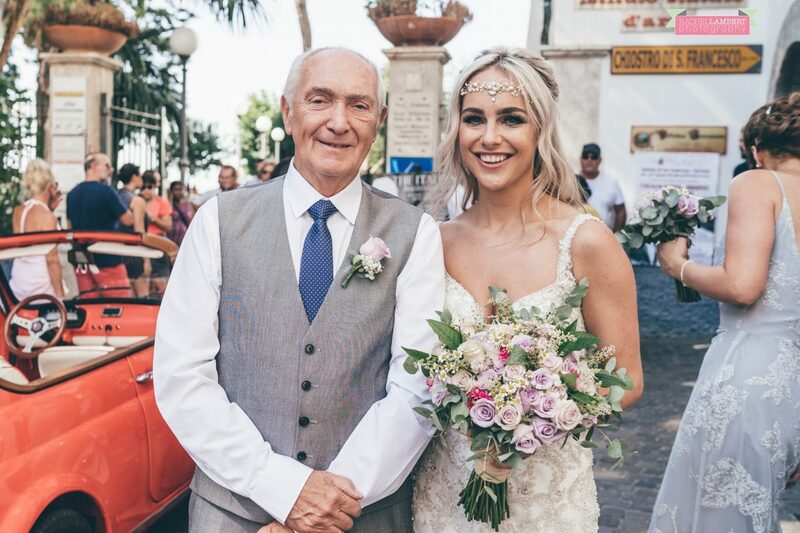 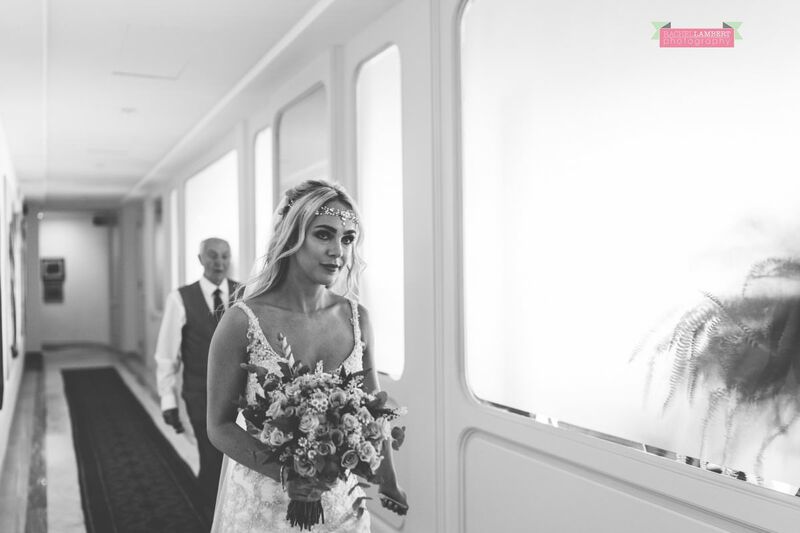 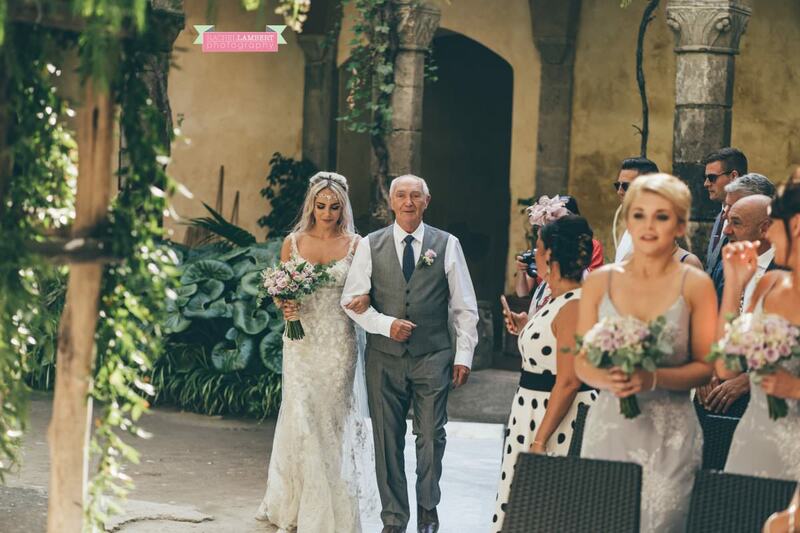 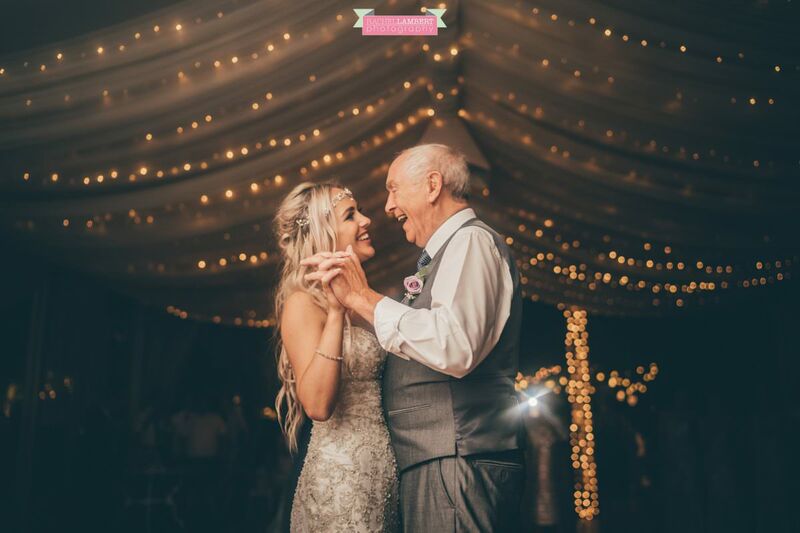 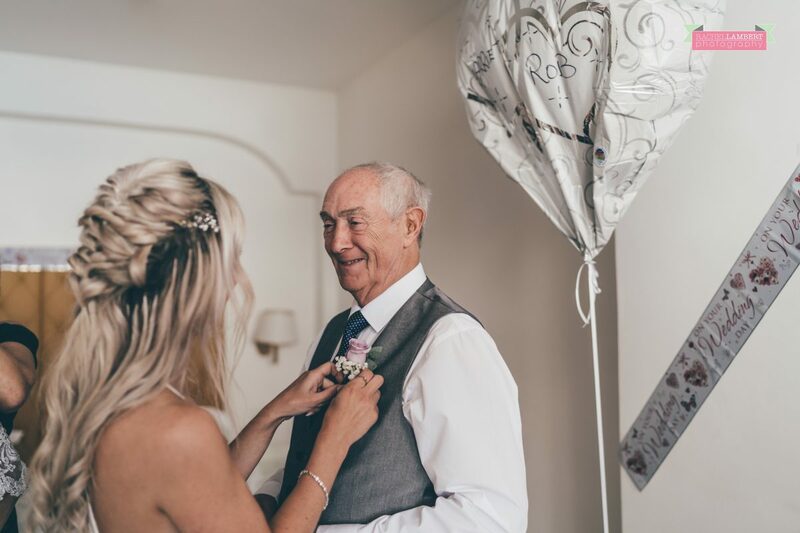 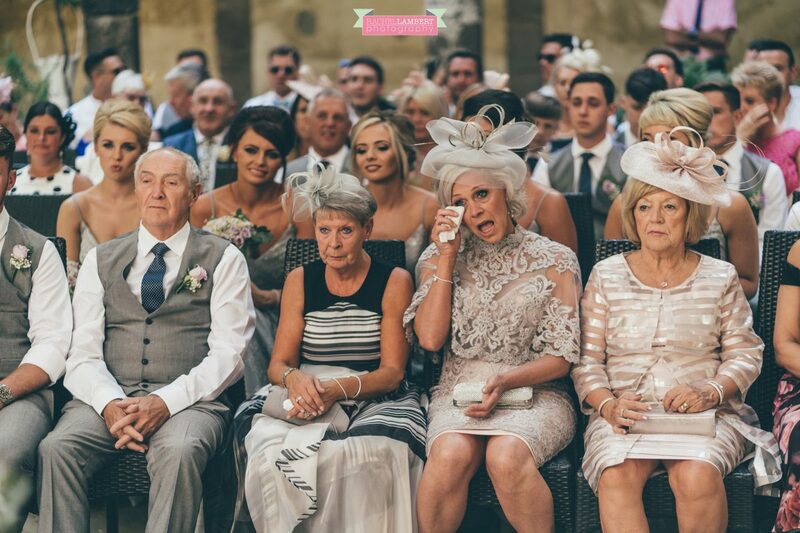 Harriet’s grandfather proudly accompanied her up the aisle, and the emotions were clear to see. 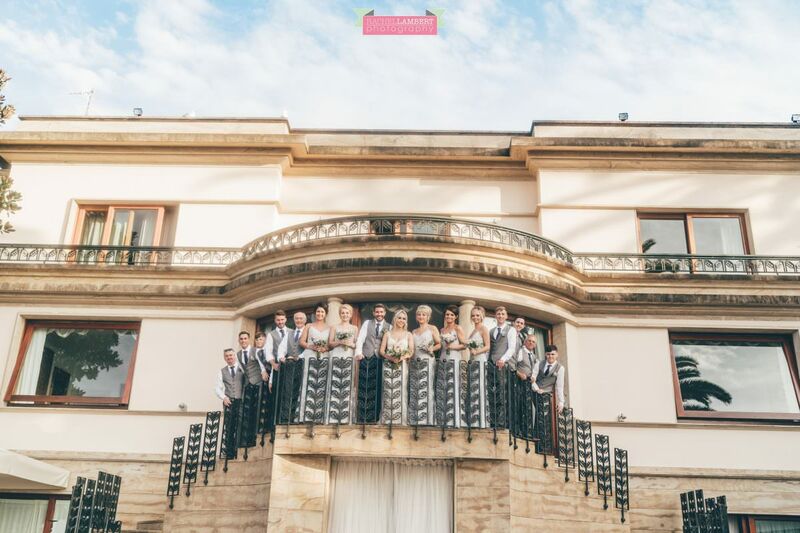 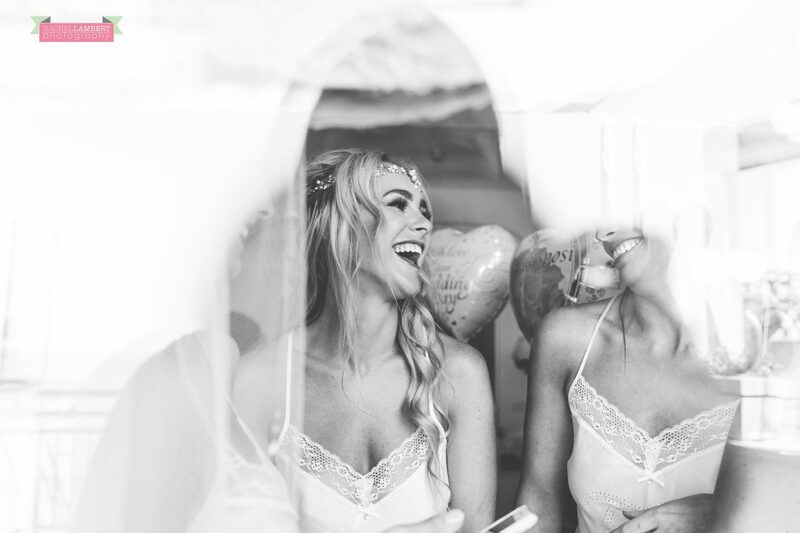 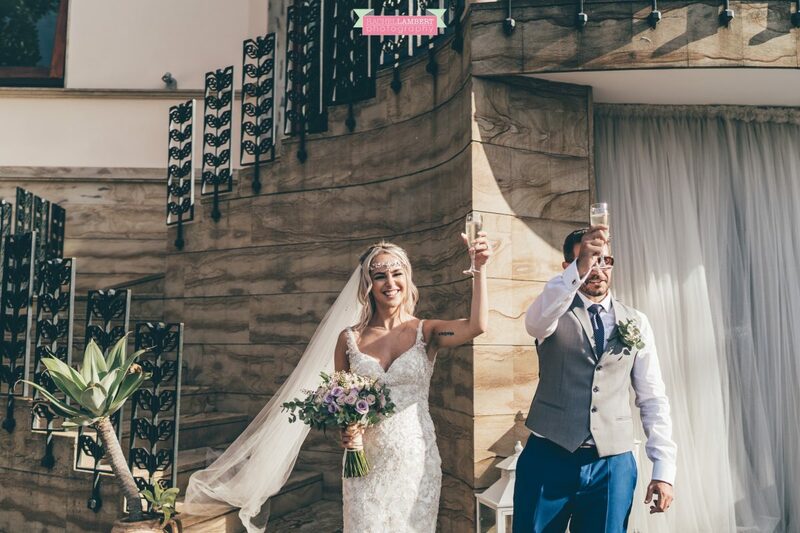 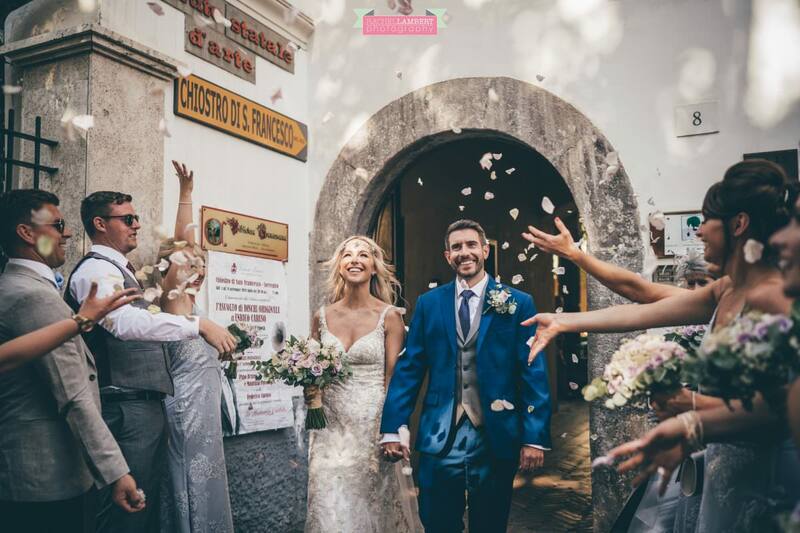 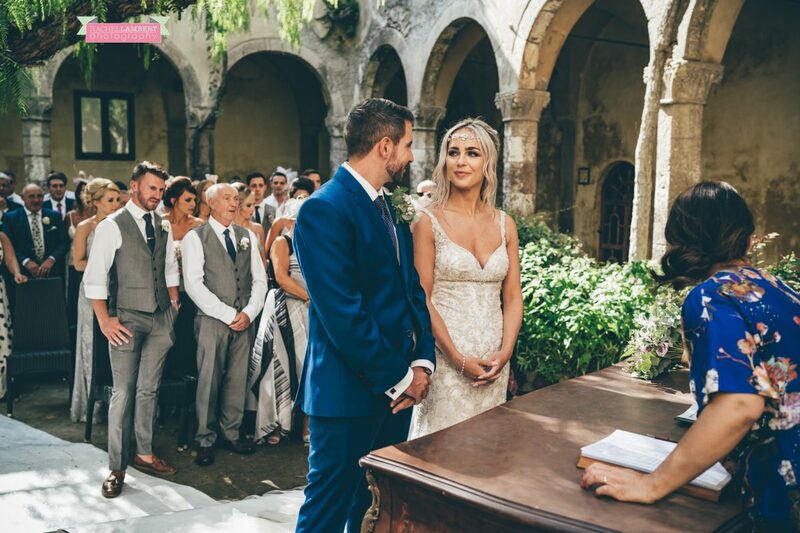 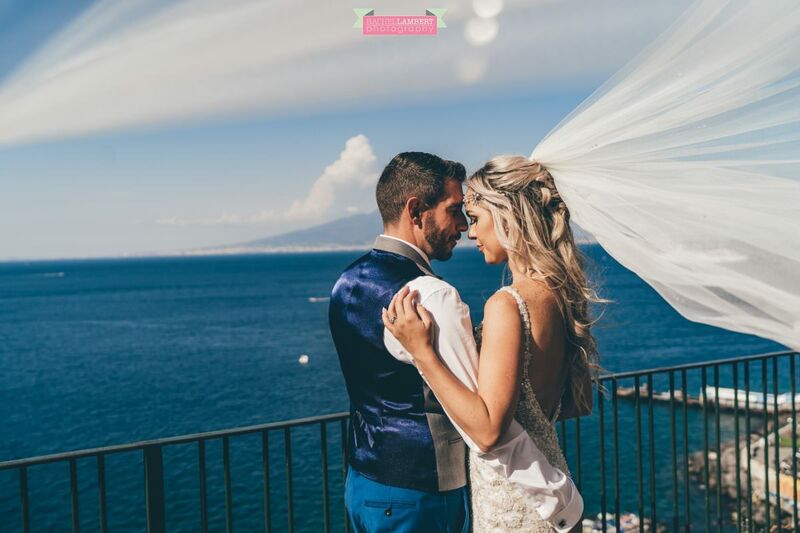 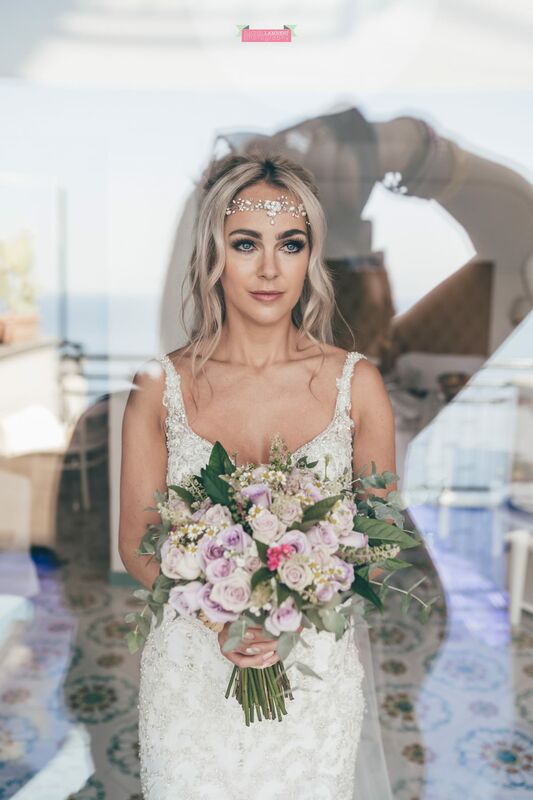 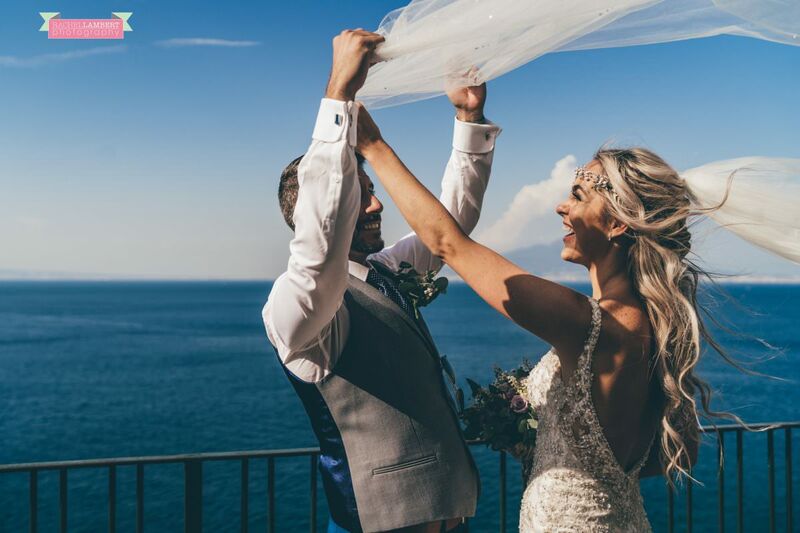 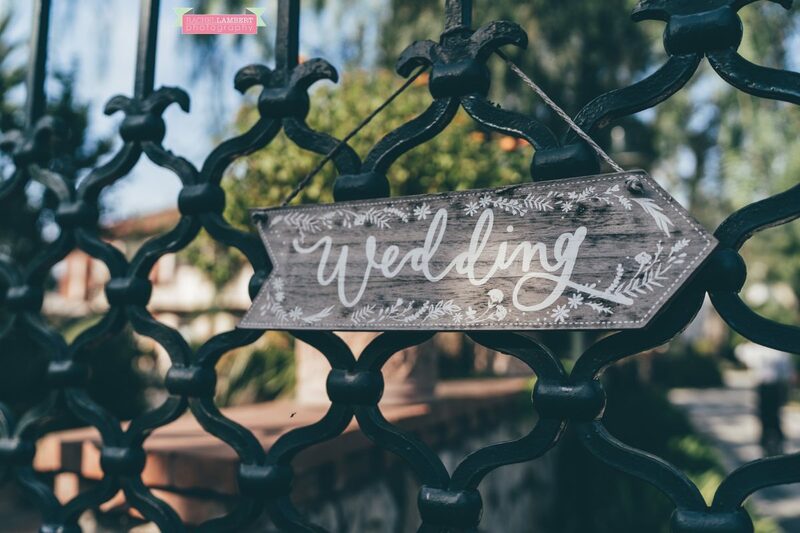 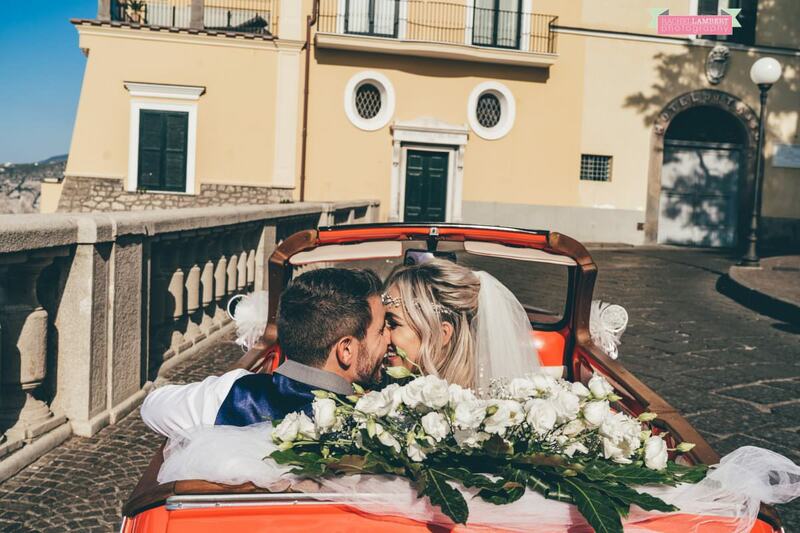 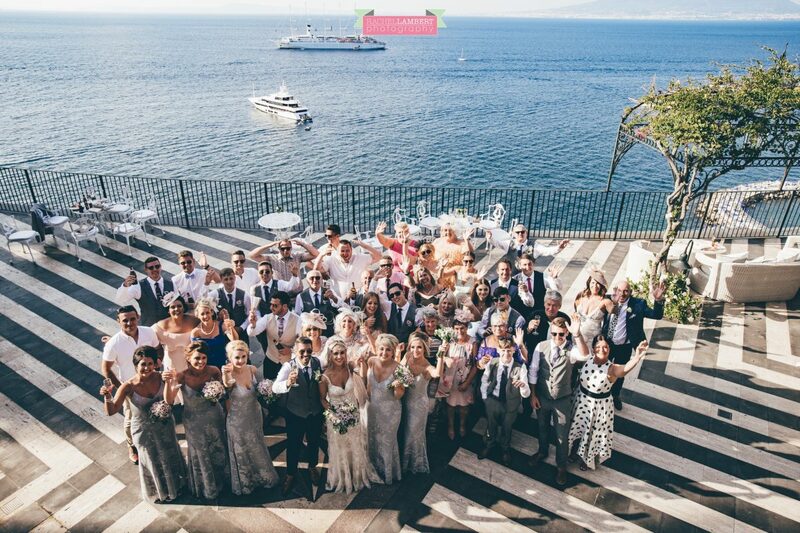 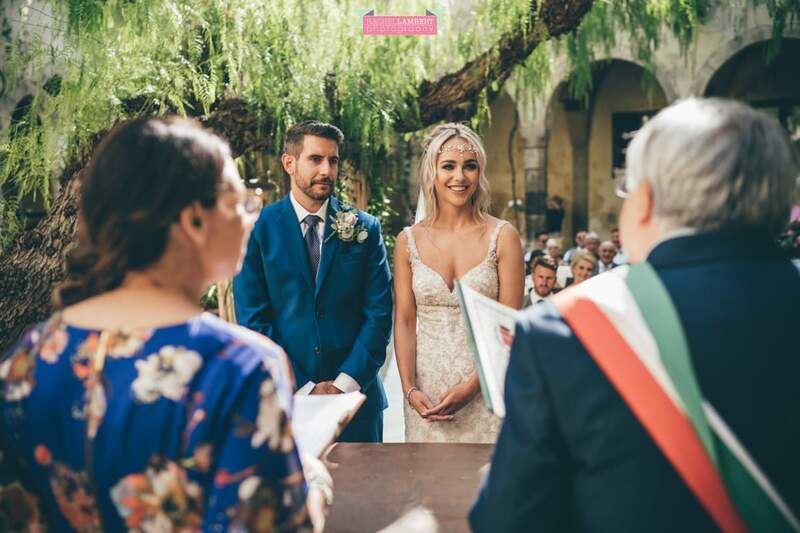 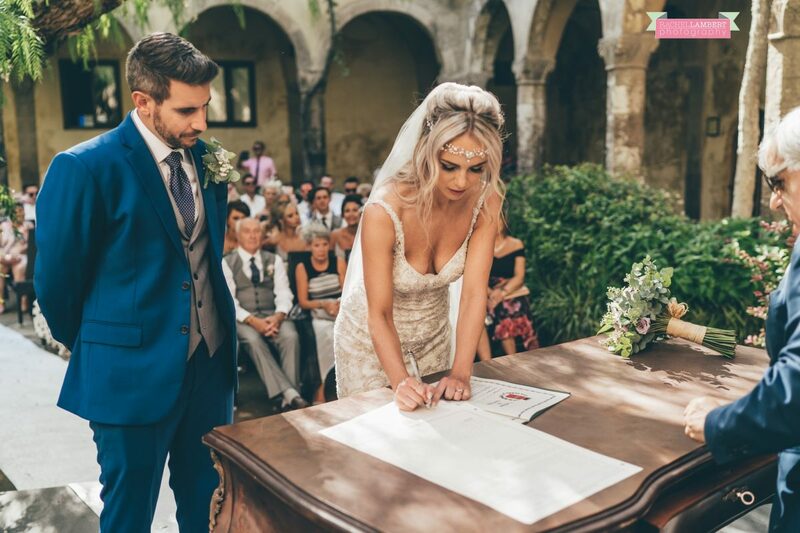 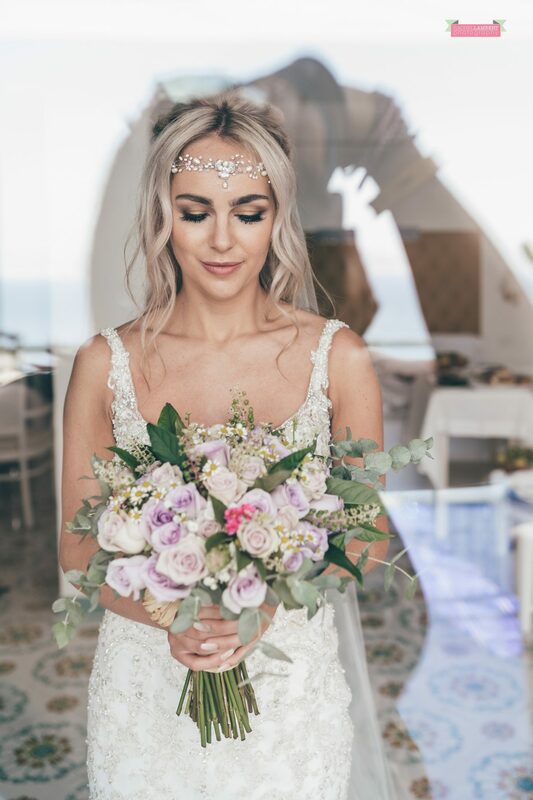 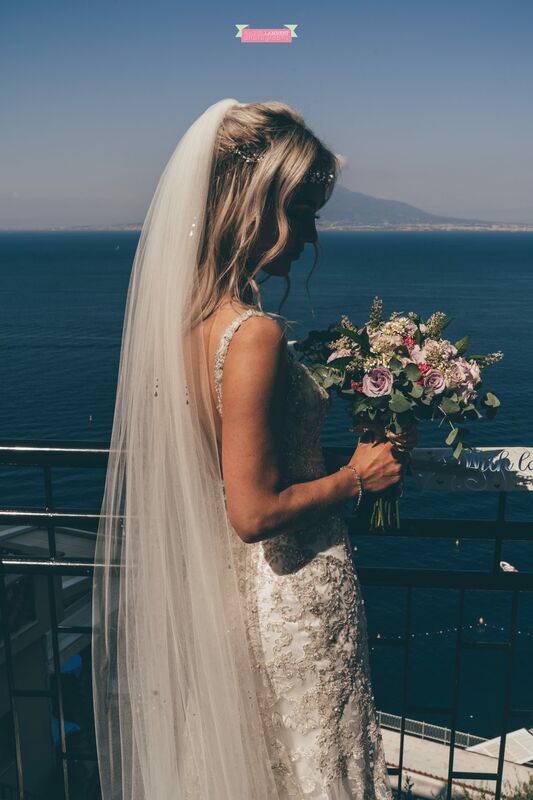 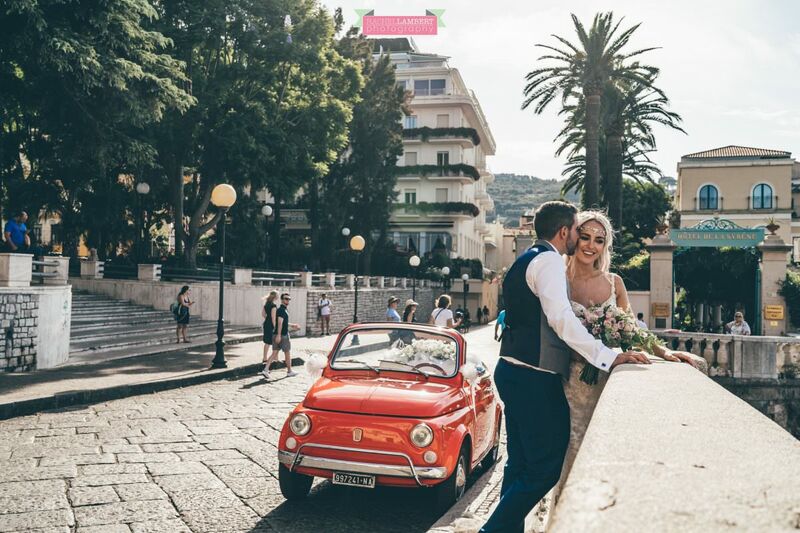 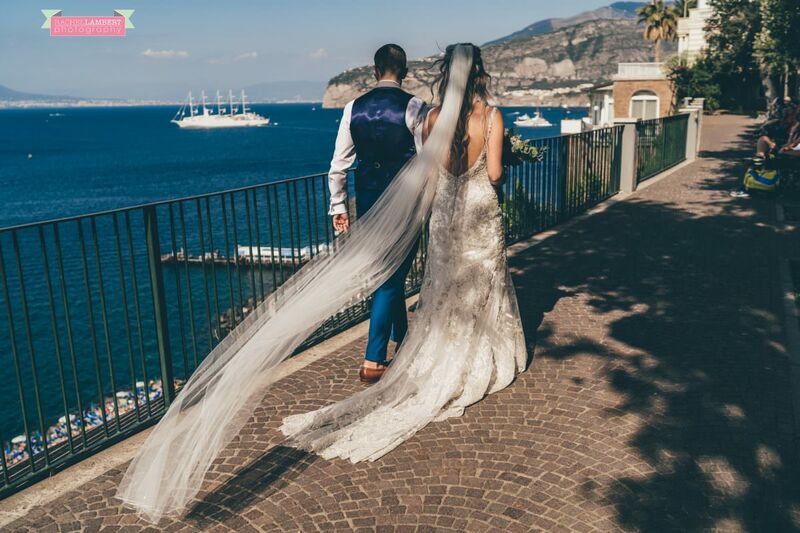 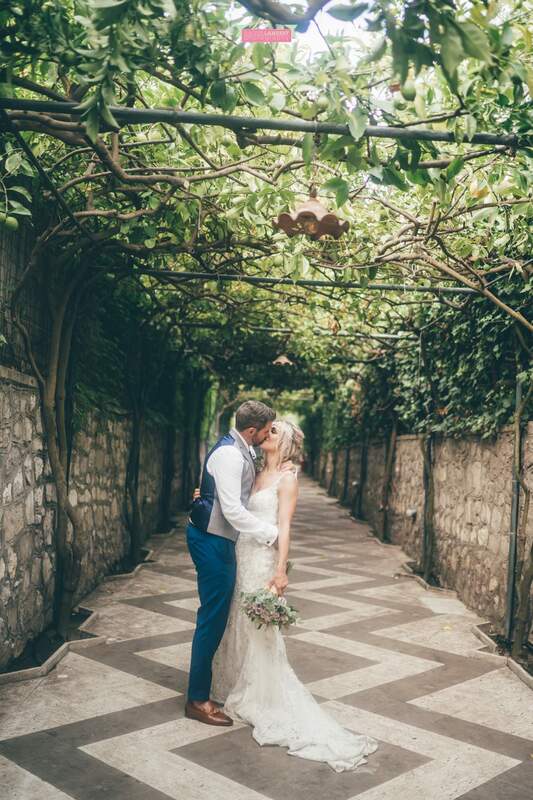 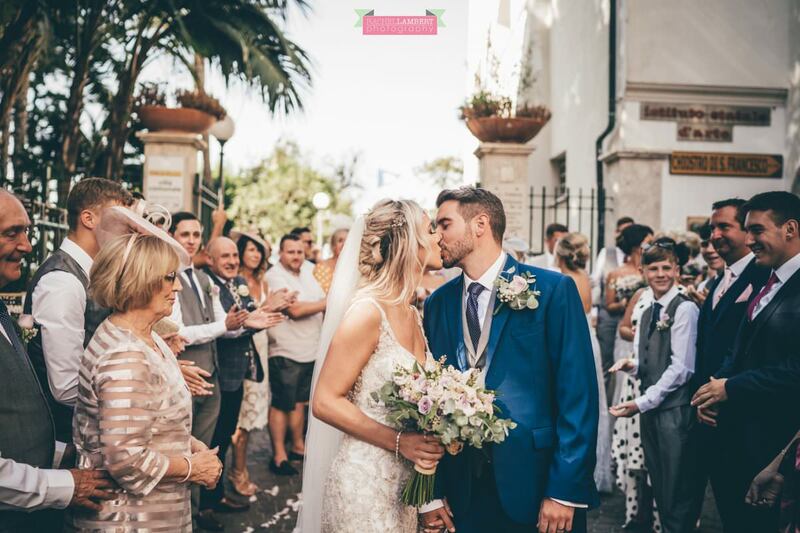 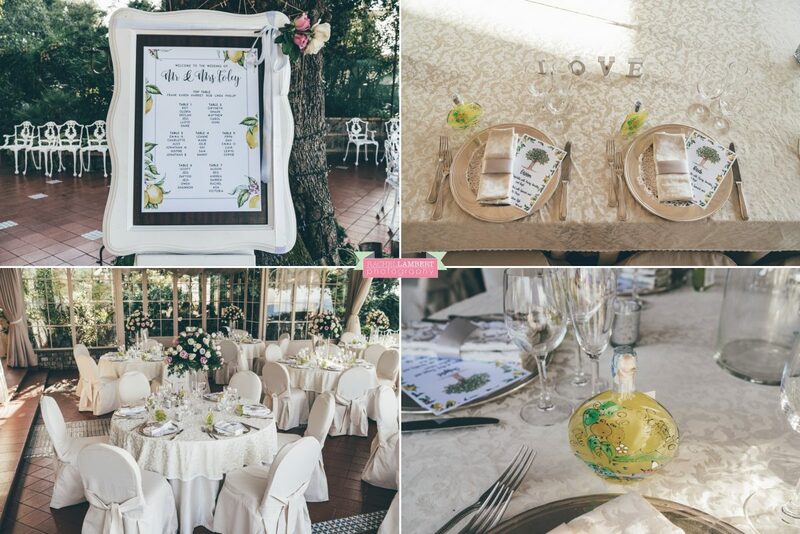 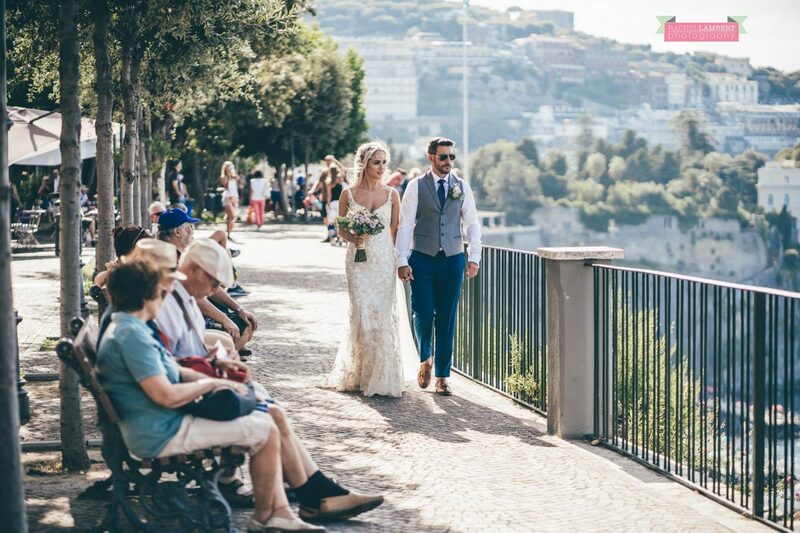 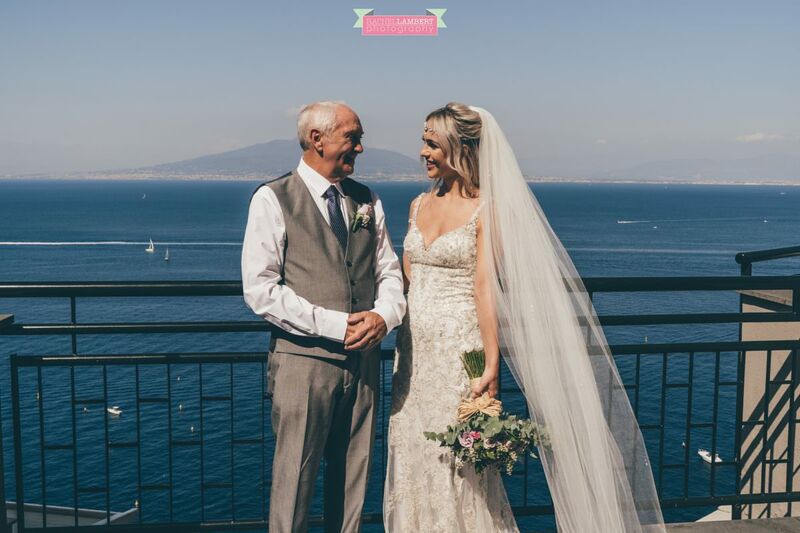 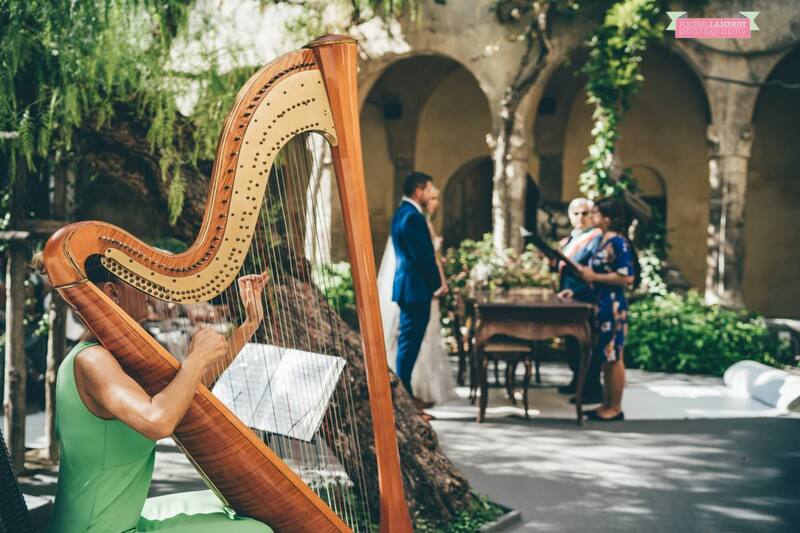 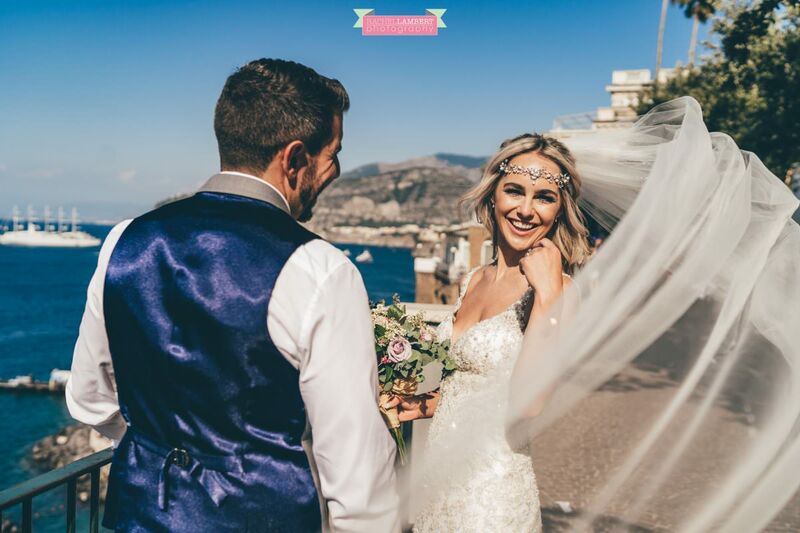 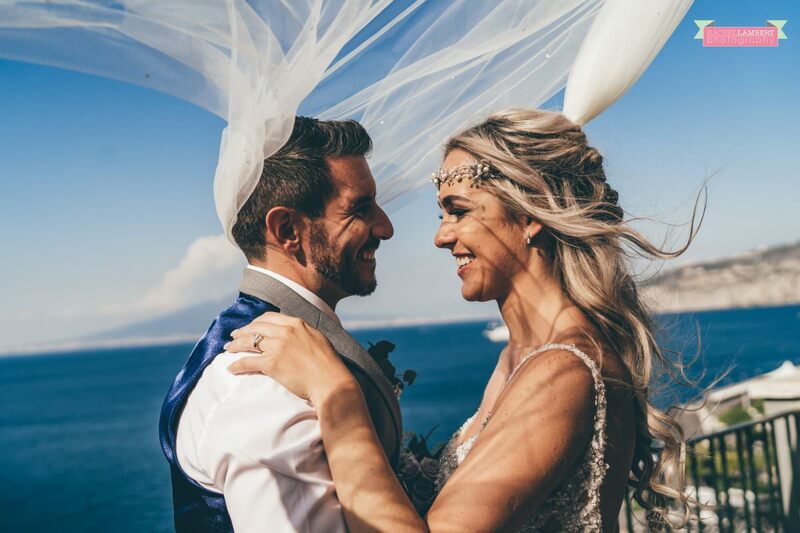 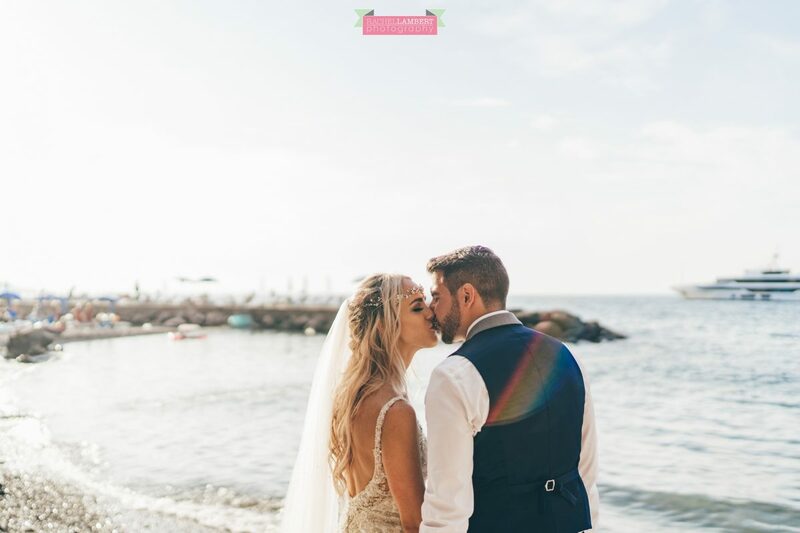 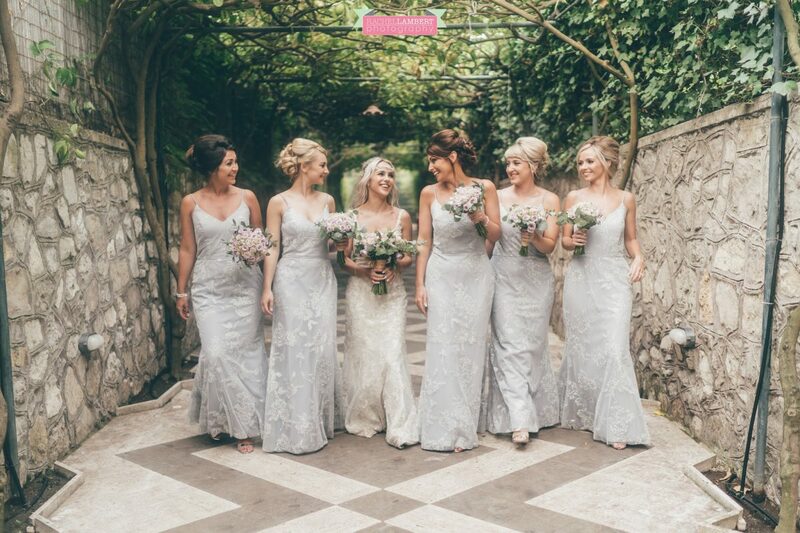 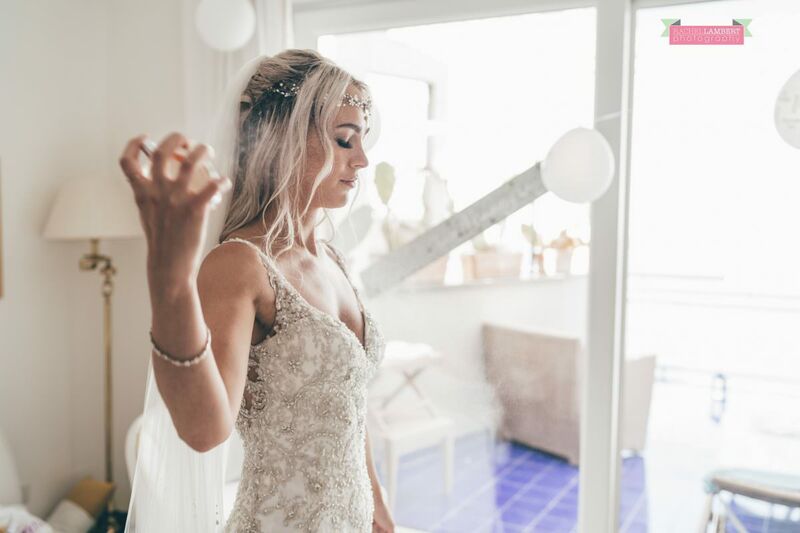 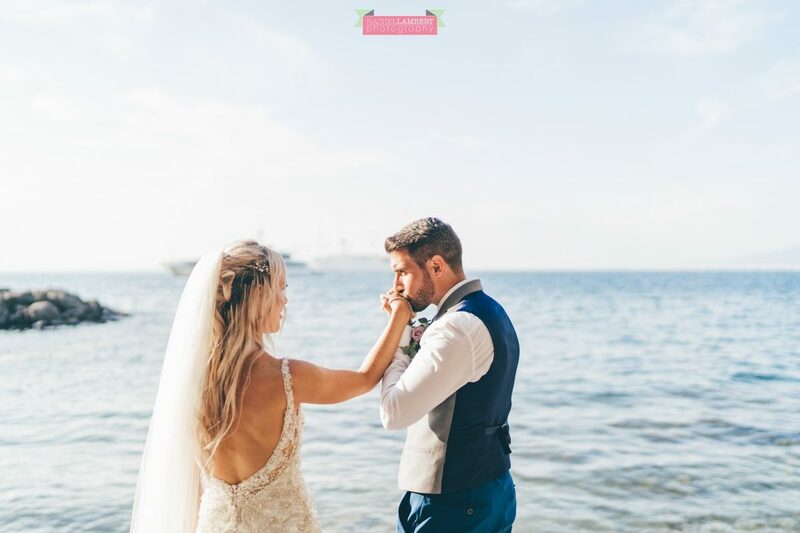 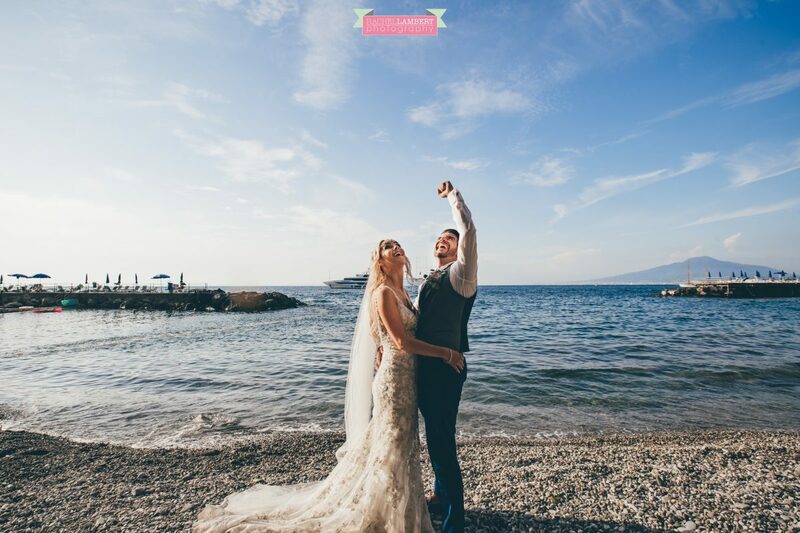 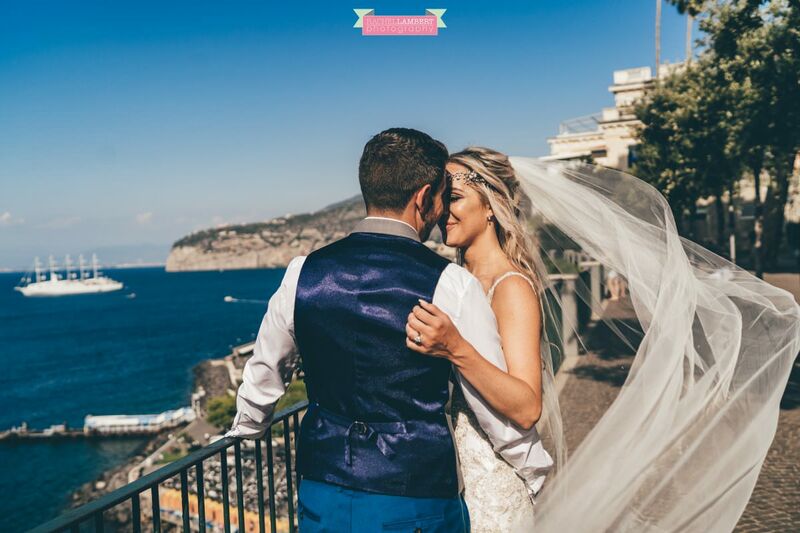 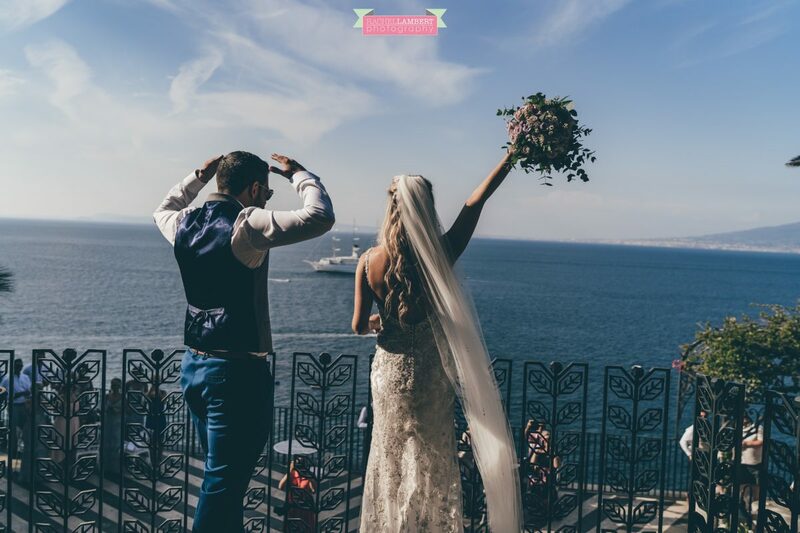 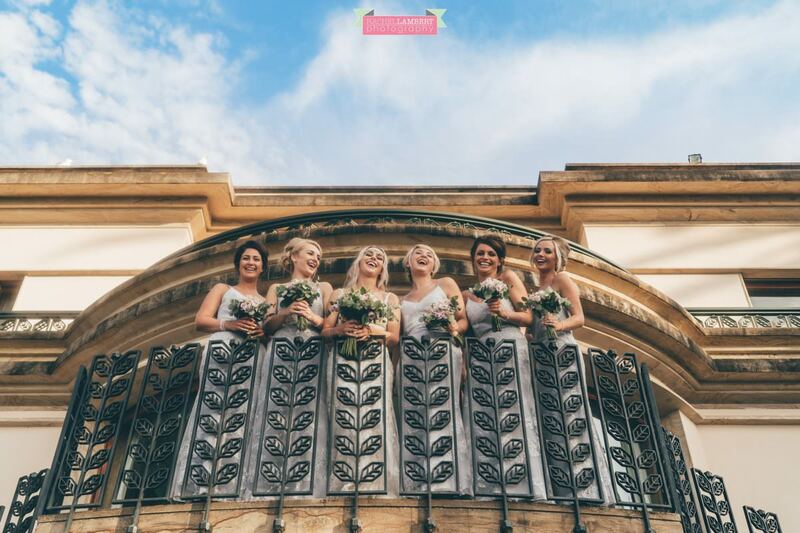 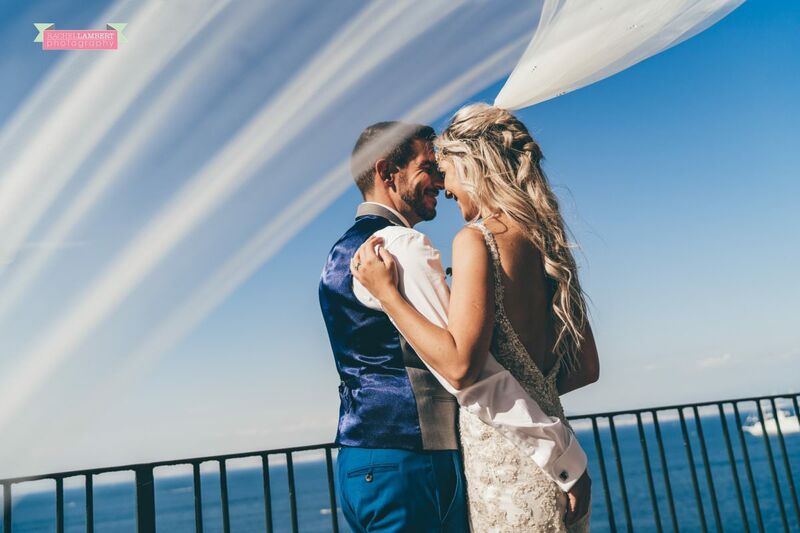 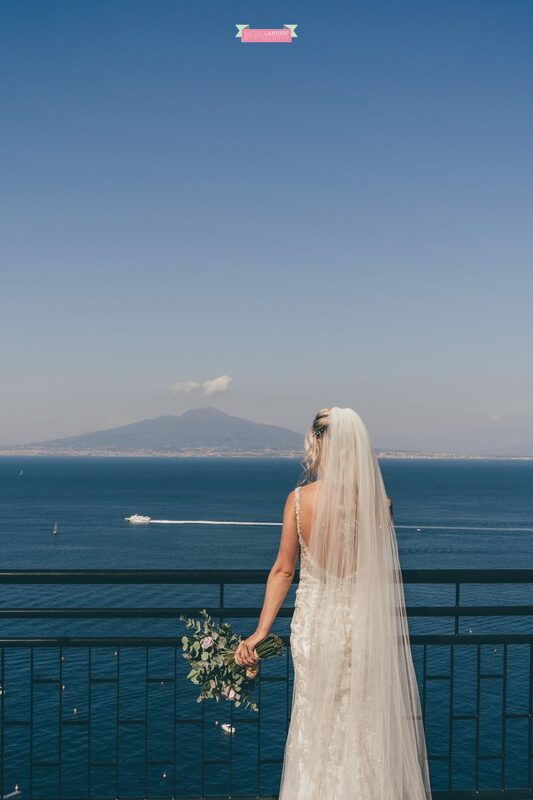 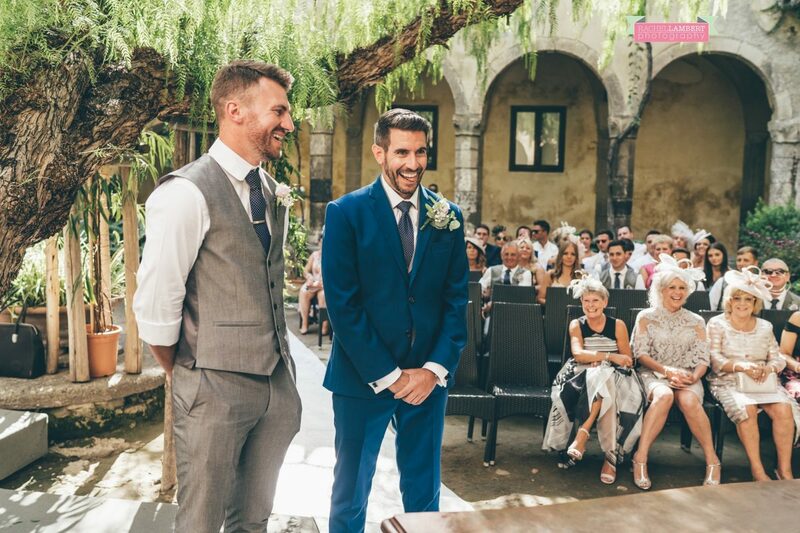 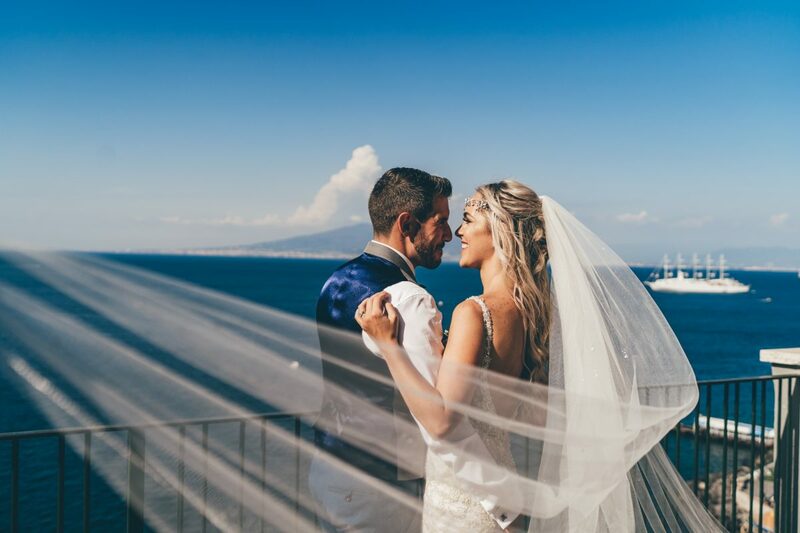 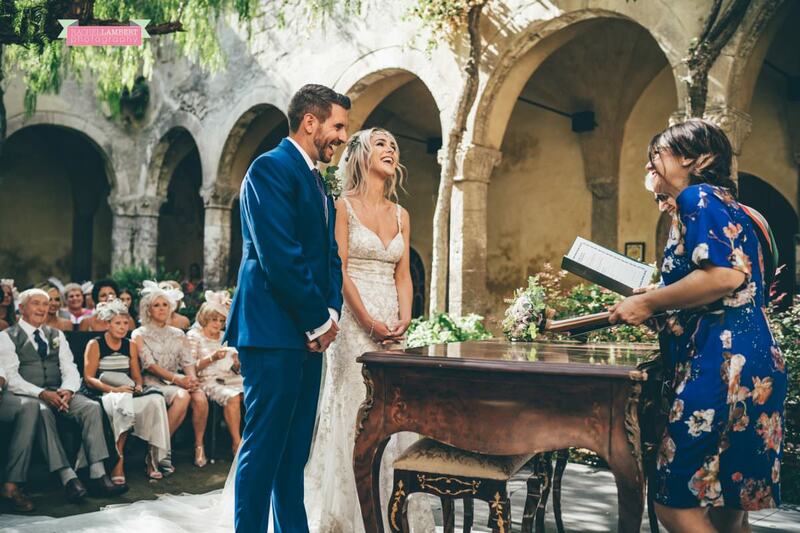 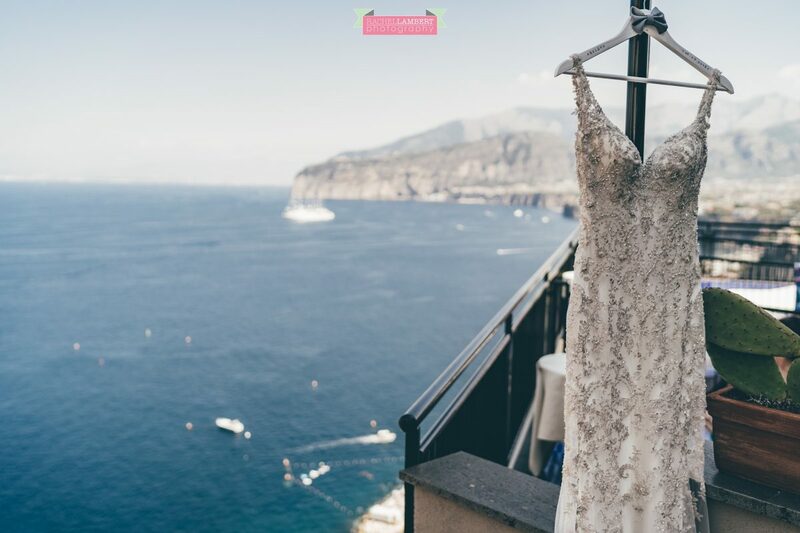 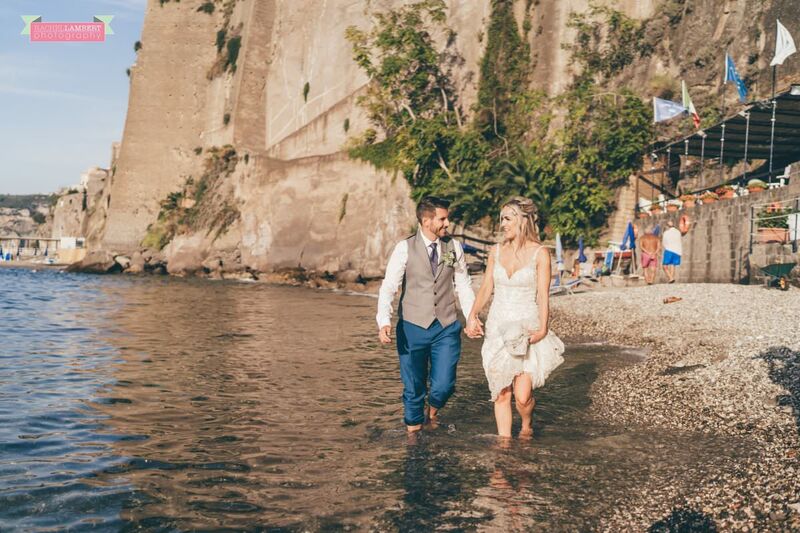 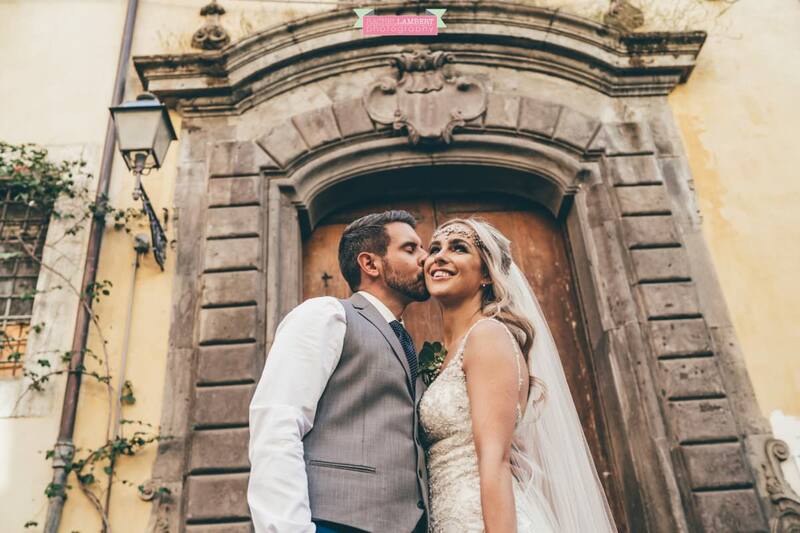 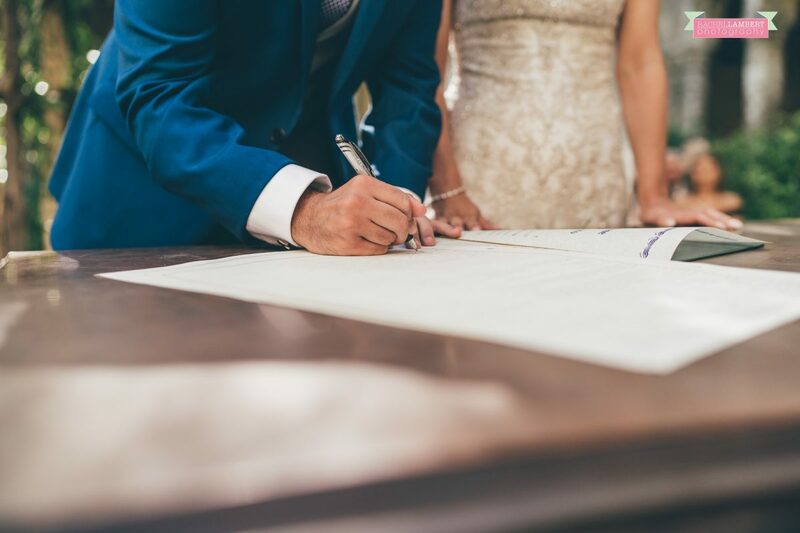 The ceremony was stunning, with the sound of a harpist in the background, and after they exchanged rings and kisses, and lots of confetti throwing we made the most of the incredible panoramic vistas with Mount Vesuvius on the horizon! 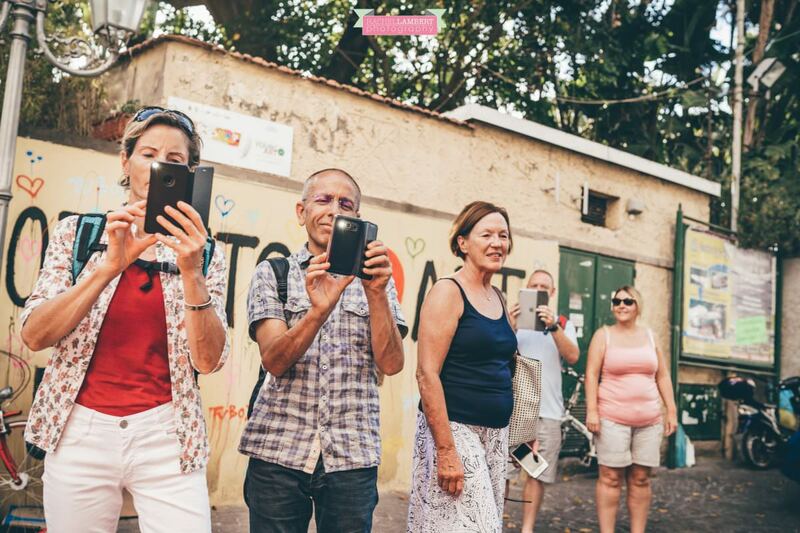 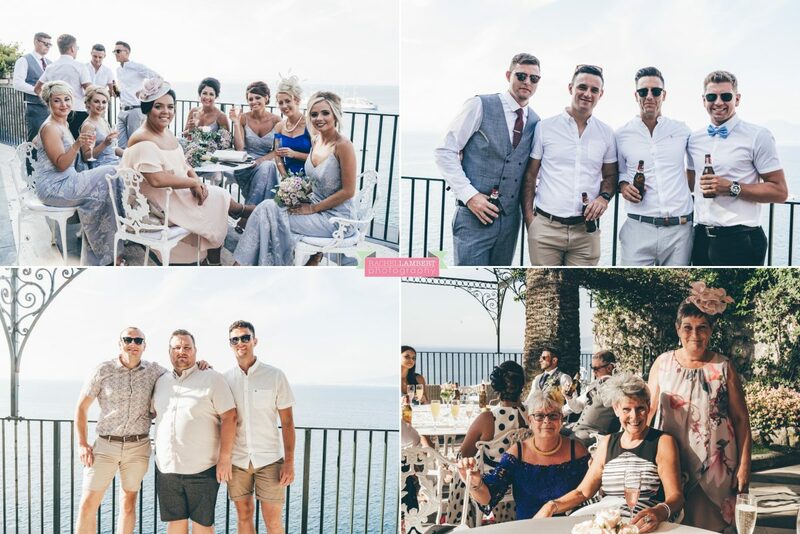 The guests headed to Villa Antiche Mura and enjoyed some welcome drinks and aperitifs and the scenery of course, and it wasn’t long before we caught up with them at the villa for some group shots before we walked the 150 steps down to the beach! 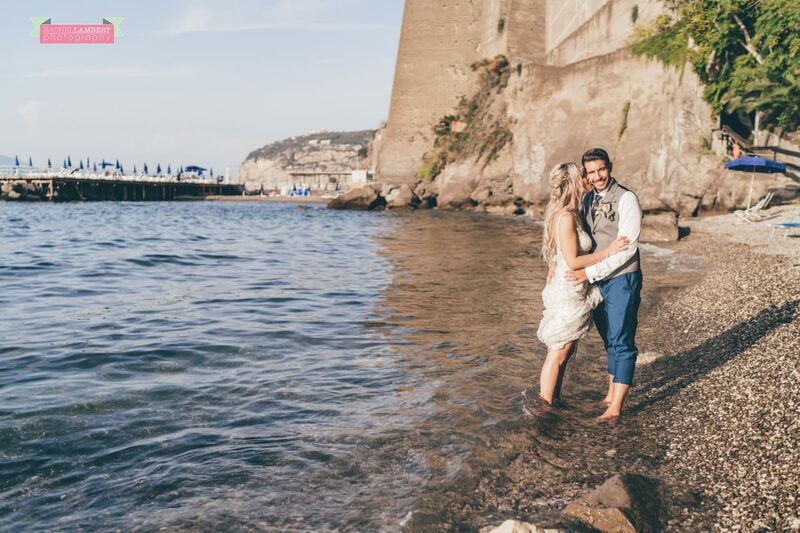 Rob’s new shoes were making his feet pretty sore by then, so I managed to convince them both to take their shoes off and soak their feet in the sea – no ulterior motive… honest! 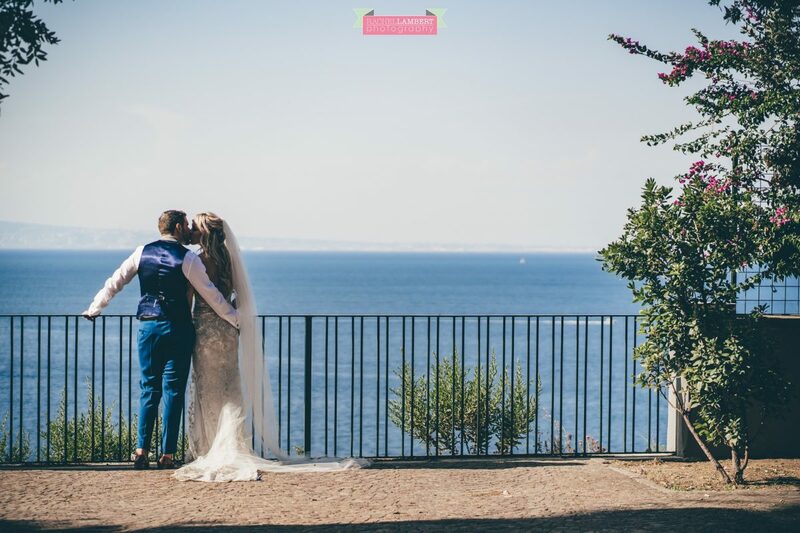 But it did make for some pretty amazing shots! 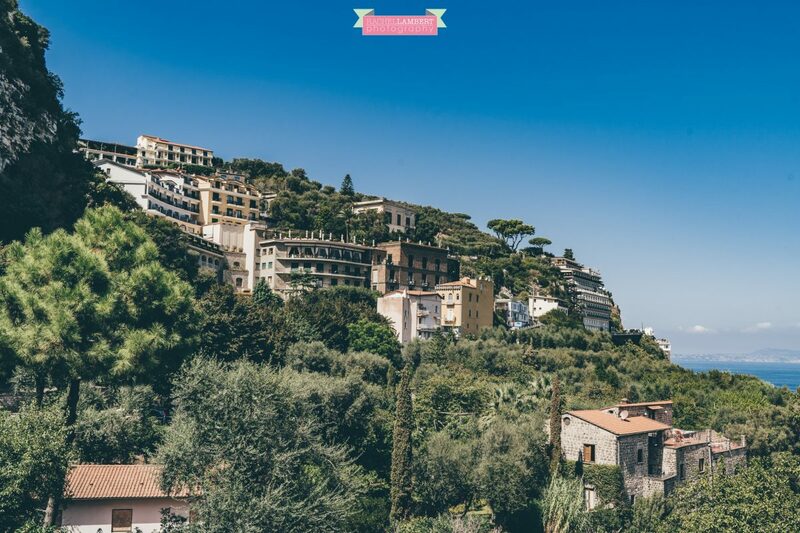 Then we hiked back up the 150 steps…. 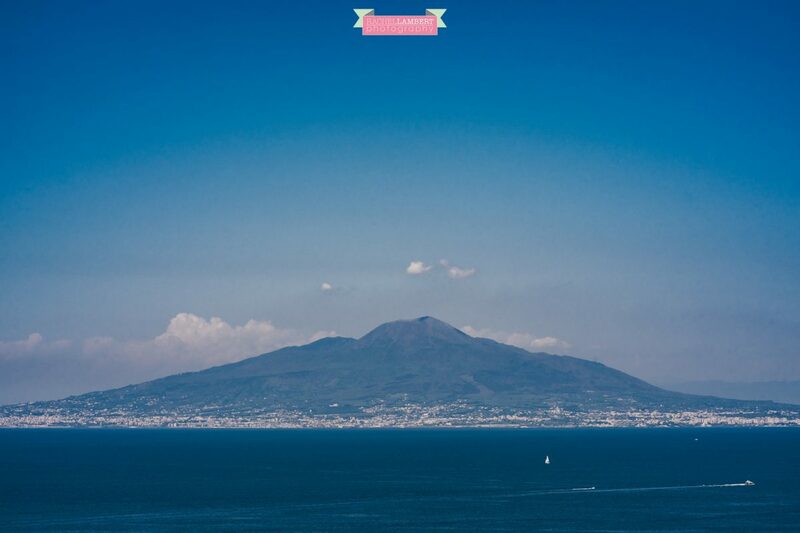 OMG hard work! 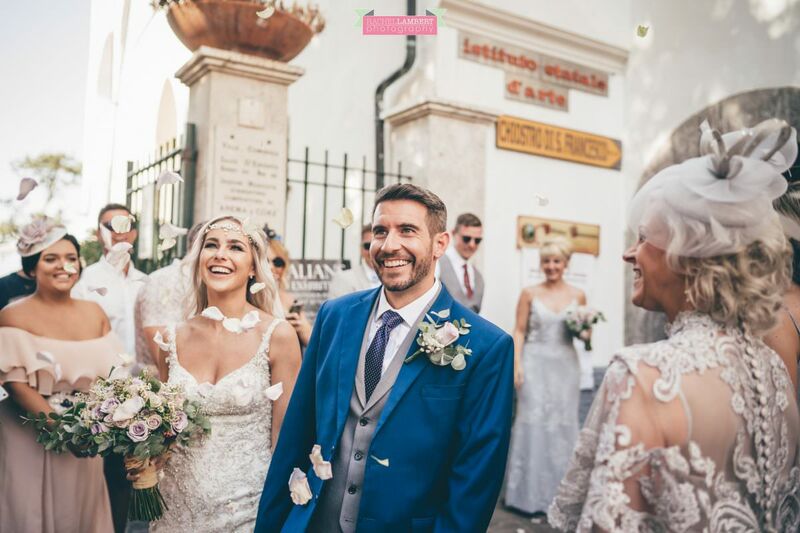 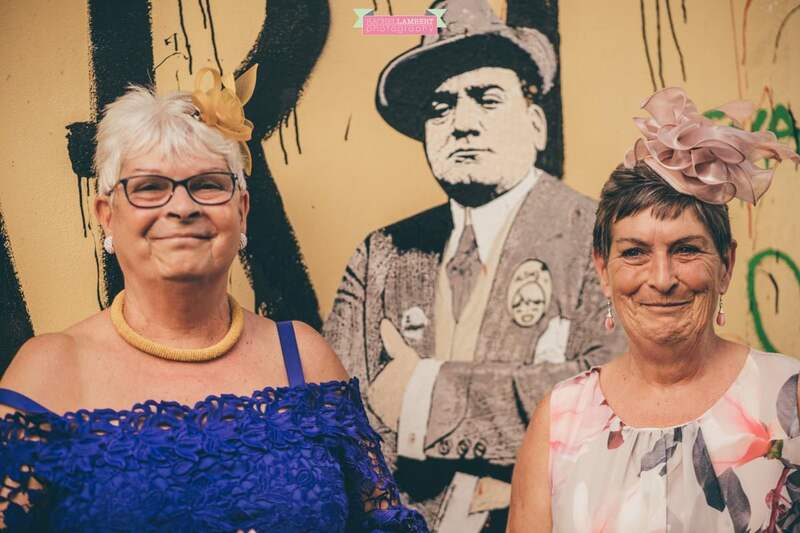 And thankfully it was time to sit down and be treated to a wonderful traditional Italian wedding breakfast – always amazing. 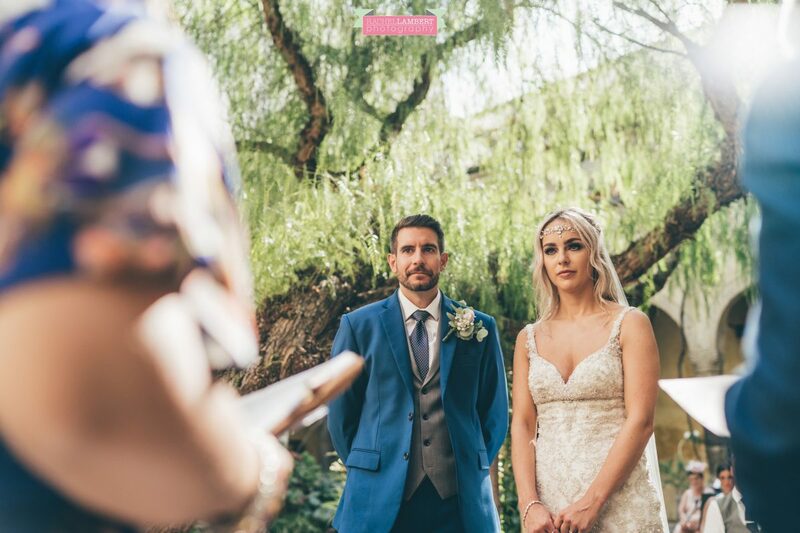 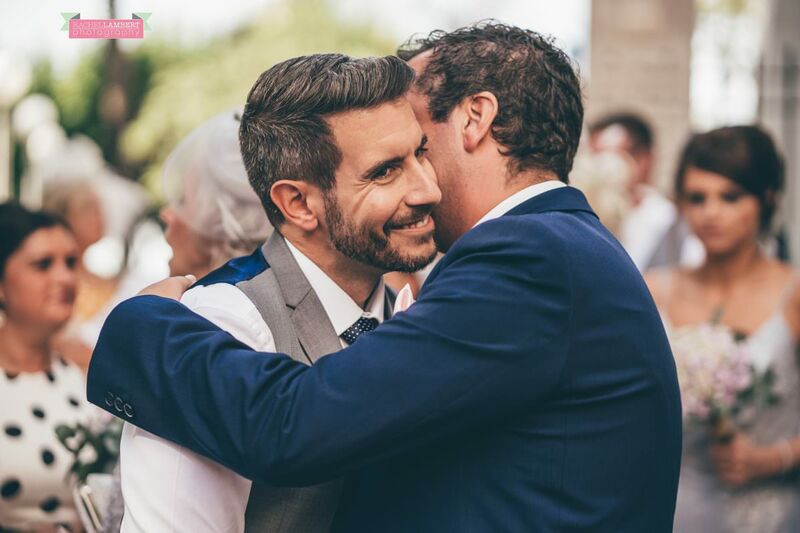 It was soon dark, and speeches began, with so many emotions running high, and me crying my eyes out behind my camera, but thankfully I don’t think anyone noticed! 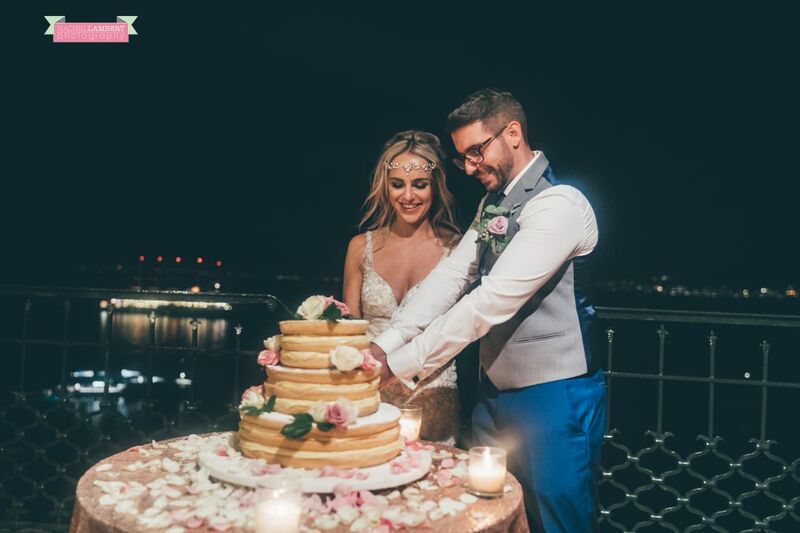 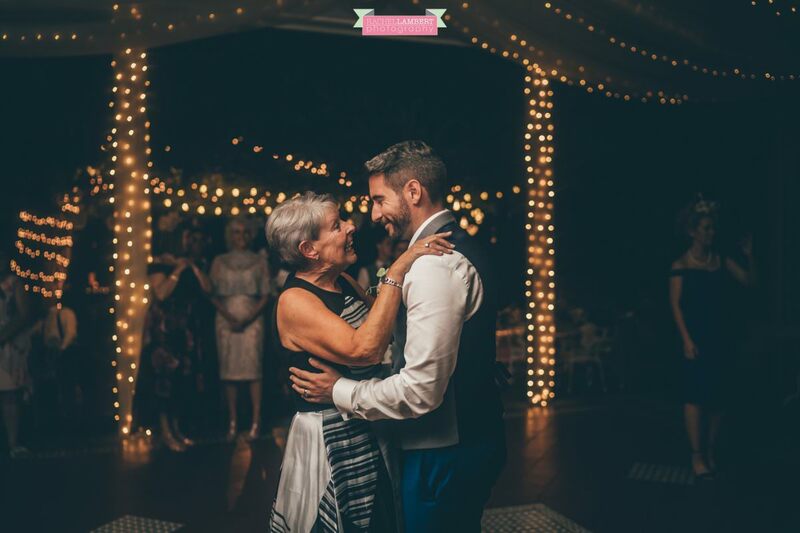 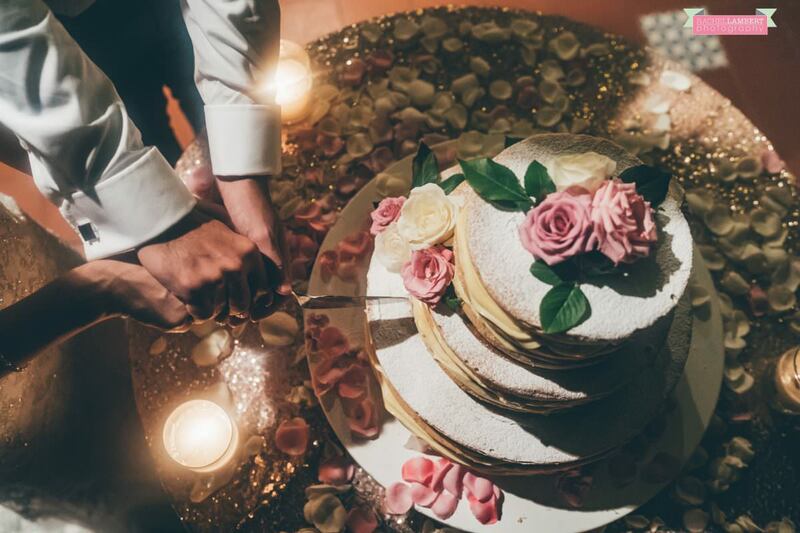 Once the cake was cut the dancing began and we left them to enjoy their night…. 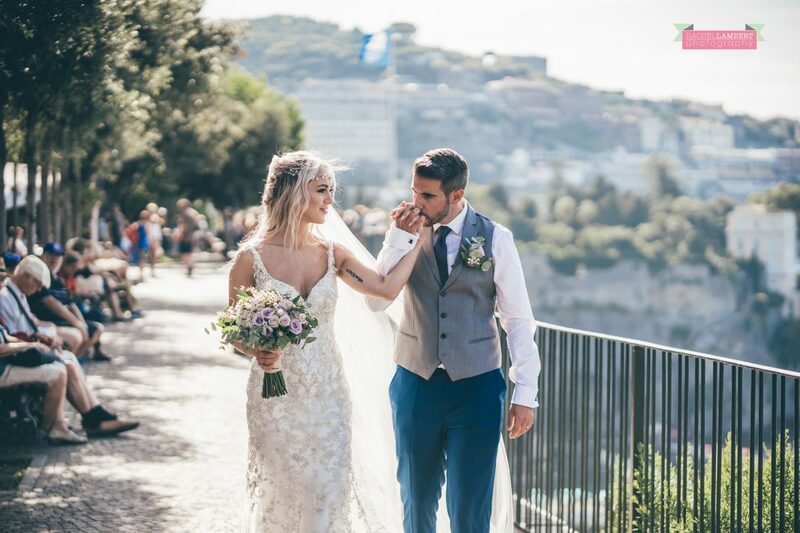 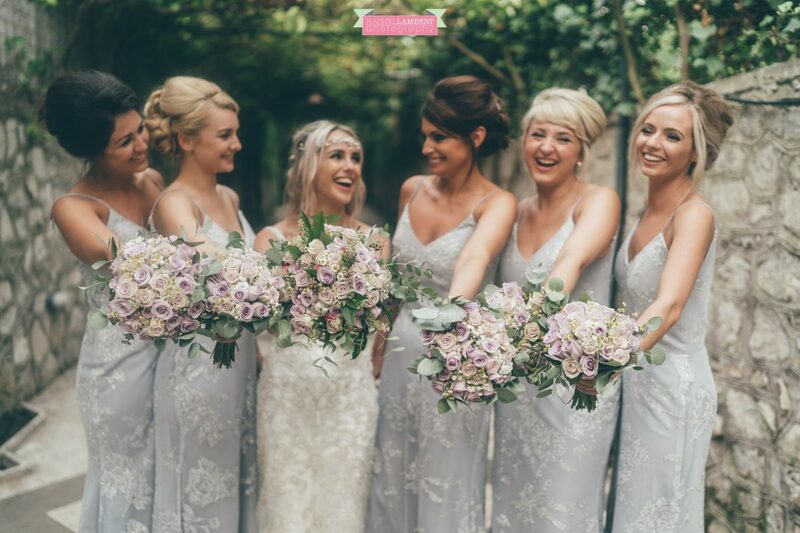 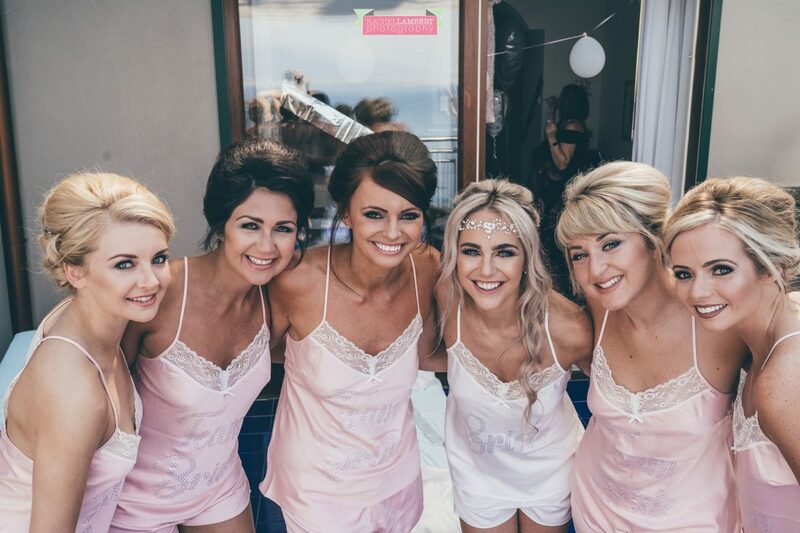 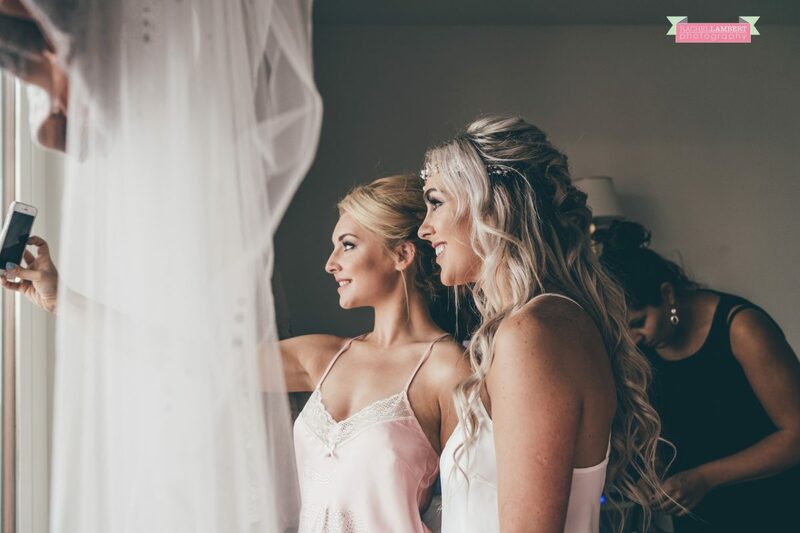 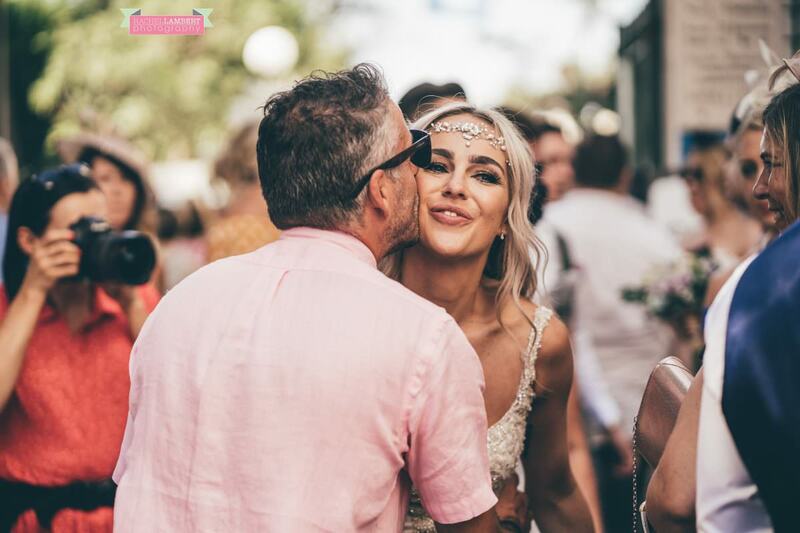 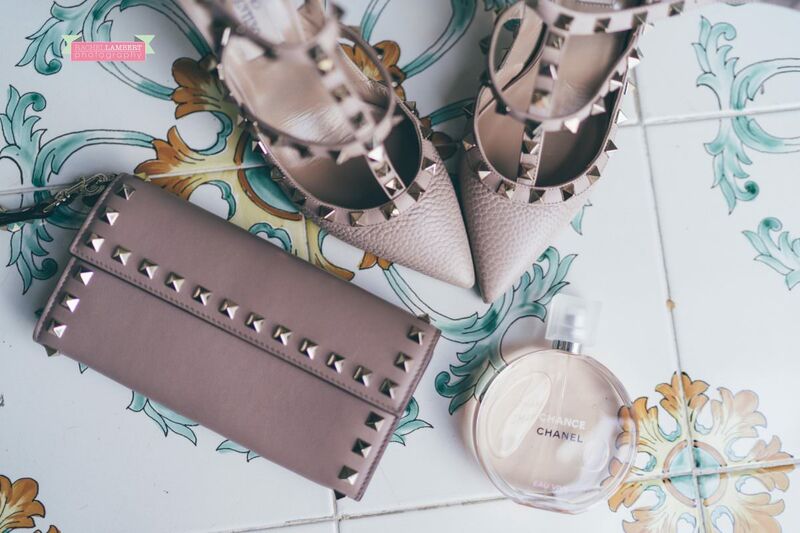 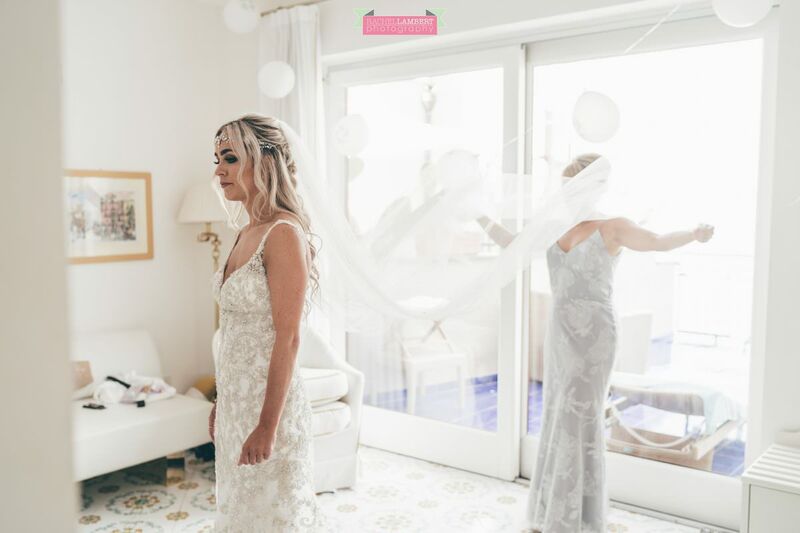 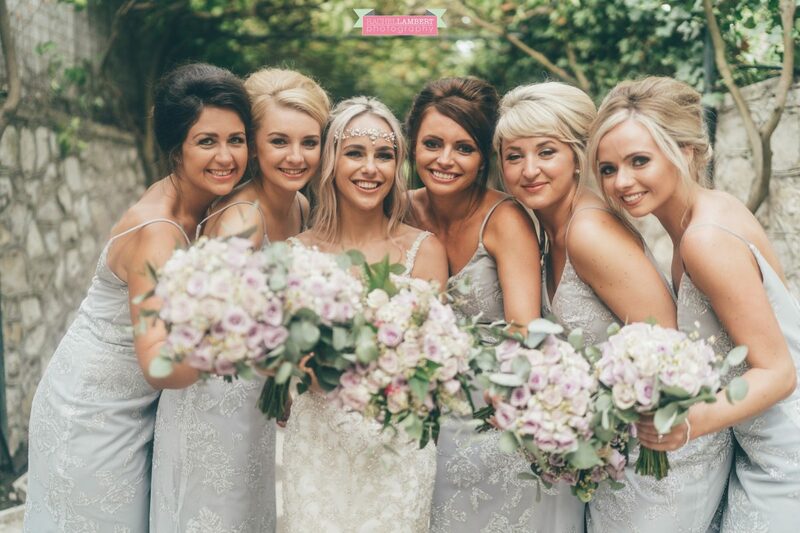 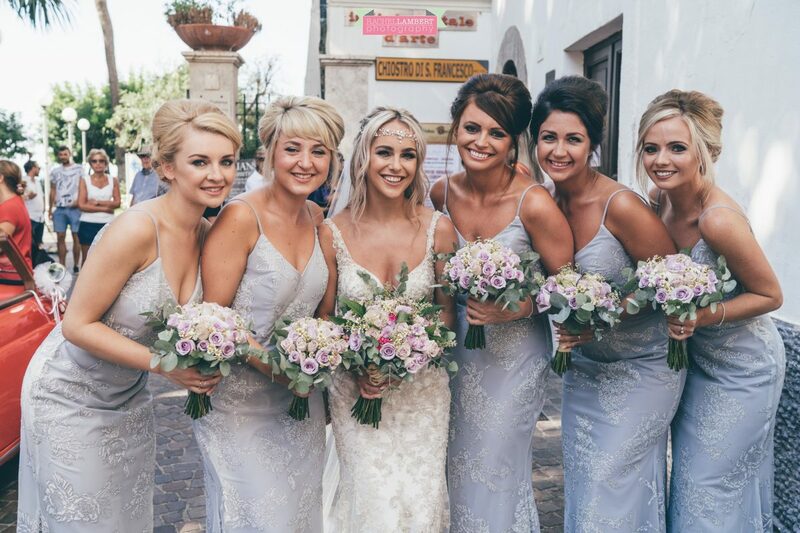 the most perfect day!